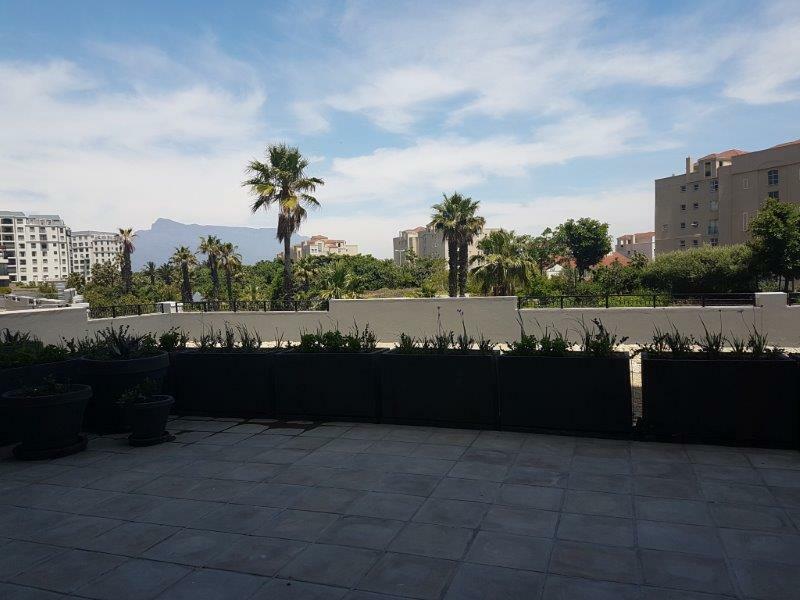 Status: large penthouse apartment with spacious lounge, dining room and kitchen leading to an open terrace with walled surrounds. 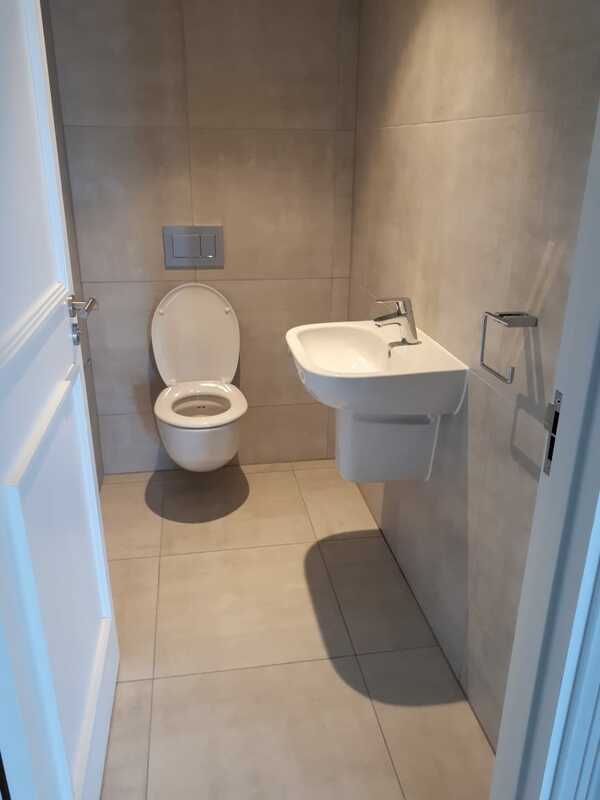 Guest cloakroom, main-en-suite and a second bathroom. 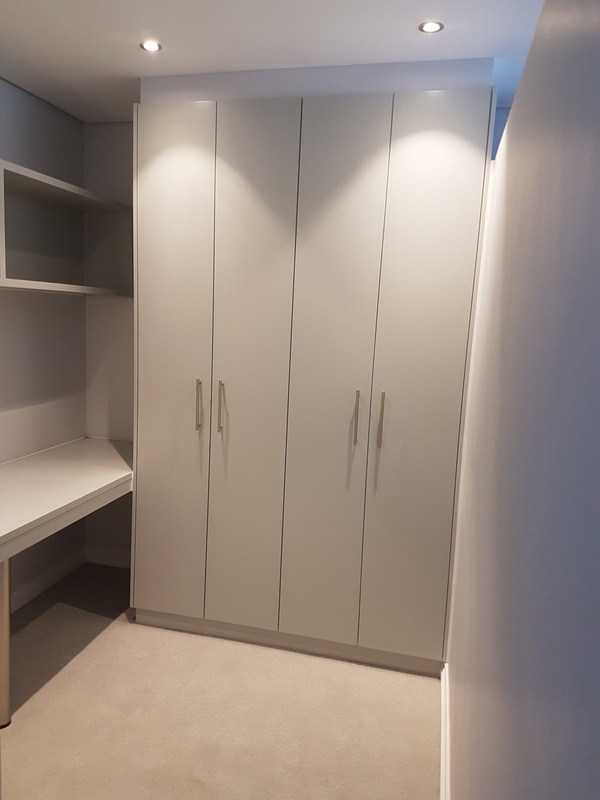 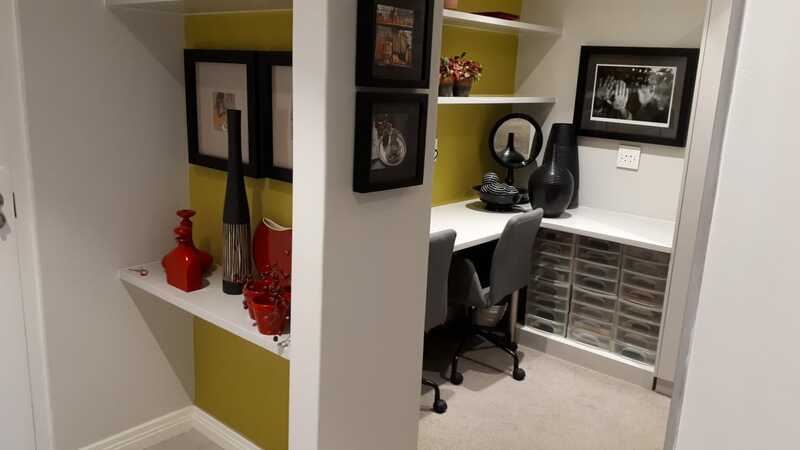 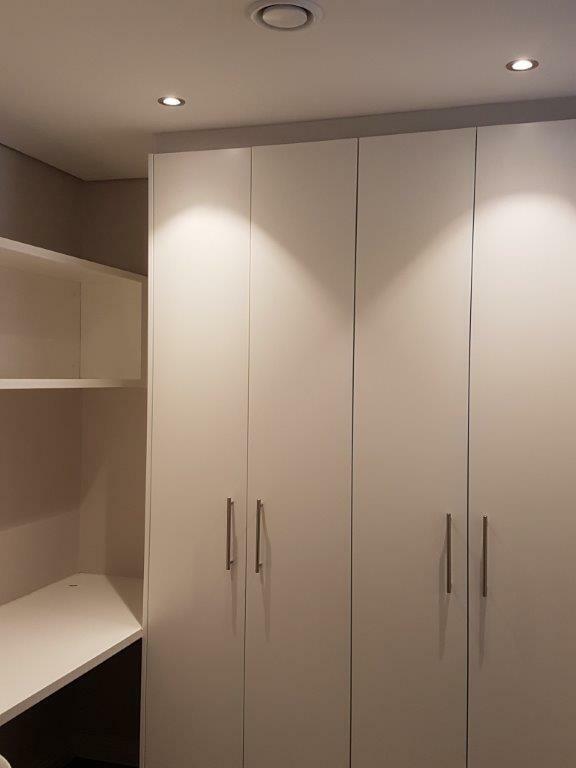 2 undercover parking bays and a large storeroom with fitted shelves and cupboards. 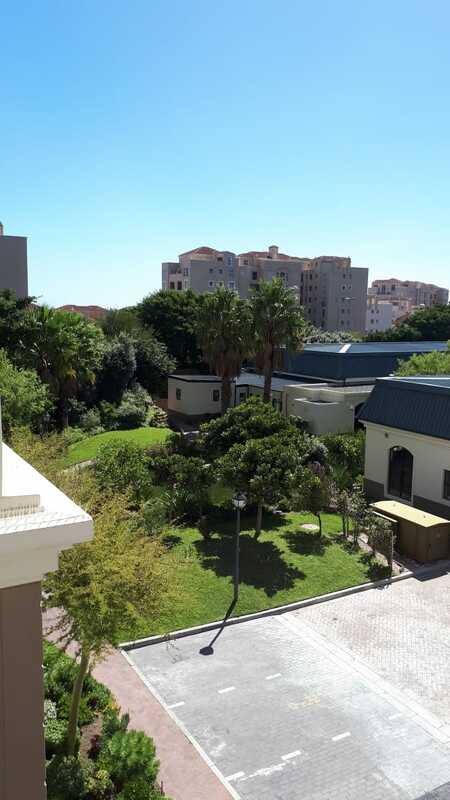 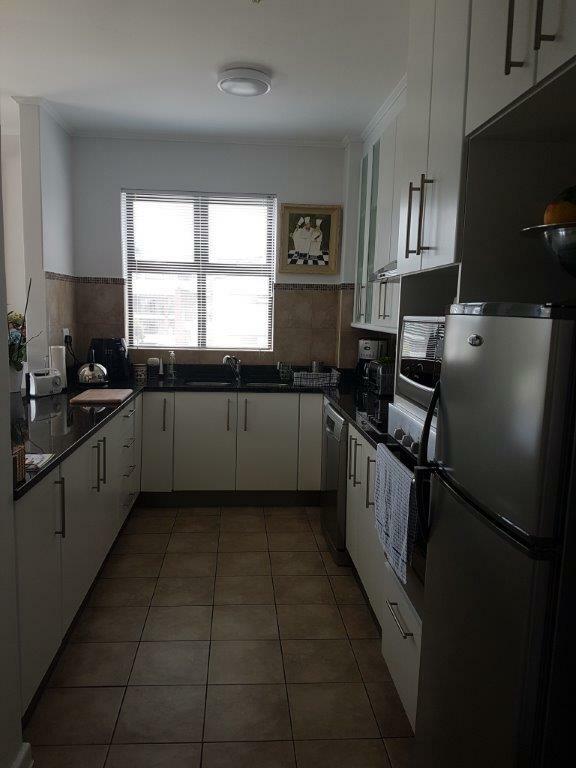 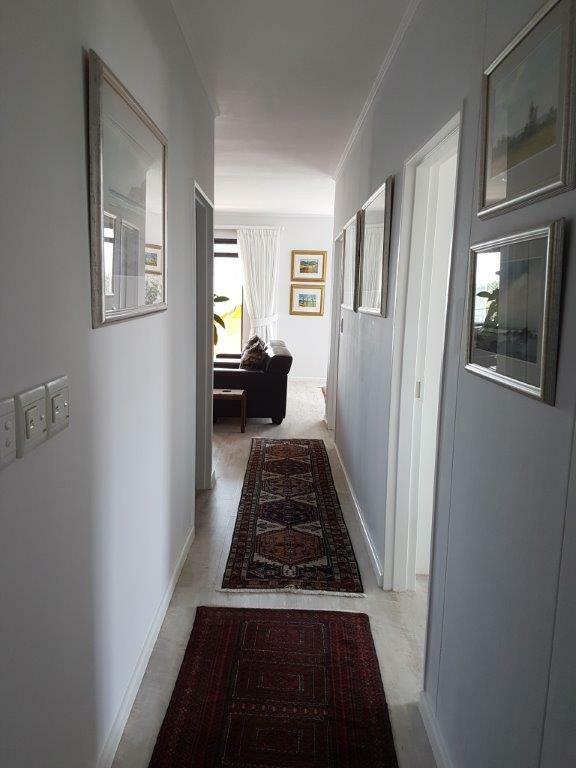 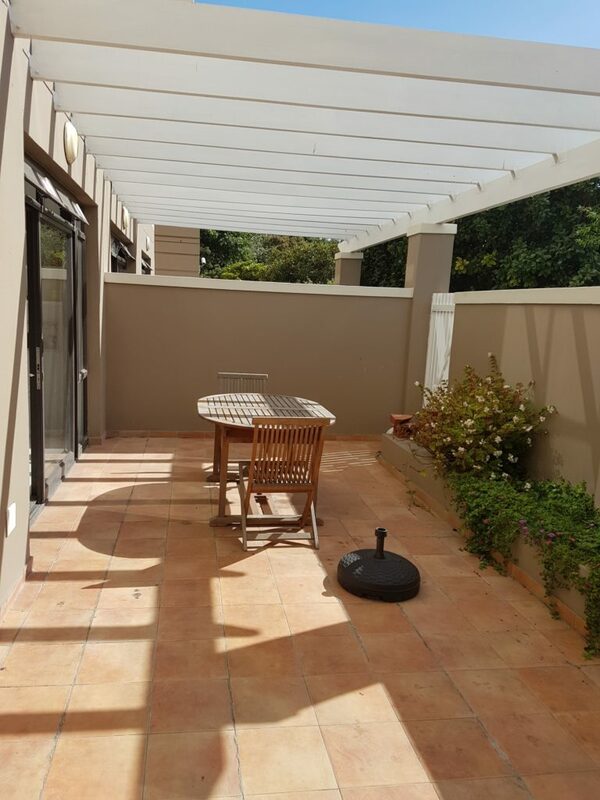 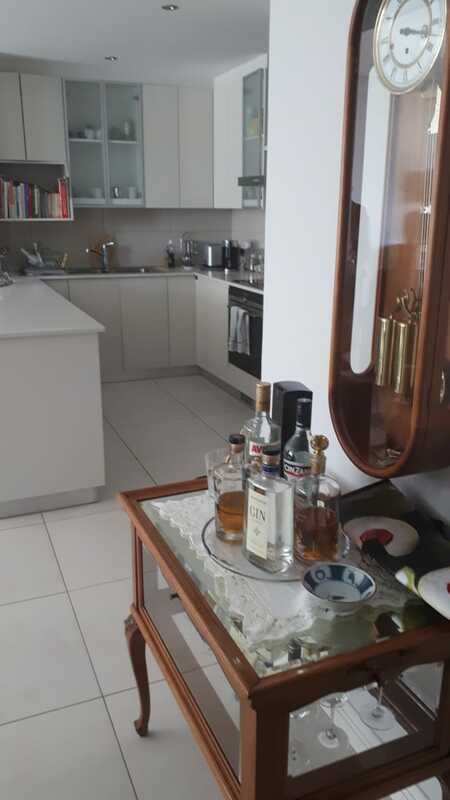 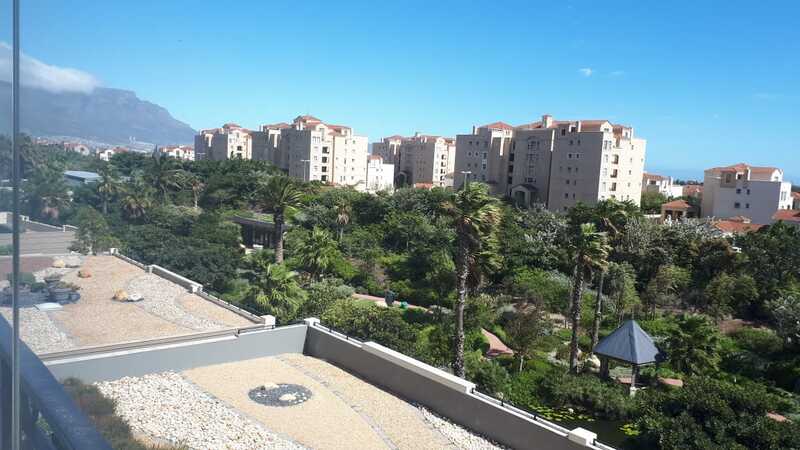 401 R17 000/pm 2 Bed Immediate Spacious east facing apartment. 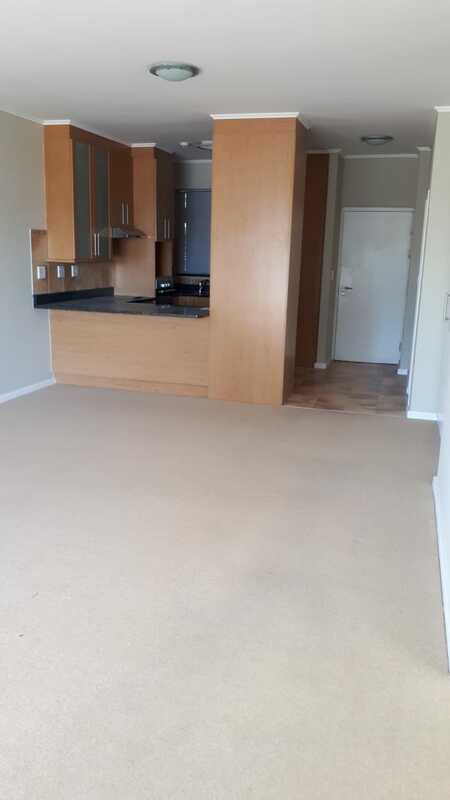 Open plan kitchen, lounge, dining area with pretty outlook. 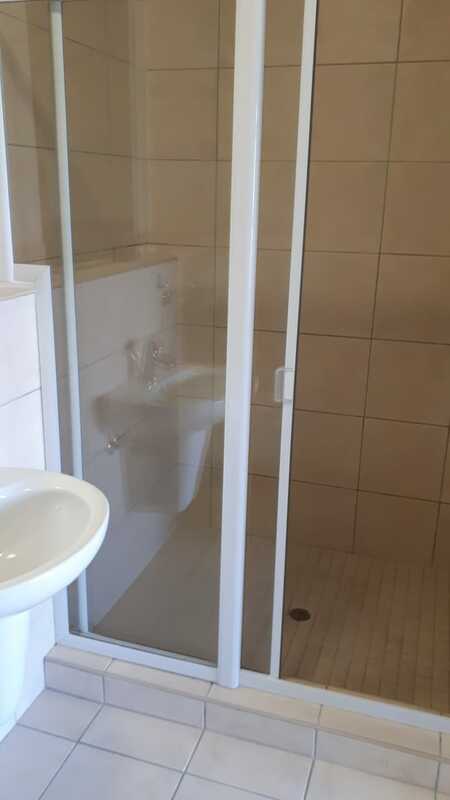 Main-en-suite leads to an enclosed balcony. 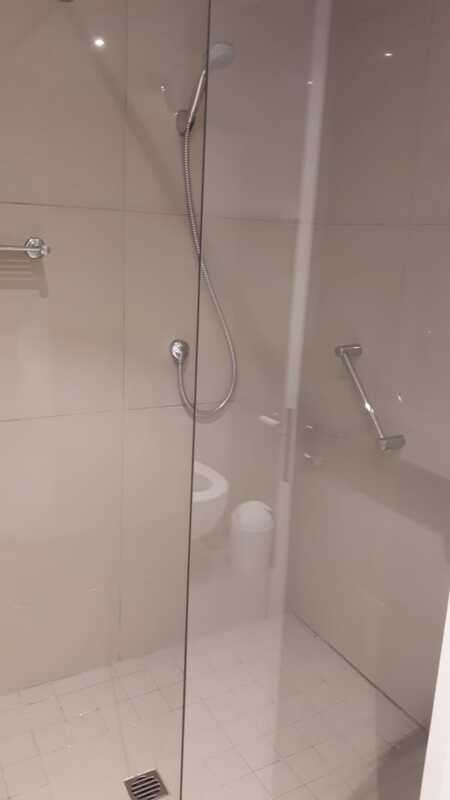 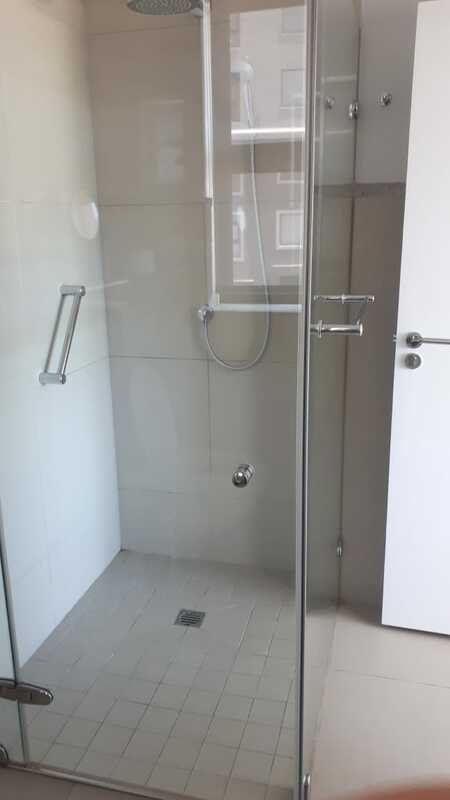 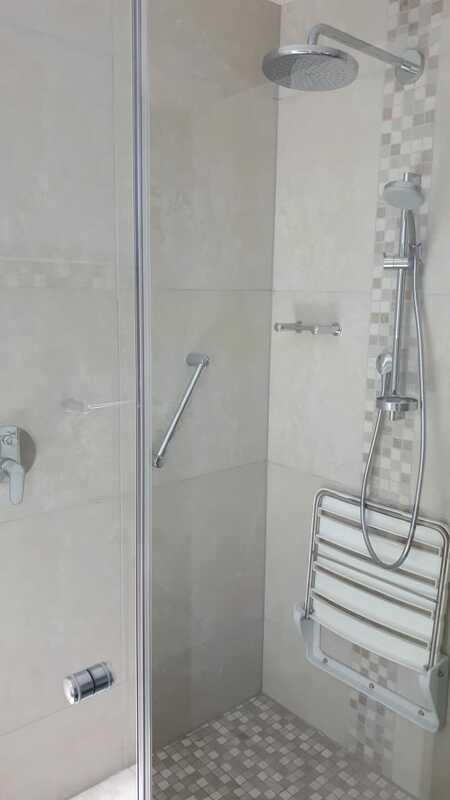 The large second bedroom has a shower-en-suite bathroom. 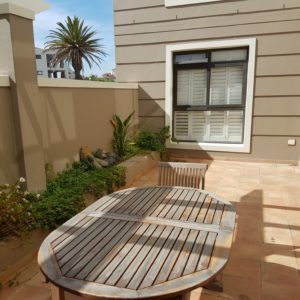 2 parking bays. 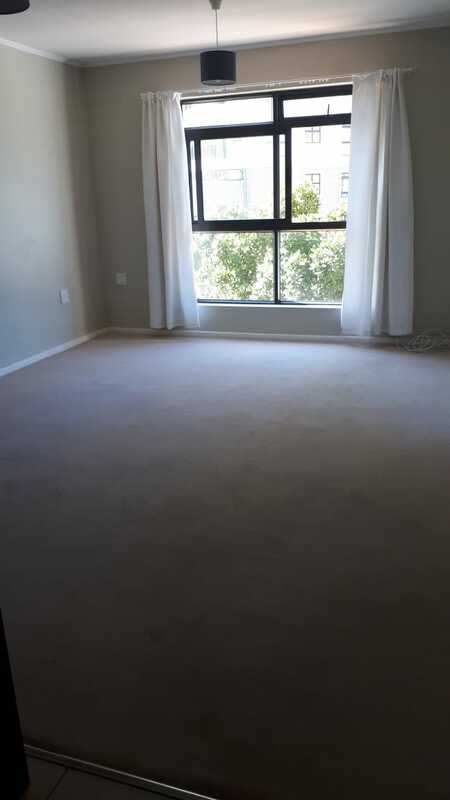 Status: Spacious east facing apartment. 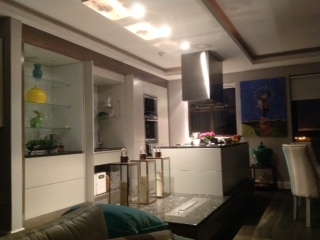 Open plan kitchen, lounge, dining area with pretty outlook. 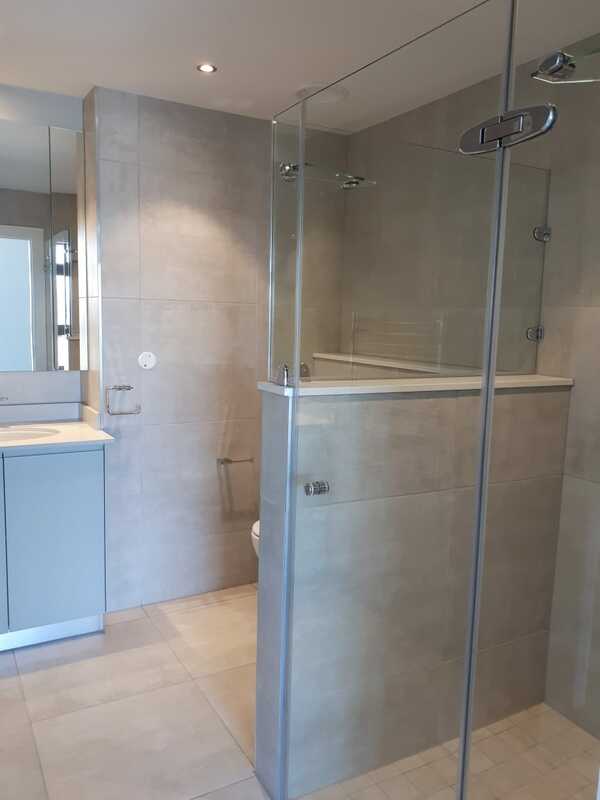 Main-en-suite leads to an enclosed balcony. 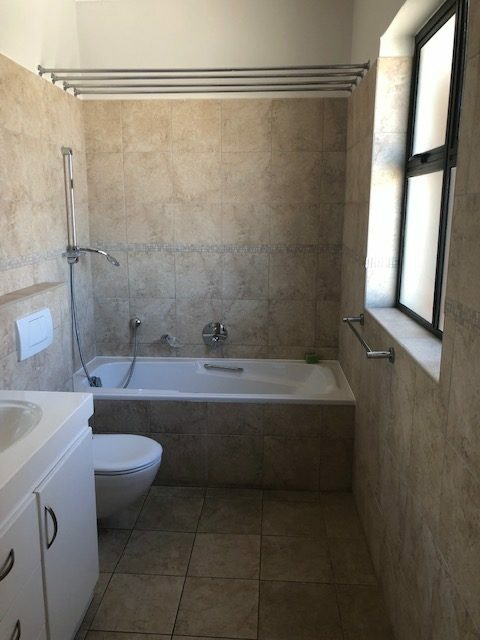 The large second bedroom has a shower-en-suite bathroom. 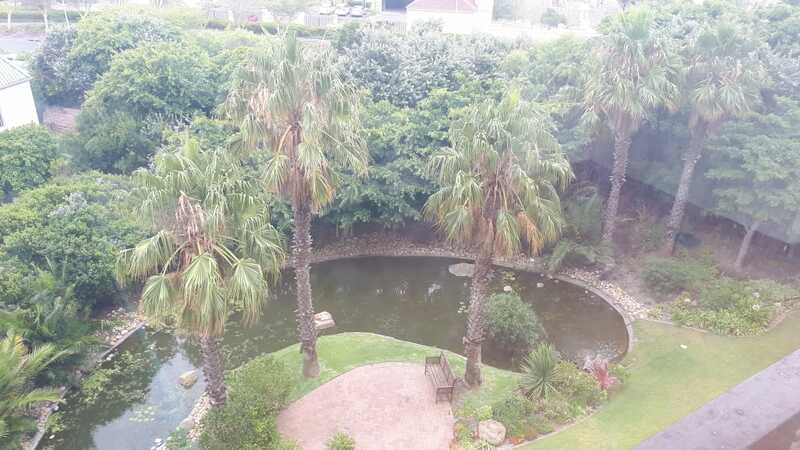 2 parking bays. 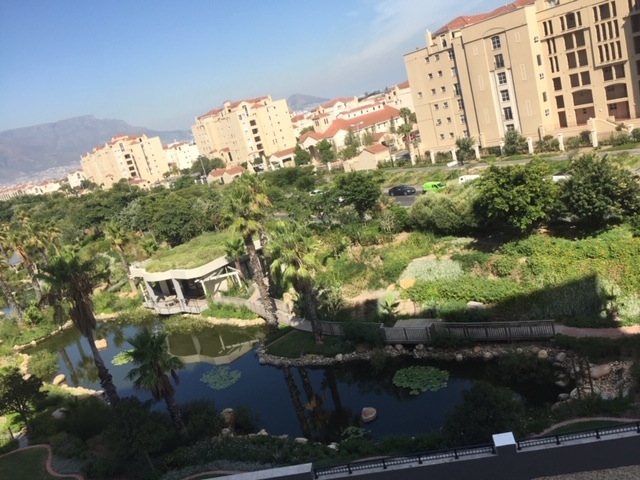 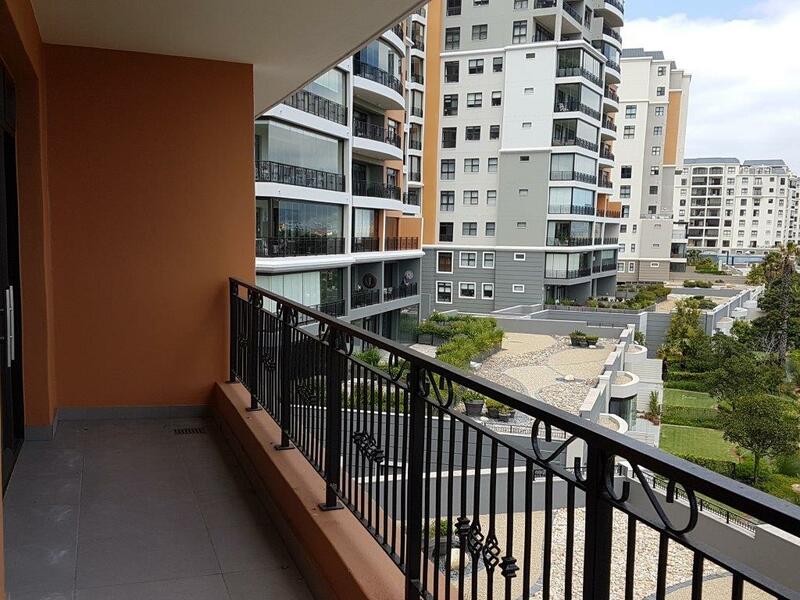 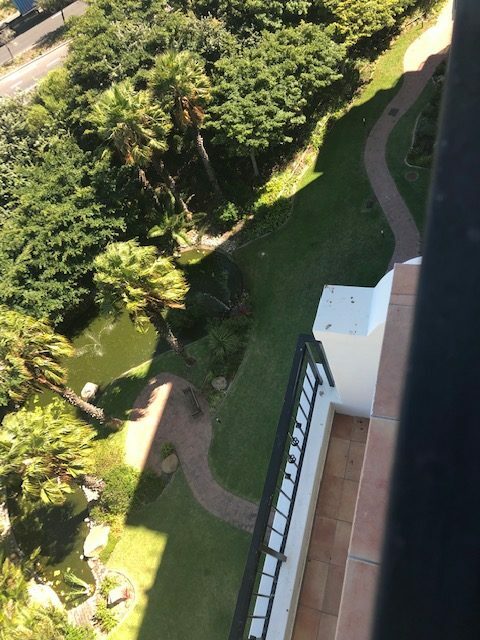 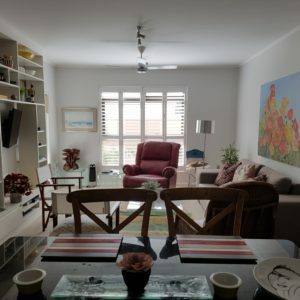 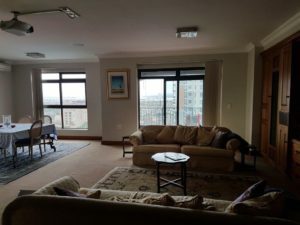 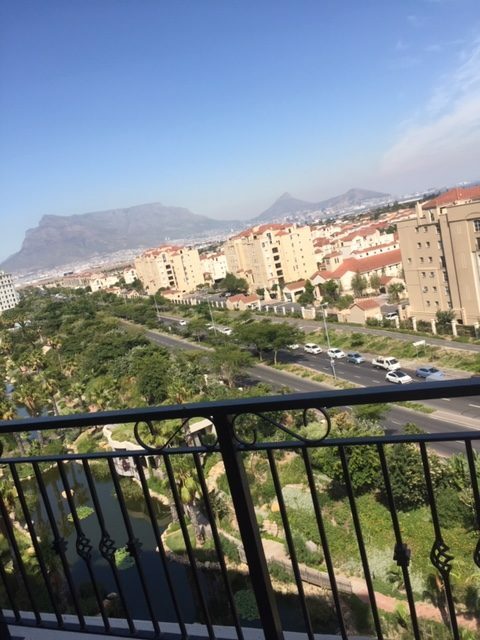 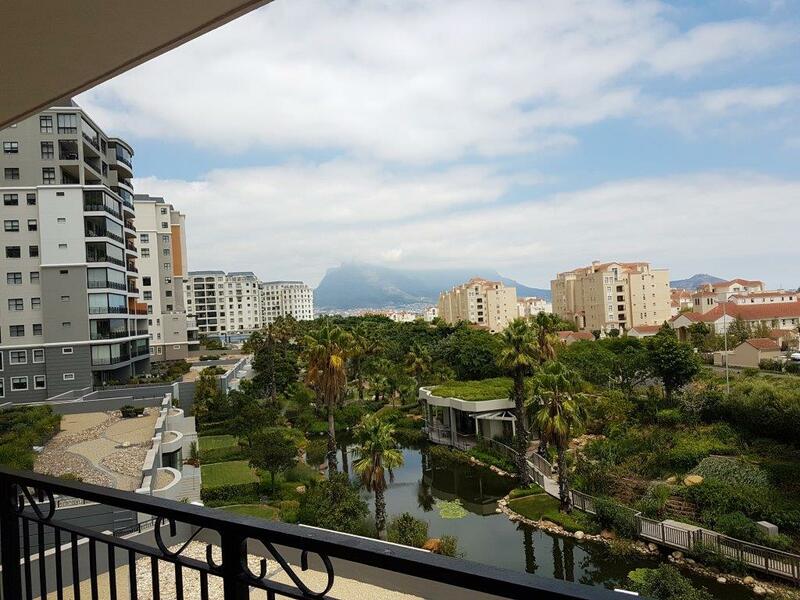 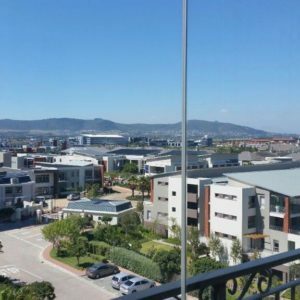 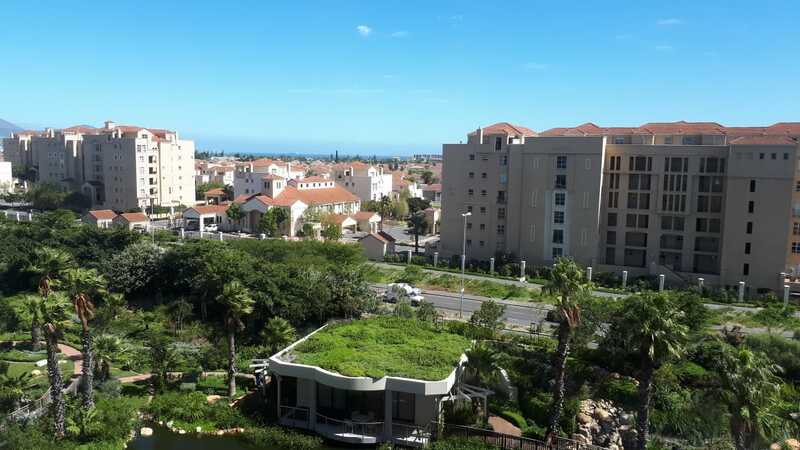 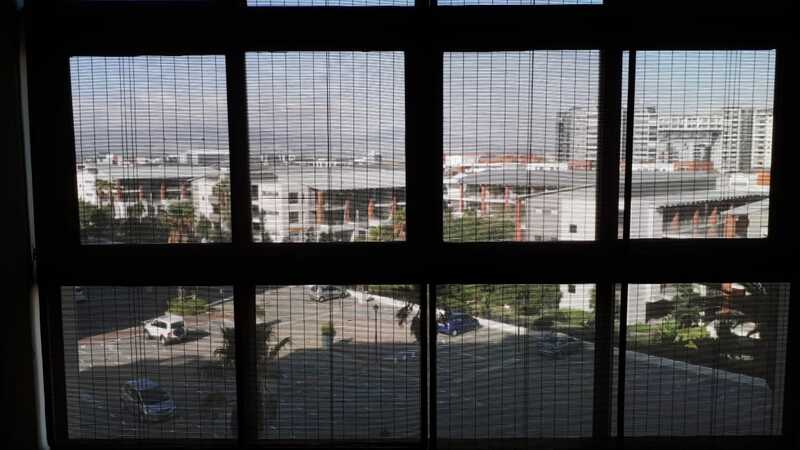 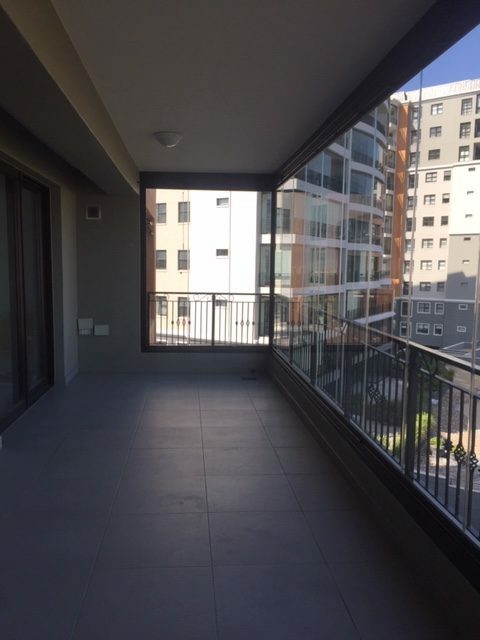 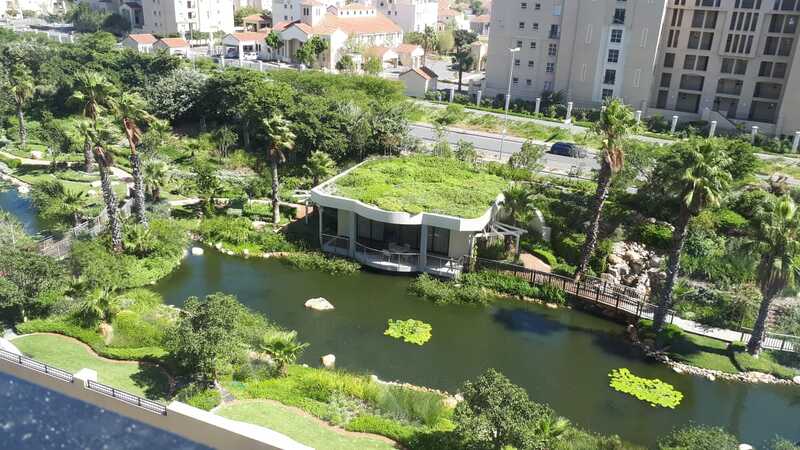 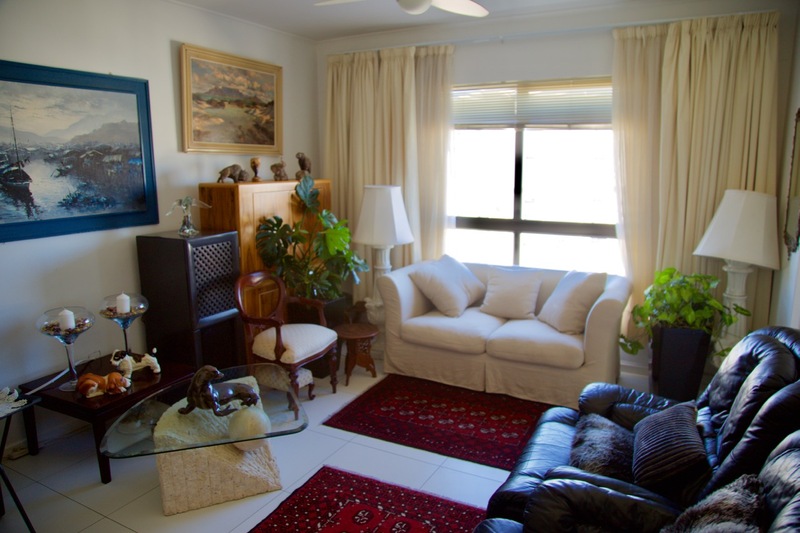 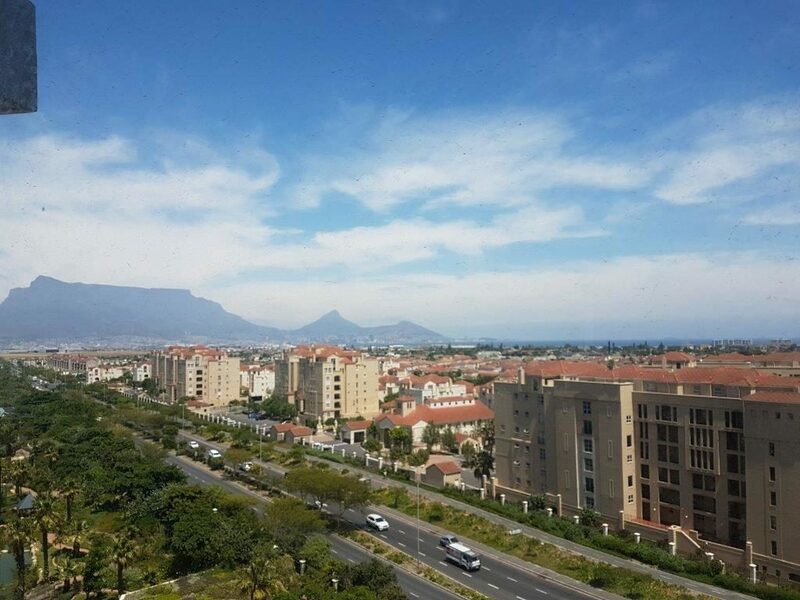 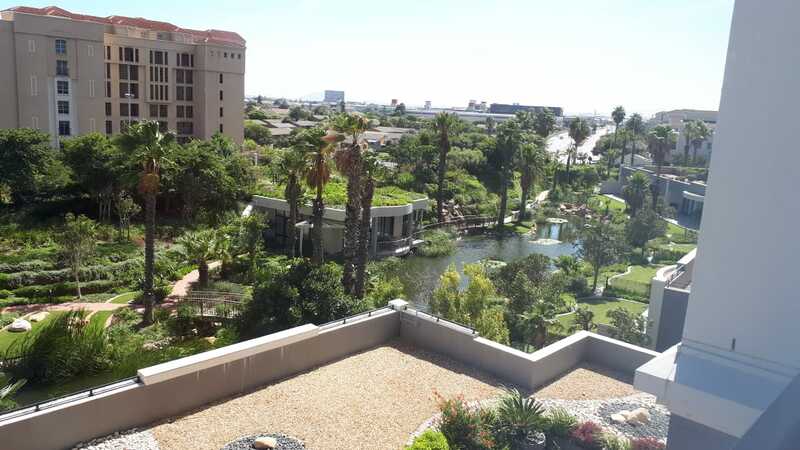 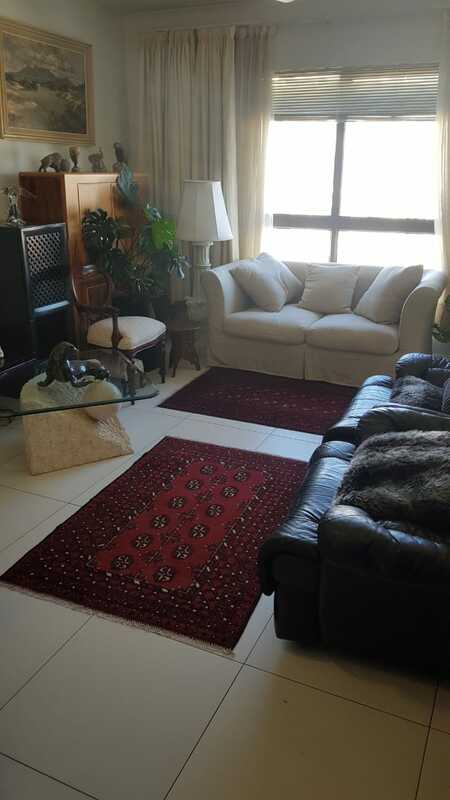 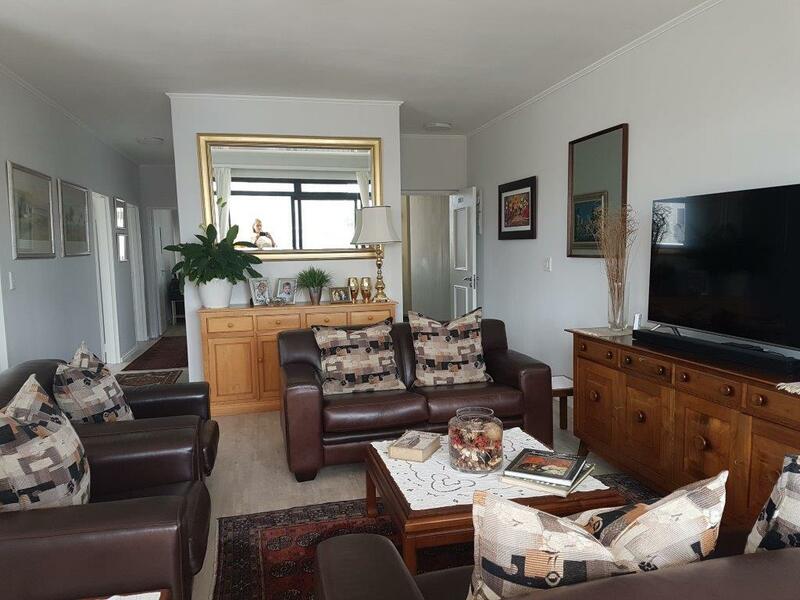 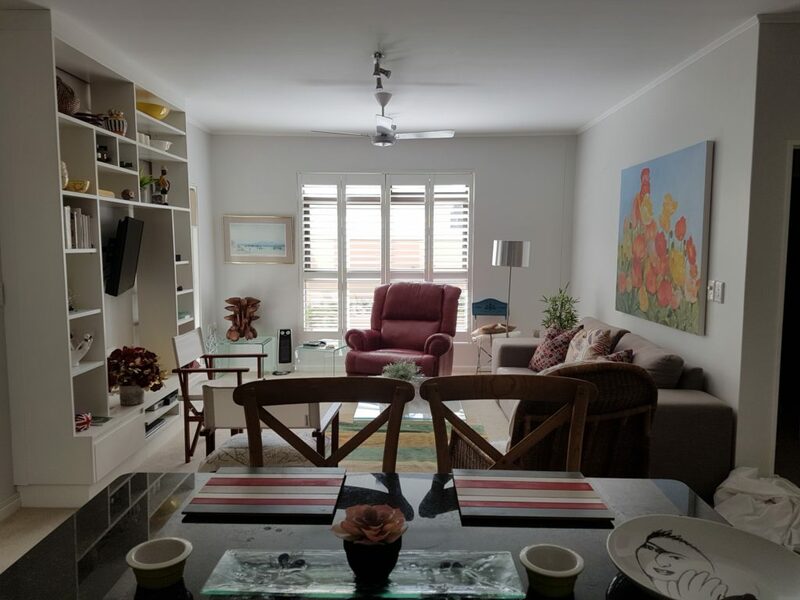 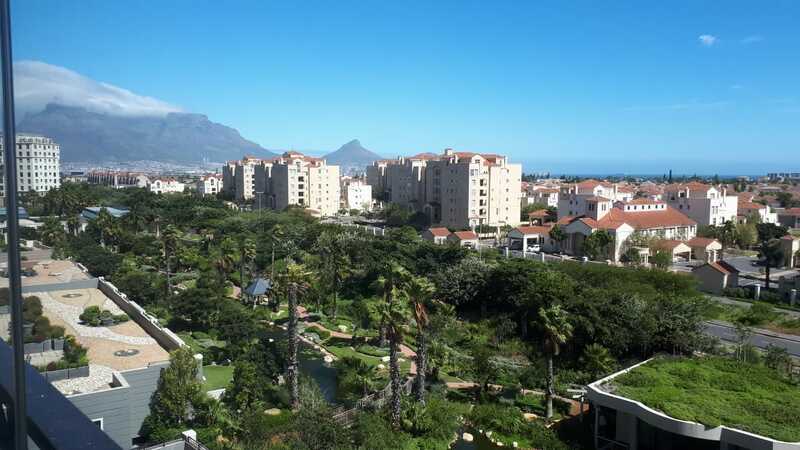 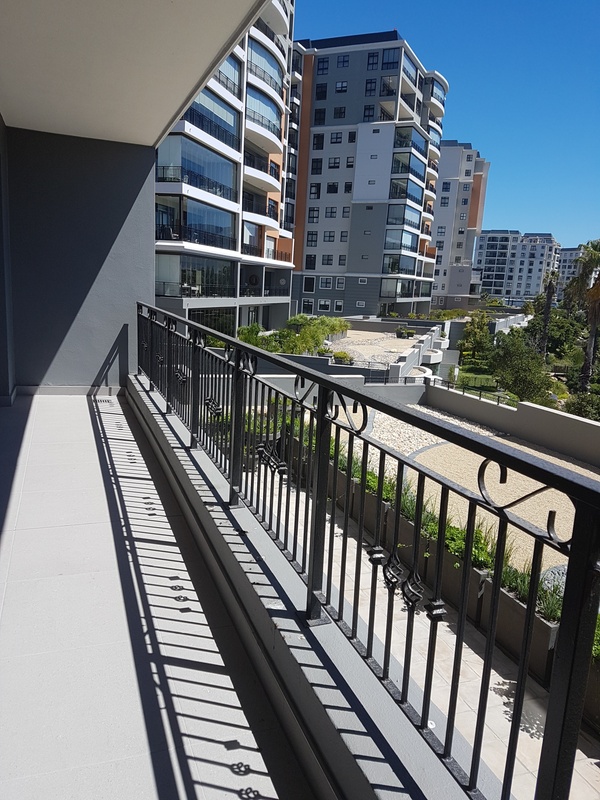 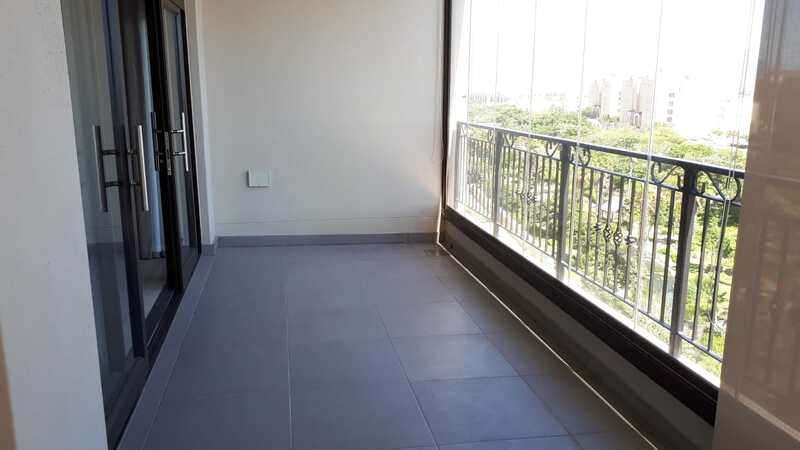 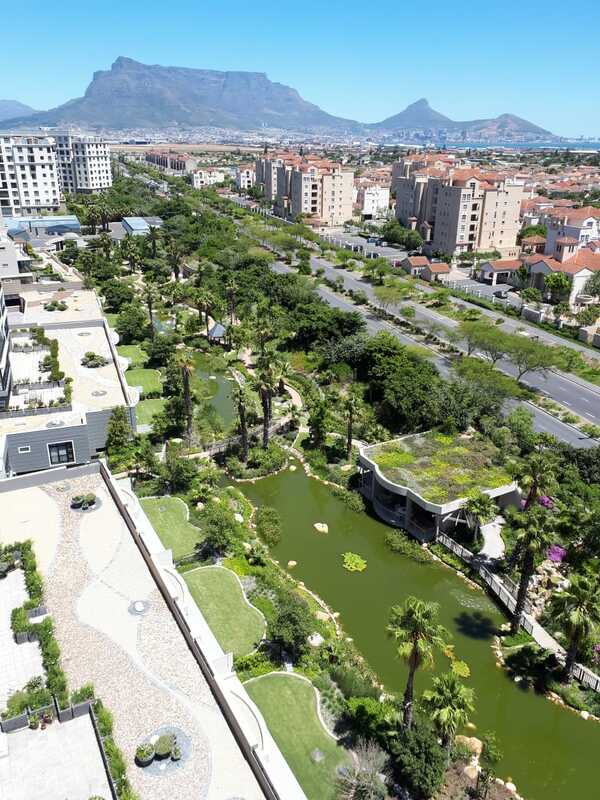 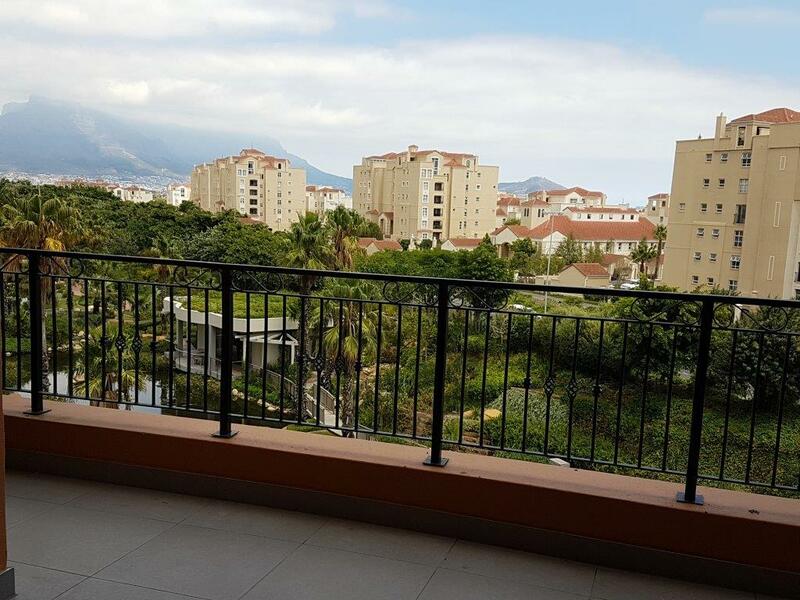 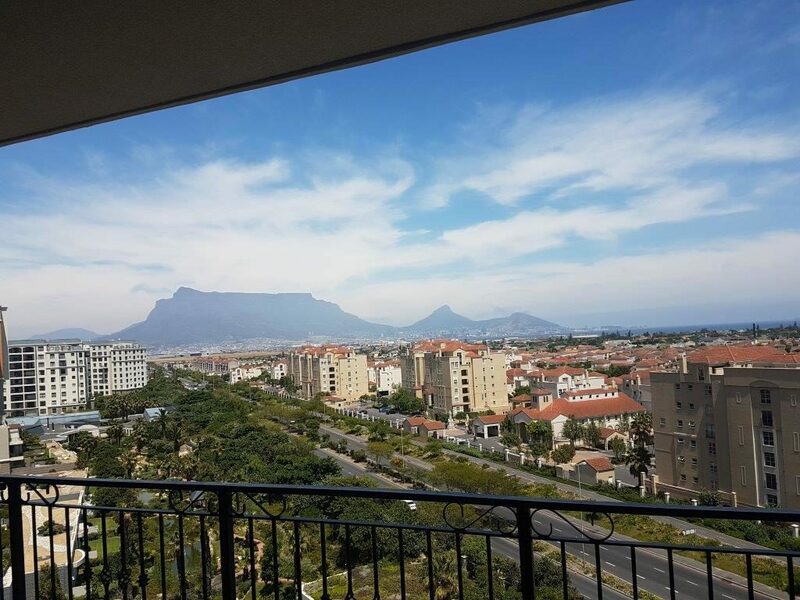 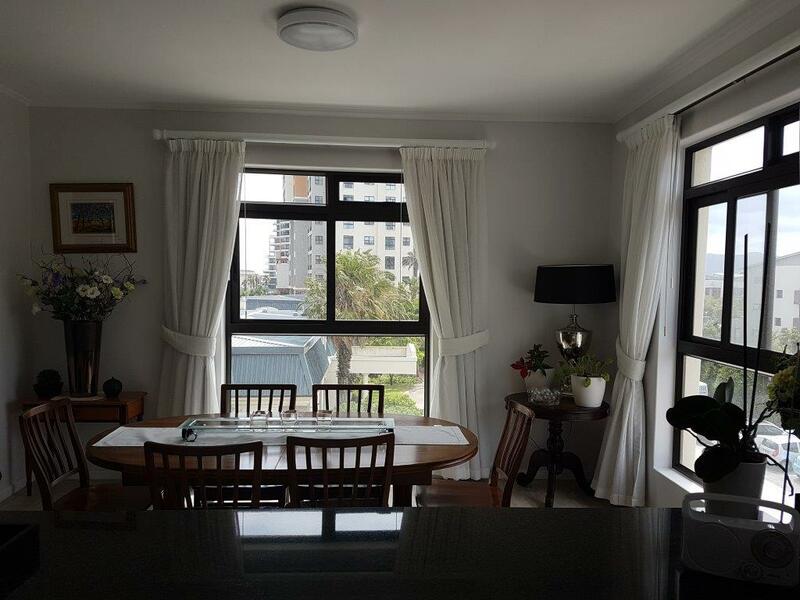 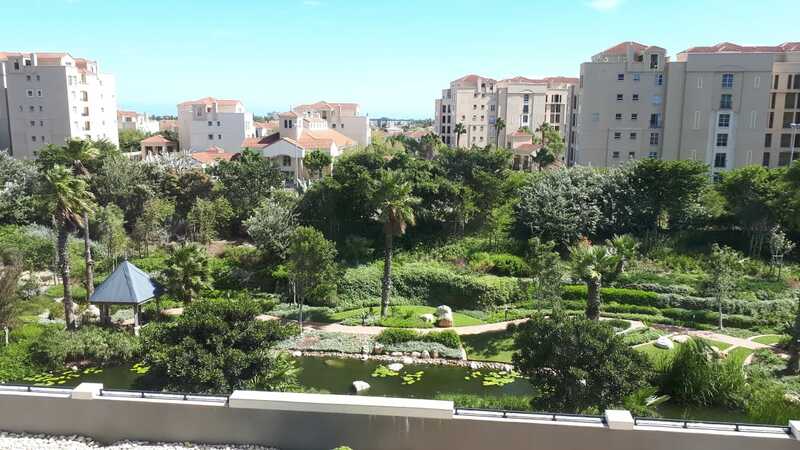 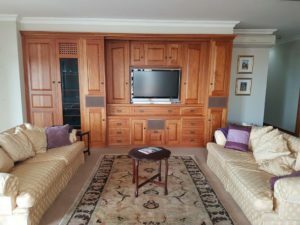 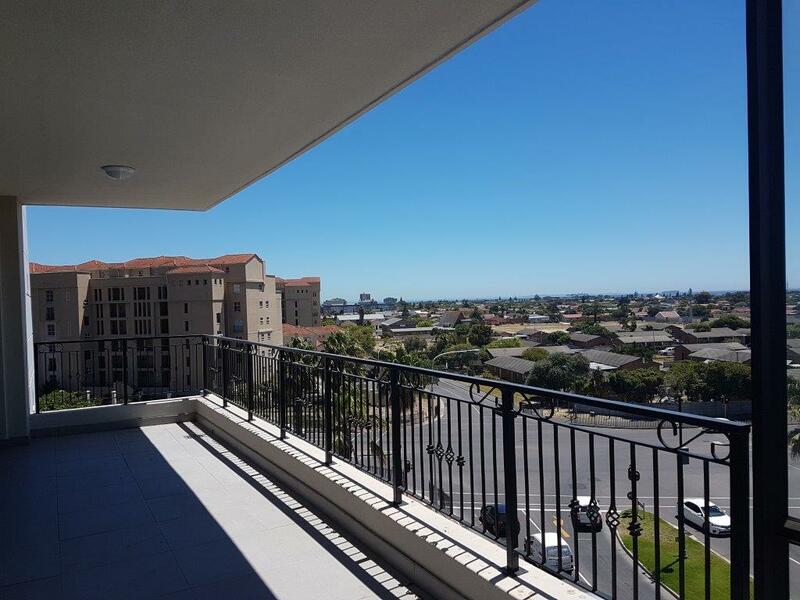 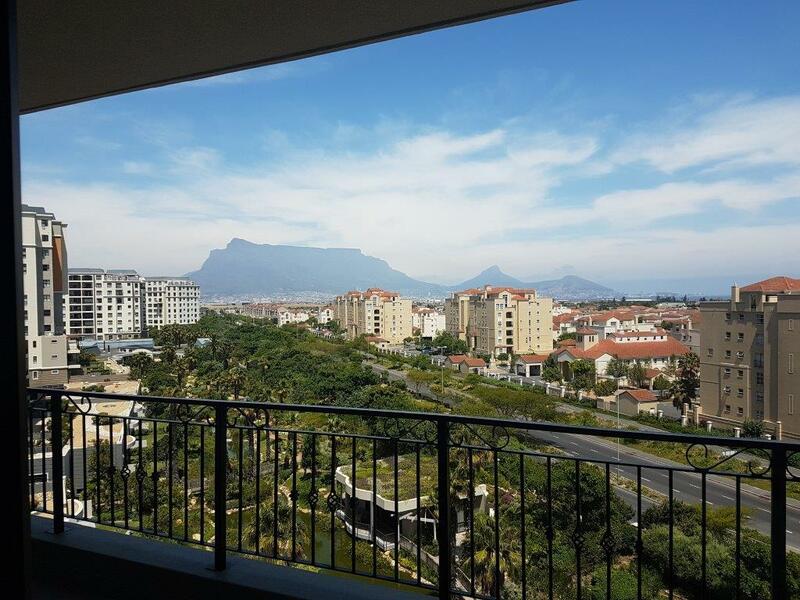 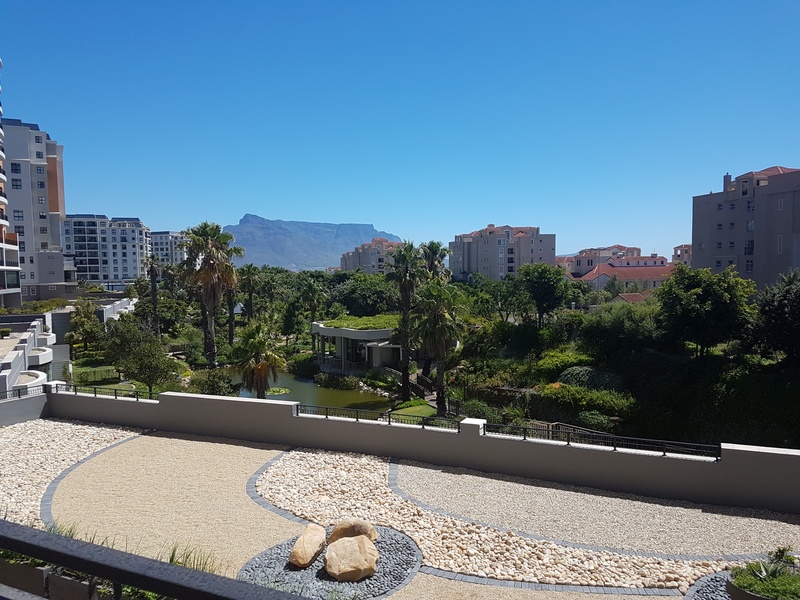 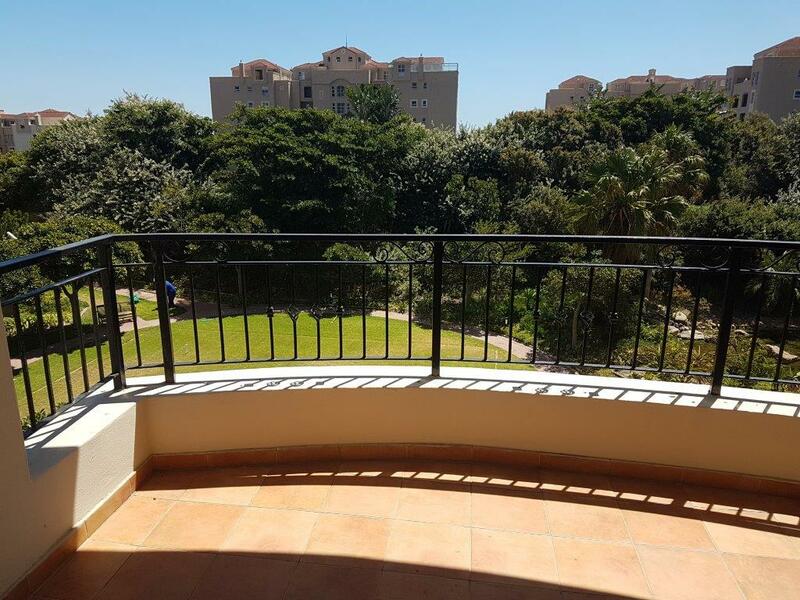 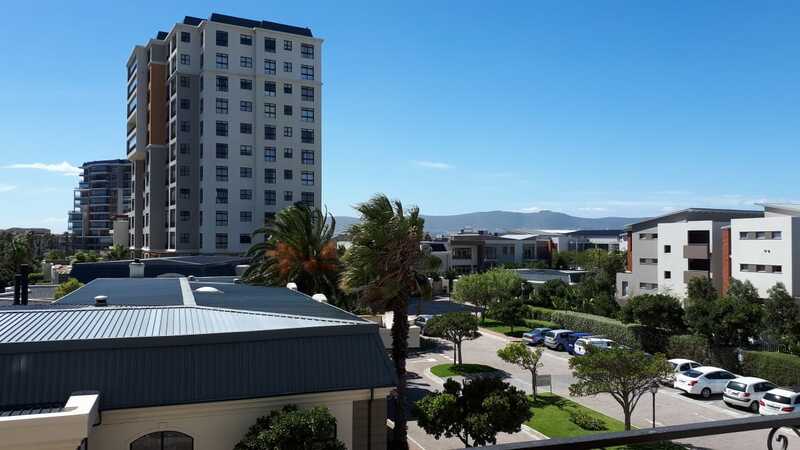 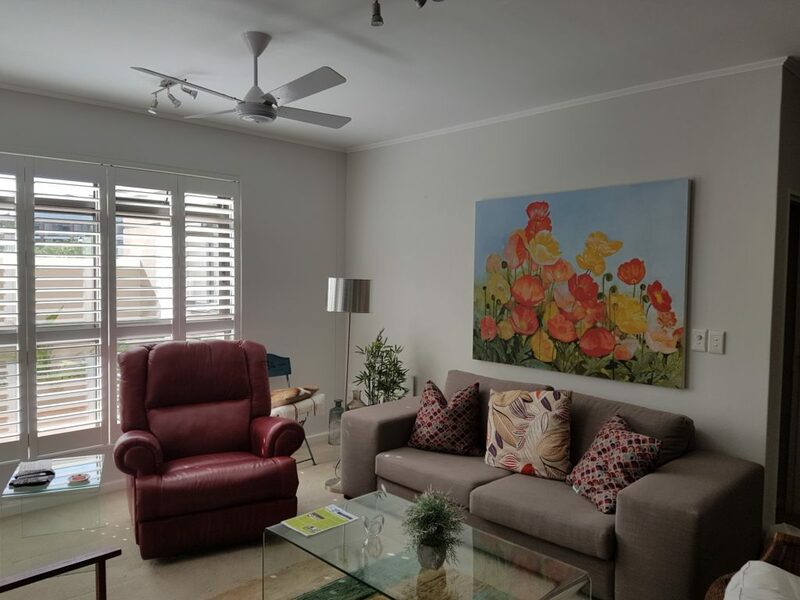 807 R18 000/pm 2 Immediate North East facing apartment with lovely views. 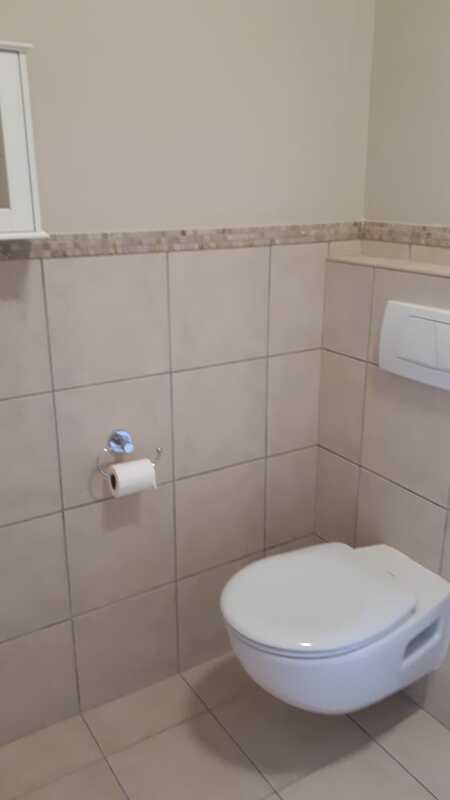 2 bedrooms and 2 bathrooms. 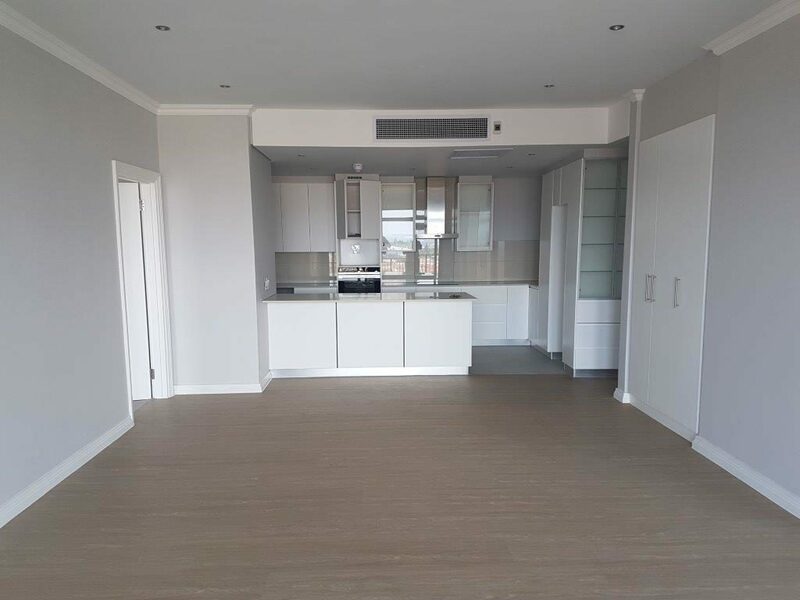 Open plan kitchen to dining and lounge area. 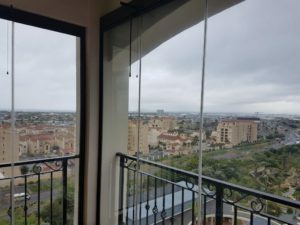 This opens to a balcony enclosed with frameless glass. 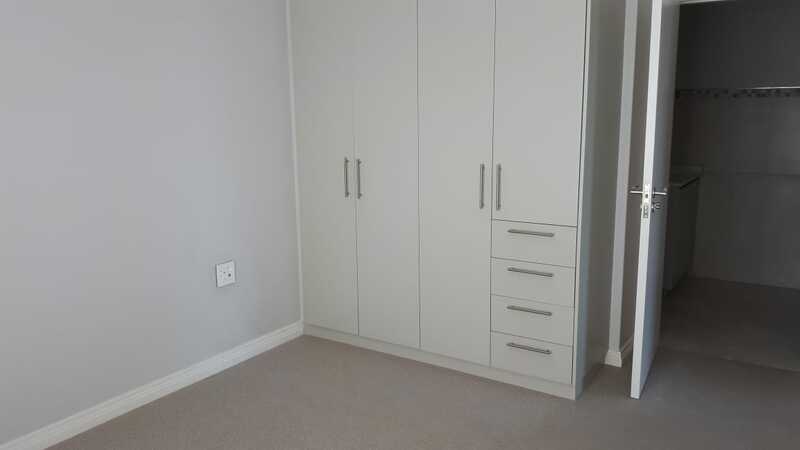 2 parking bays and a storeroom available. 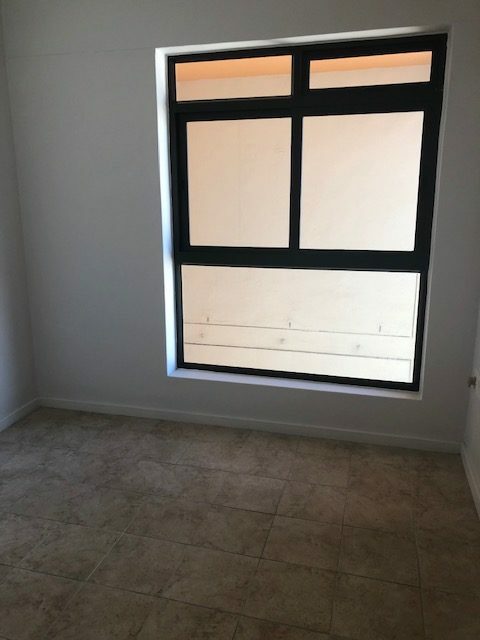 Status: North East facing apartment with lovely views. 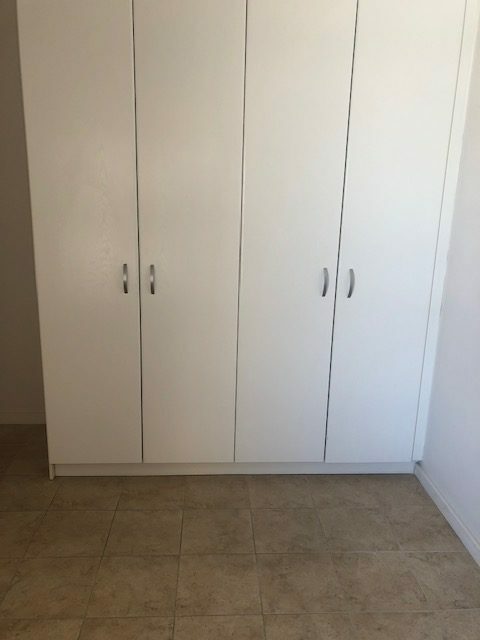 2 bedrooms and 2 bathrooms. 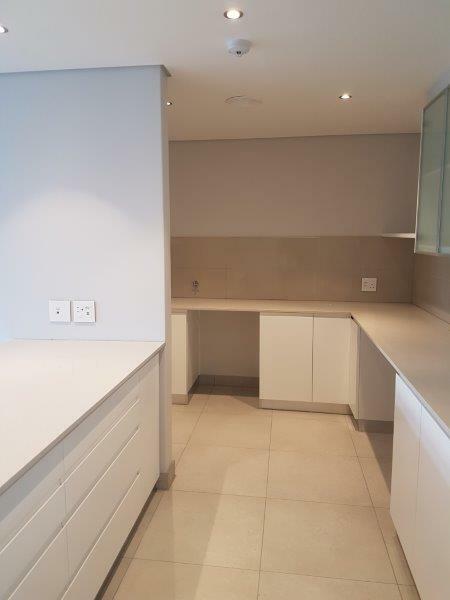 Open plan kitchen to dining and lounge area. 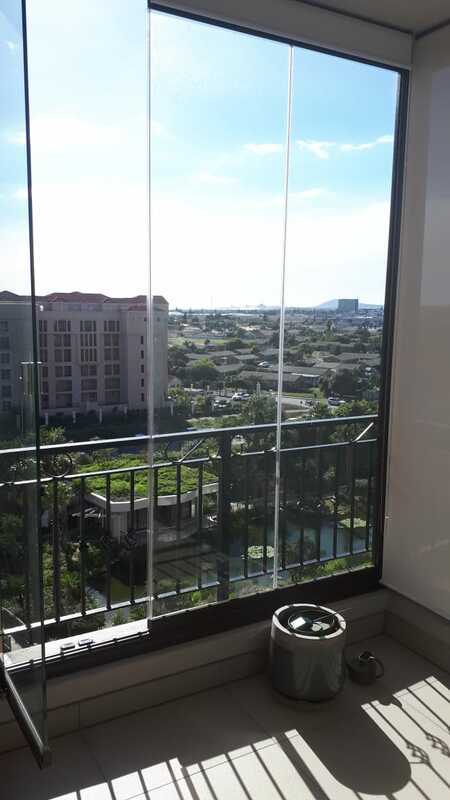 This opens to a balcony enclosed with frameless glass. 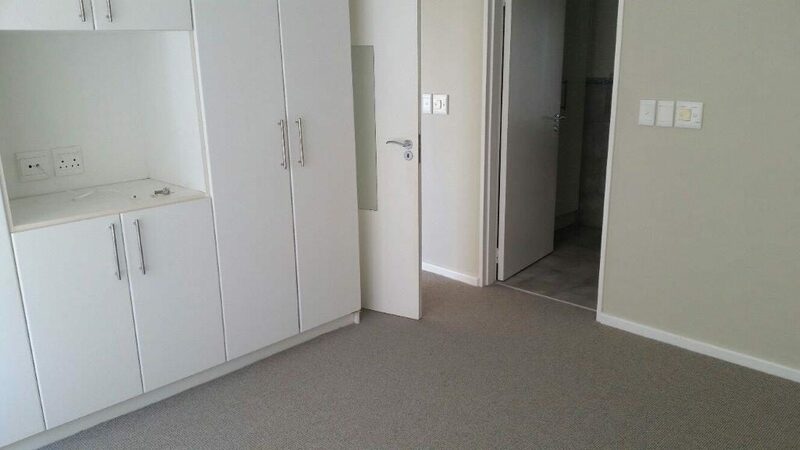 2 parking bays and a storeroom available. 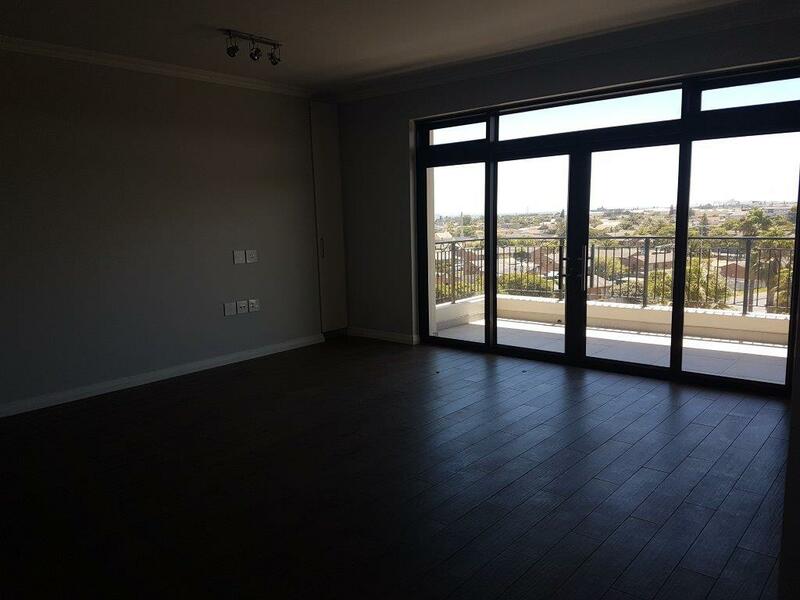 Status: Renovated 3 bed with large open plan lounge/dining/kitchen leading to a balcony enclosed with frameless glass. 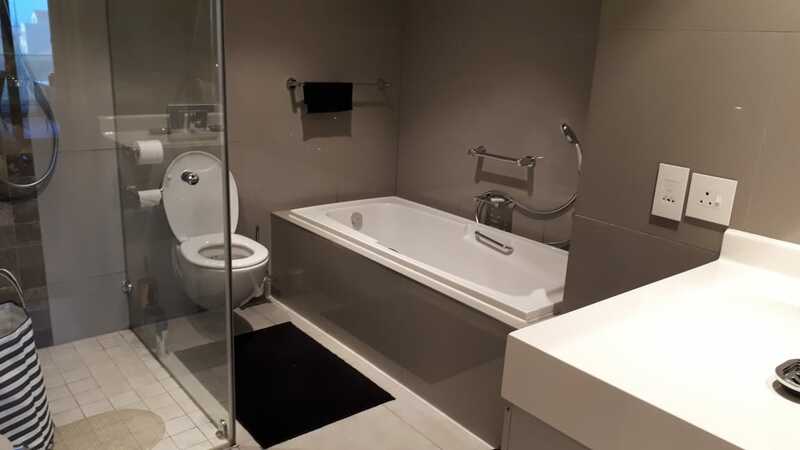 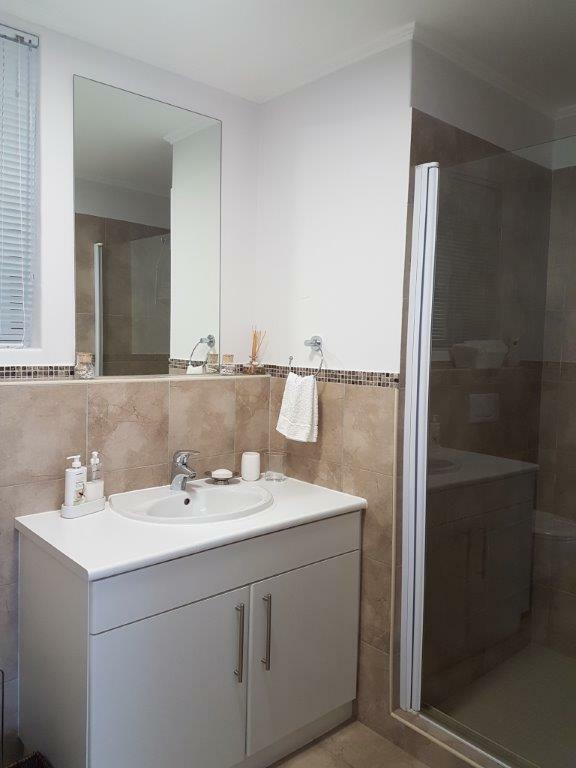 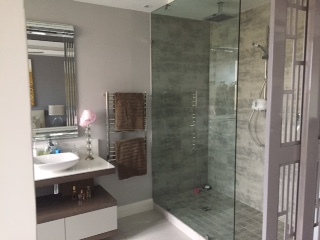 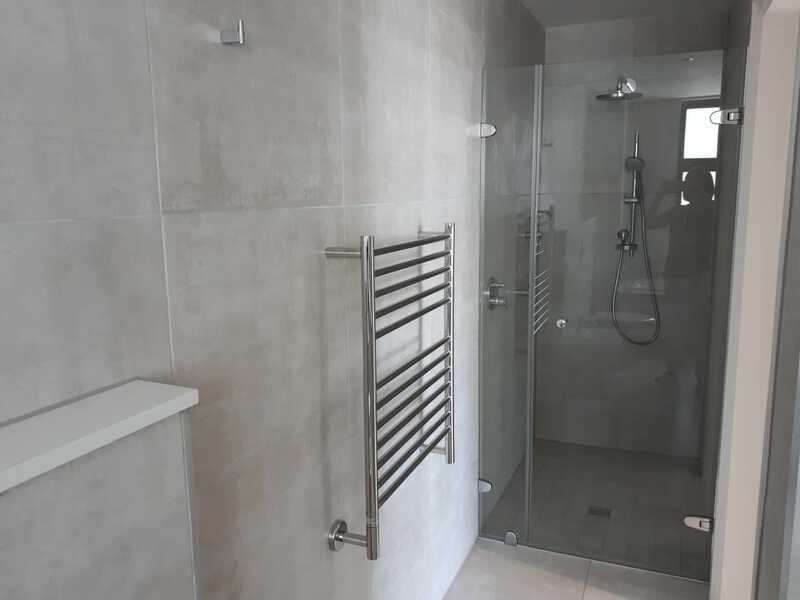 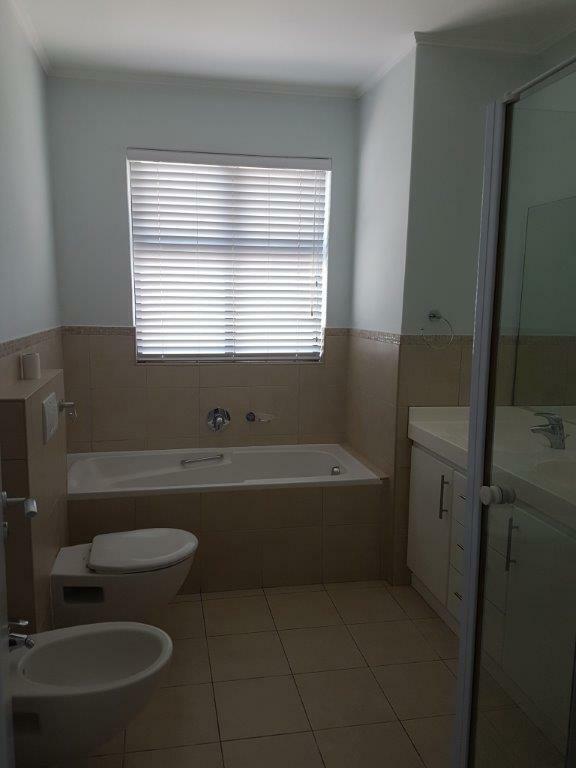 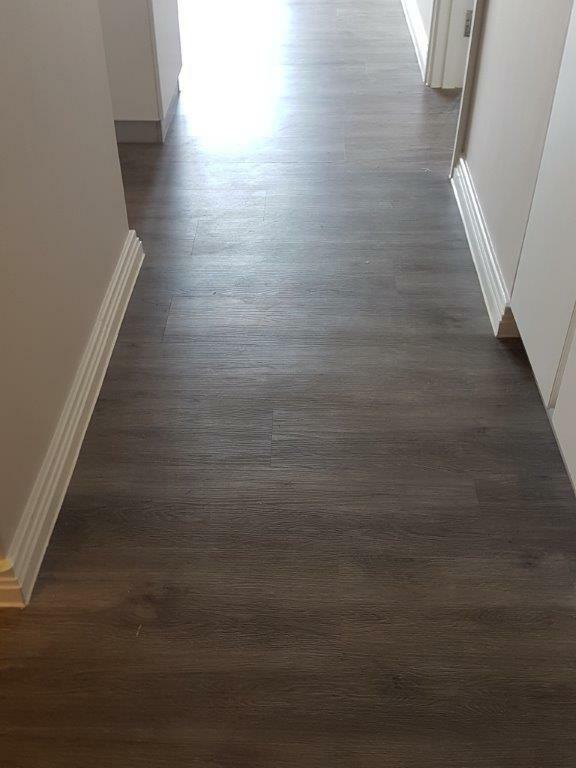 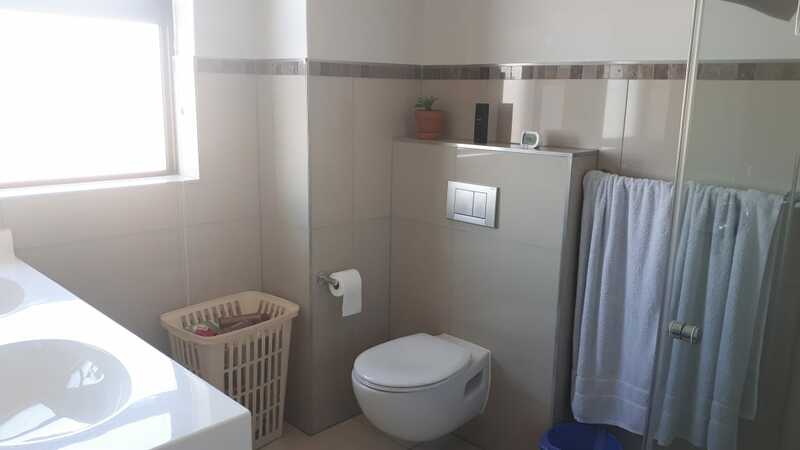 Main-en-suite with a further two bedrooms and a shower bathroom. 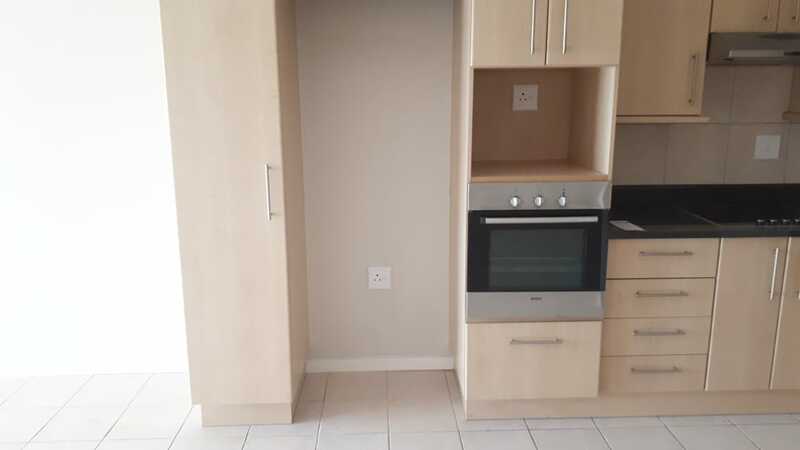 2 undercover parking bays. 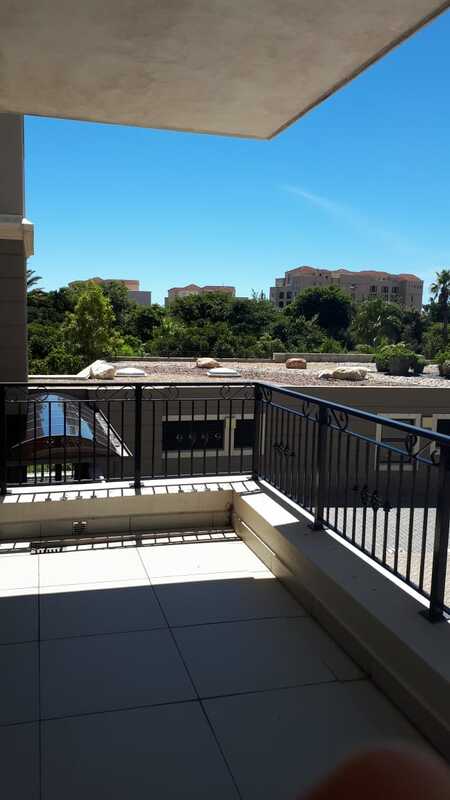 202 R23 000/pm 3 Immediate NW facing, sunny and renovated. 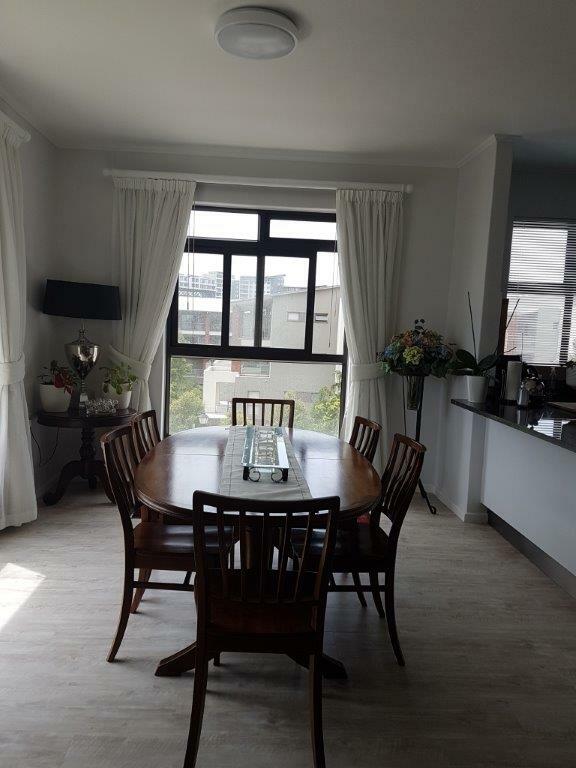 Spacious open plan lounge/dining/kitchen leading to an enclosed balcony. 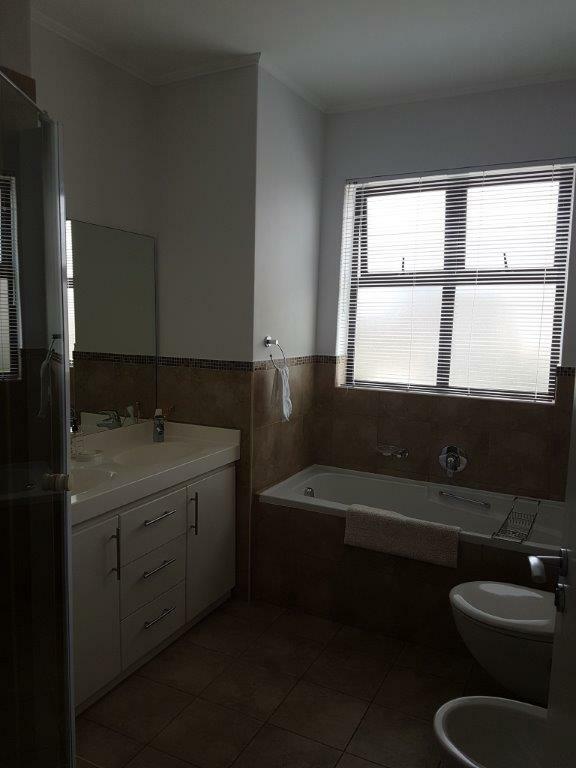 A main-en-suite with two further bedrooms and a shower bathroom. 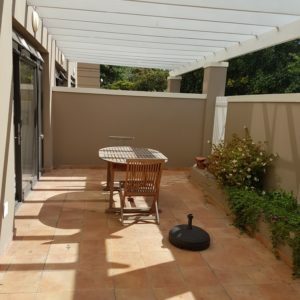 2 parking bays. 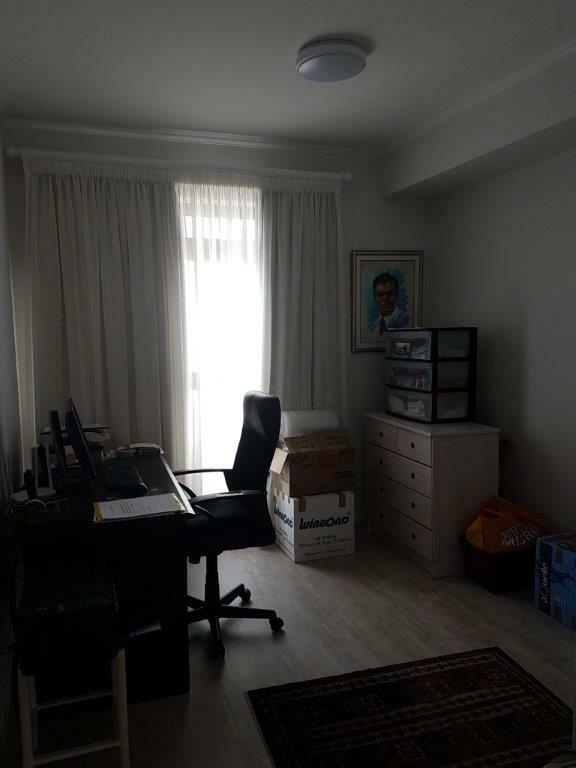 Status: NW facing, sunny and renovated. 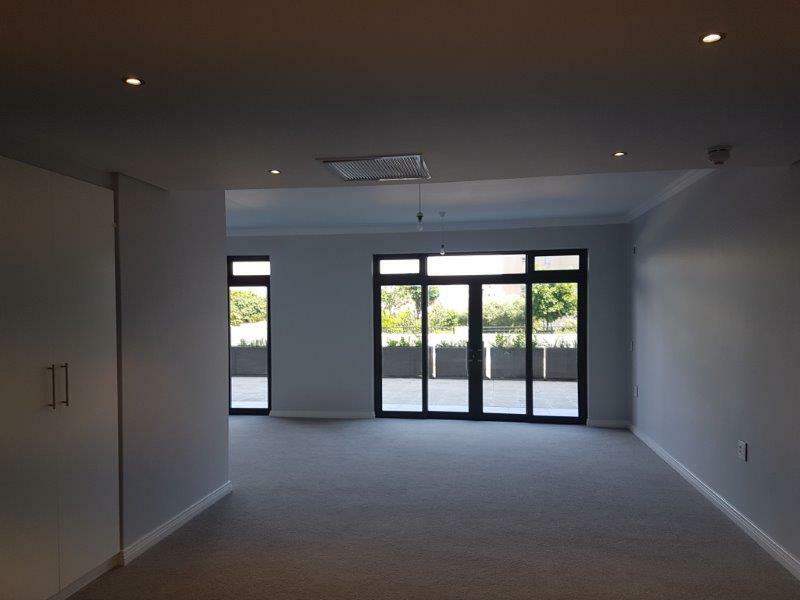 Spacious open plan lounge/dining/kitchen leading to an enclosed balcony. 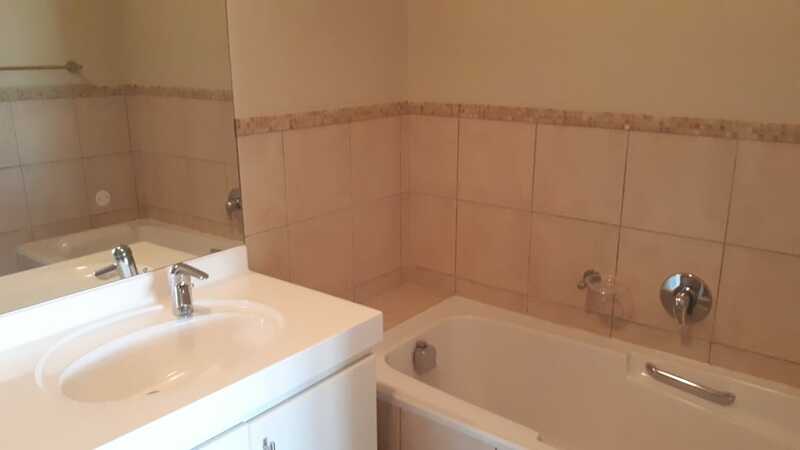 A main-en-suite with two further bedrooms and a shower bathroom. 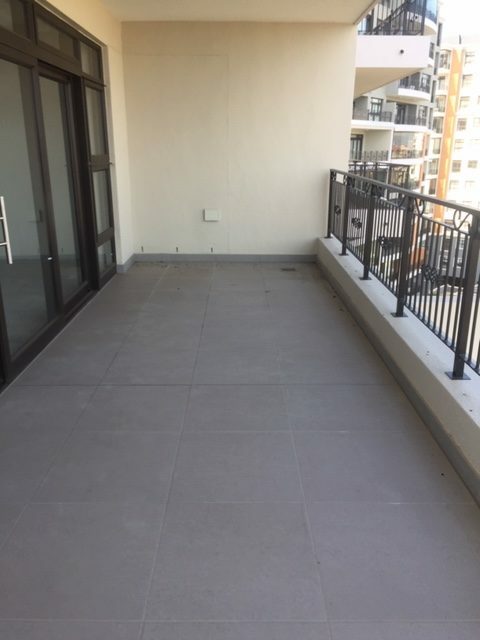 2 parking bays. 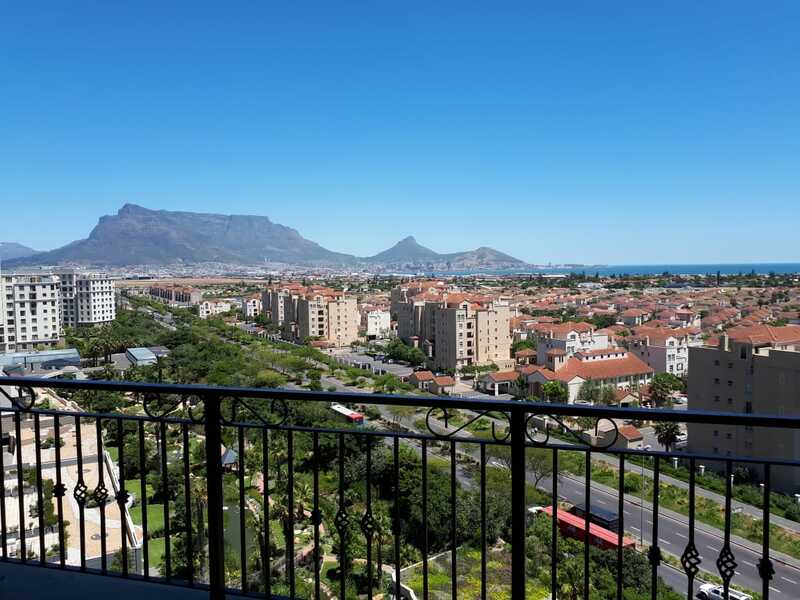 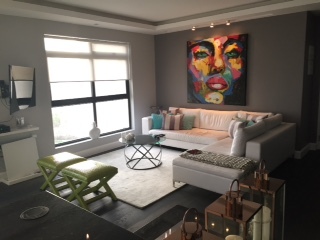 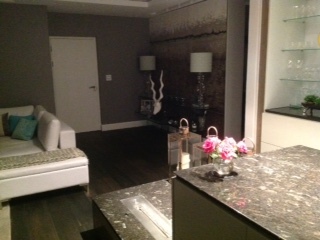 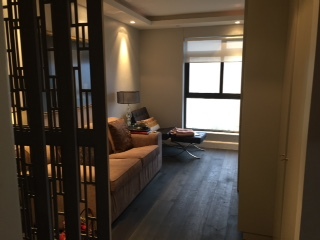 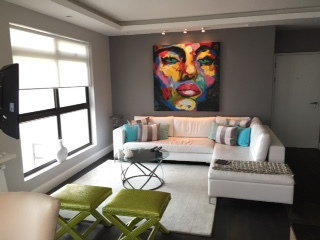 903 R-/pm 3 Immediate Spacious penthouse with beautiful views. 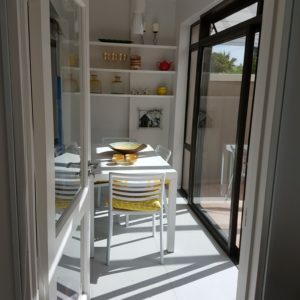 Open plan lounge, dining, kitchen leading to a large terrace area. 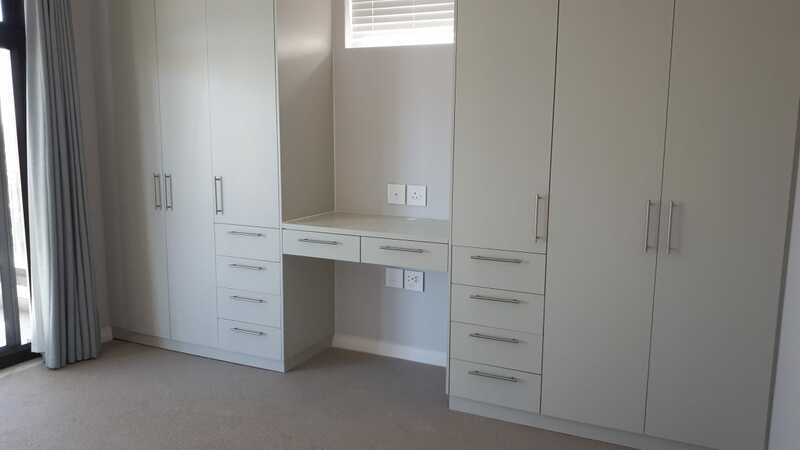 Separate utility room. 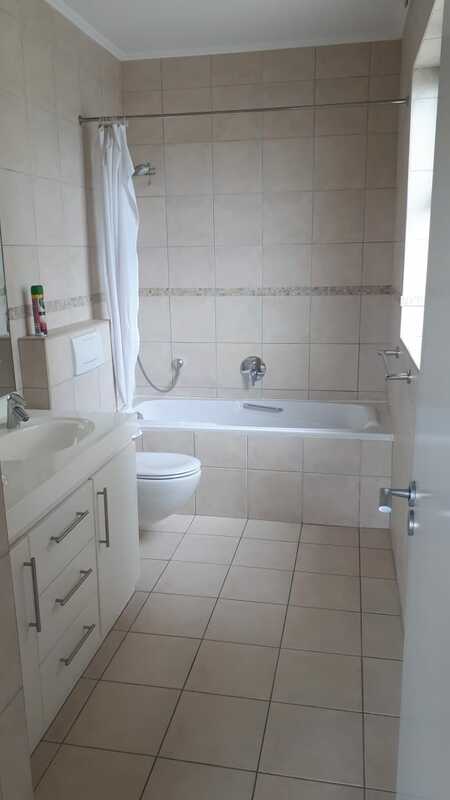 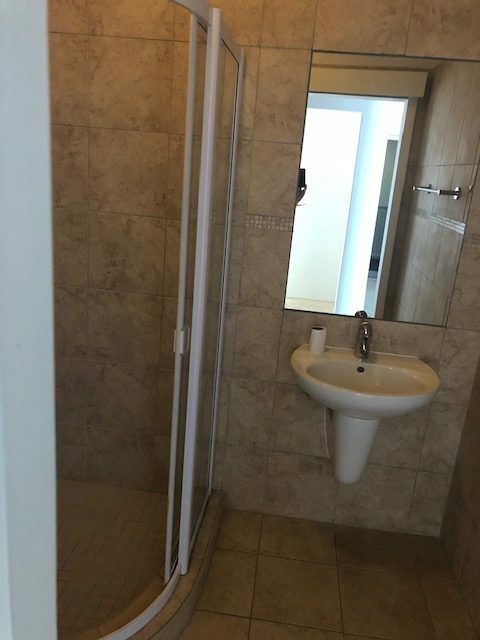 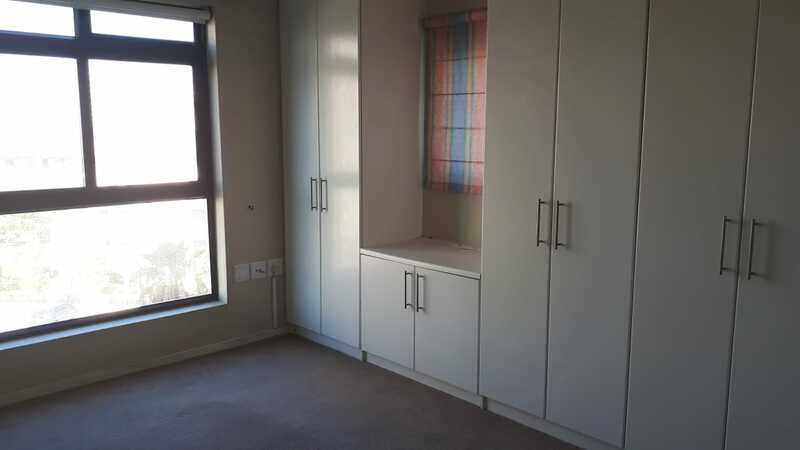 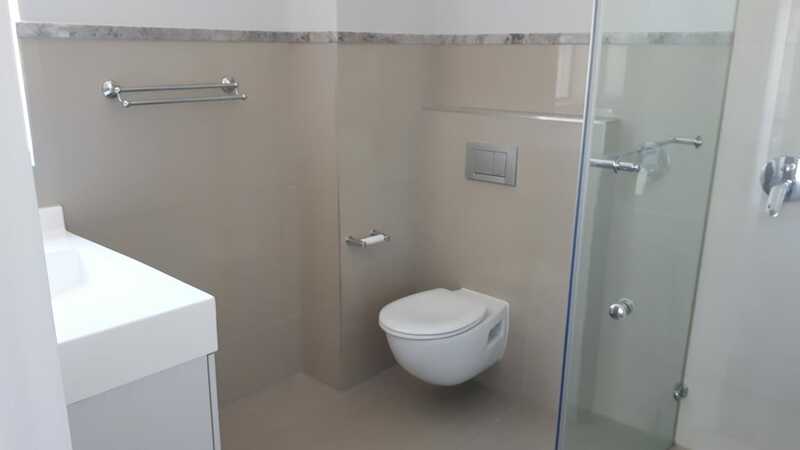 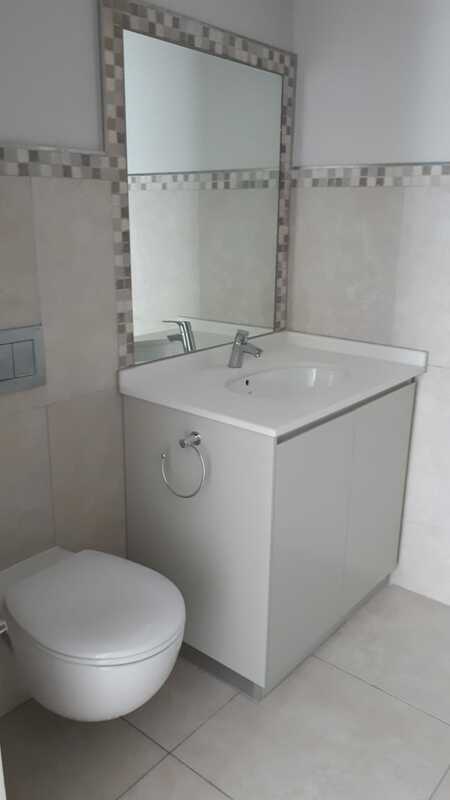 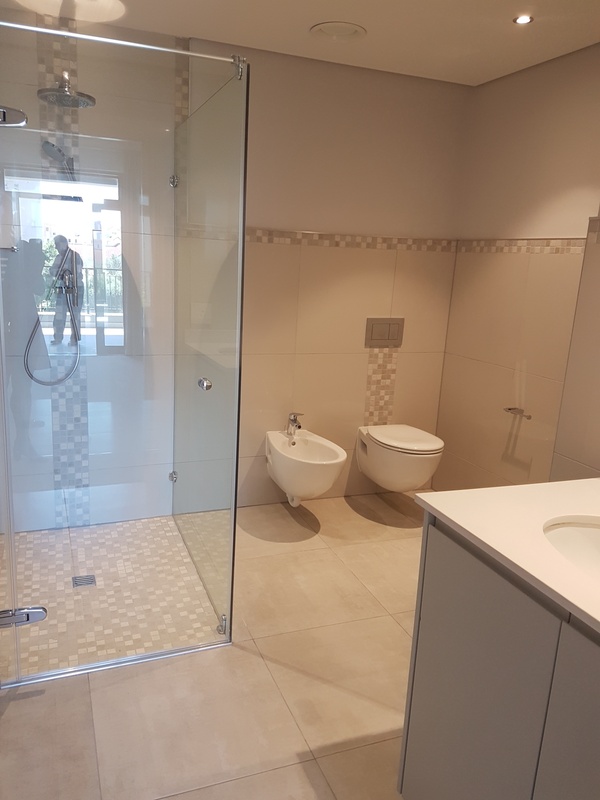 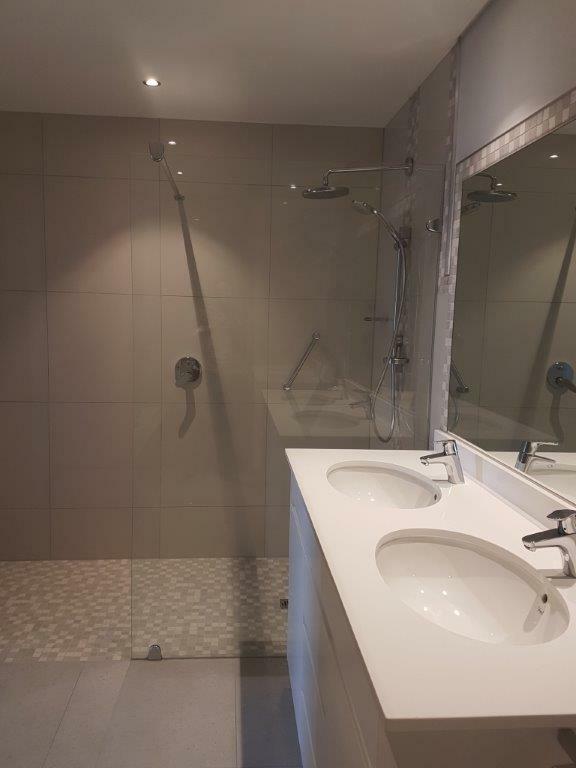 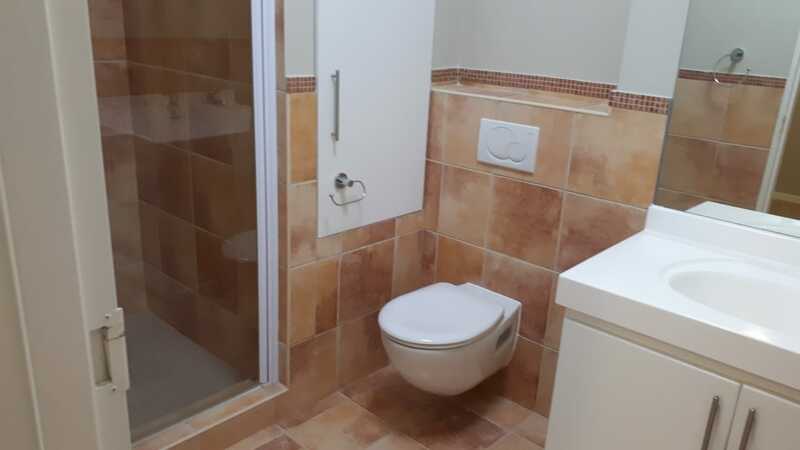 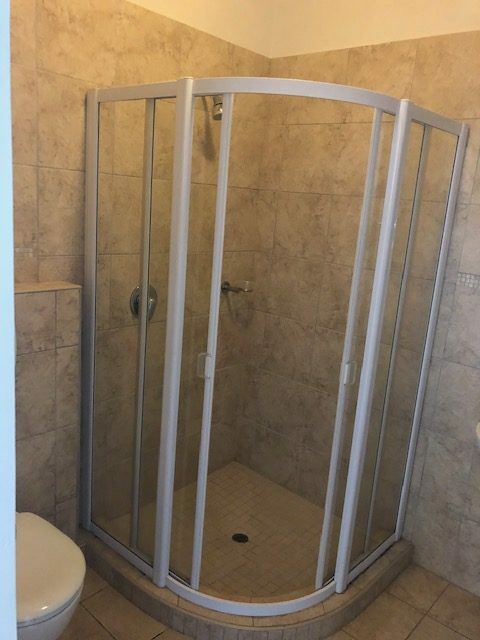 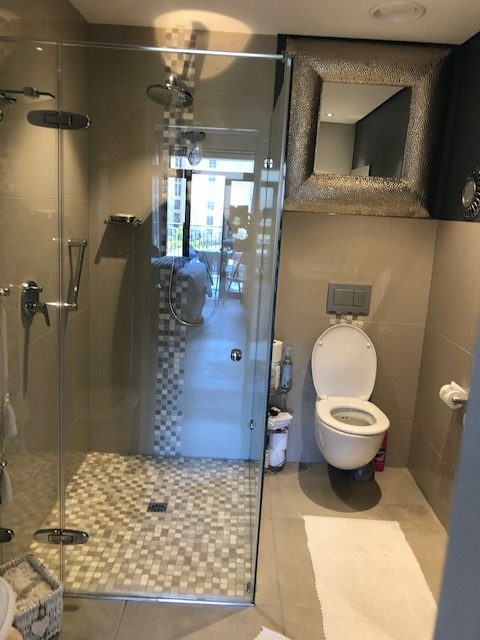 2 bedrooms sharing a bathroom with a main bedroom en- suite to a full bathroom. 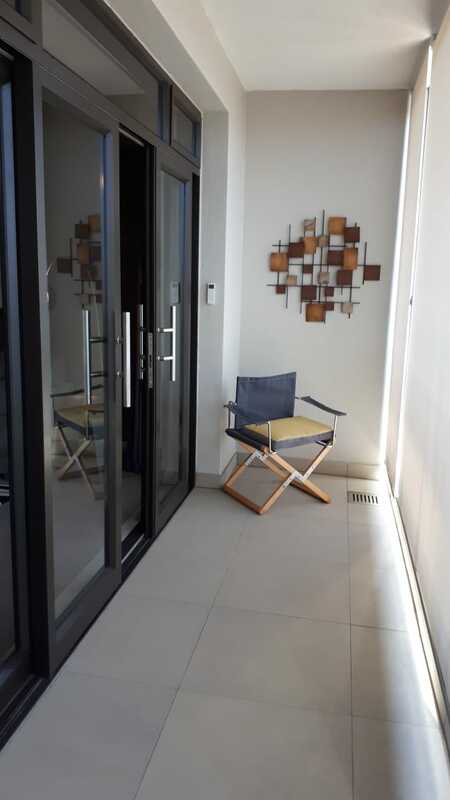 A second NW facing balcony is accessed by 2 of the bedrooms and the lounge. 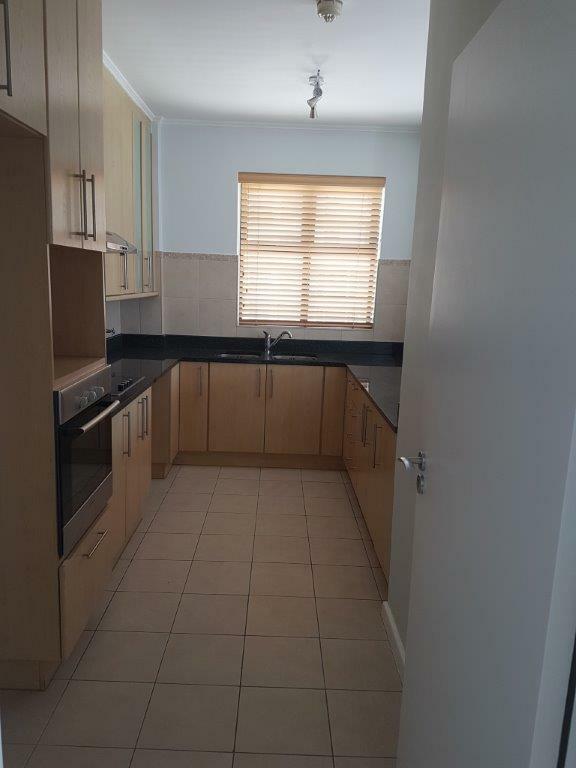 2 parking bays, a garage and a storeroom included. 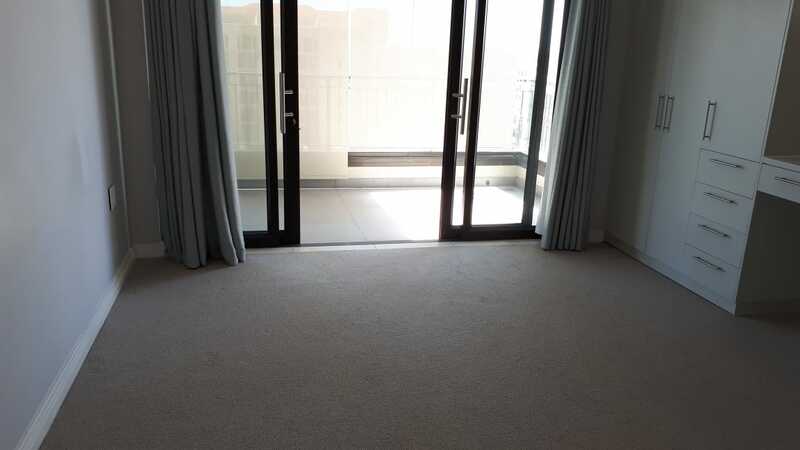 Status: Spacious penthouse with beautiful views. 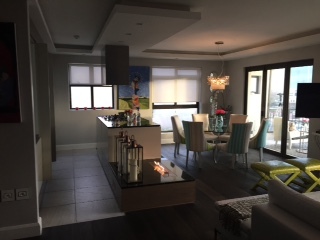 Open plan lounge, dining, kitchen leading to a large terrace area. 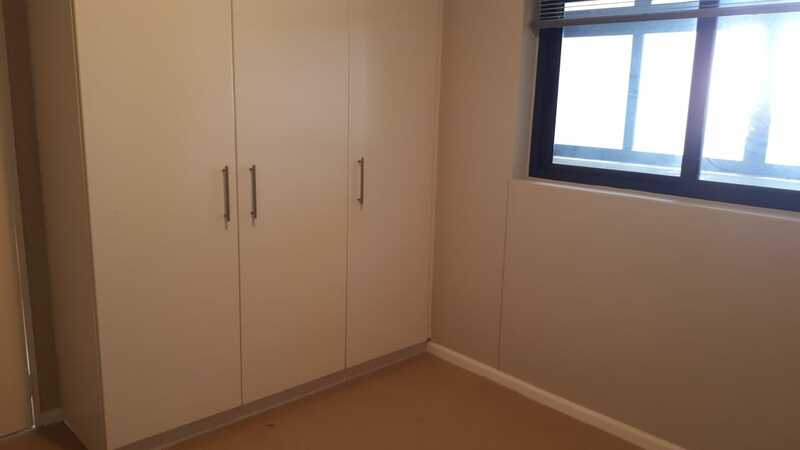 Separate utility room. 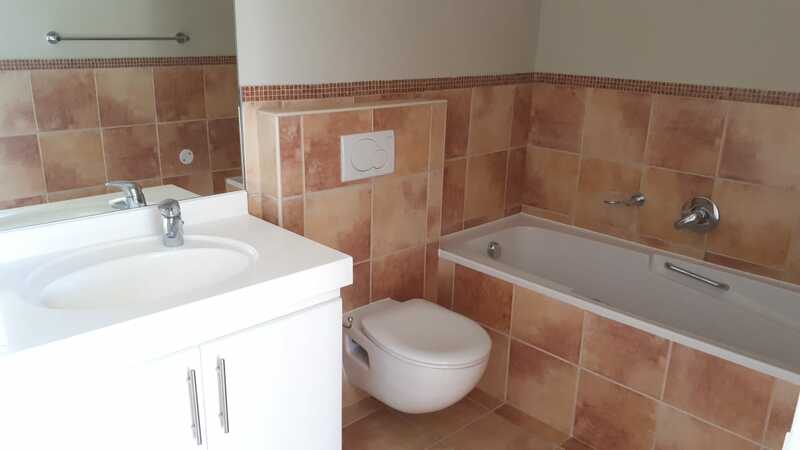 2 bedrooms sharing a bathroom with a main bedroom en- suite to a full bathroom. 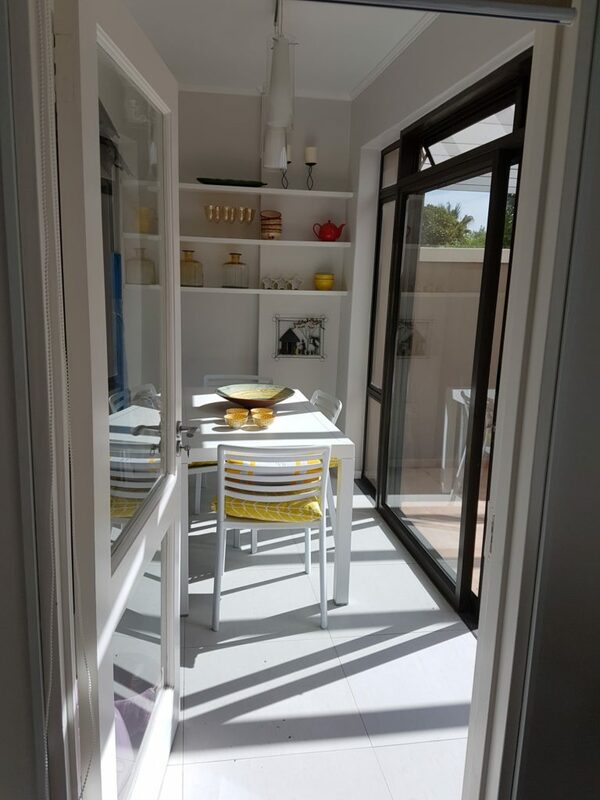 A second NW facing balcony is accessed by 2 of the bedrooms and the lounge. 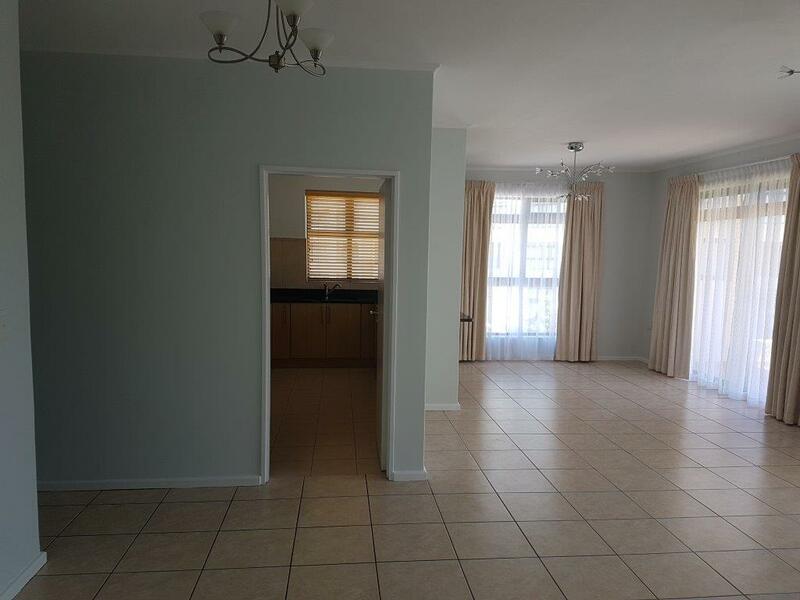 2 parking bays, a garage and a storeroom included. 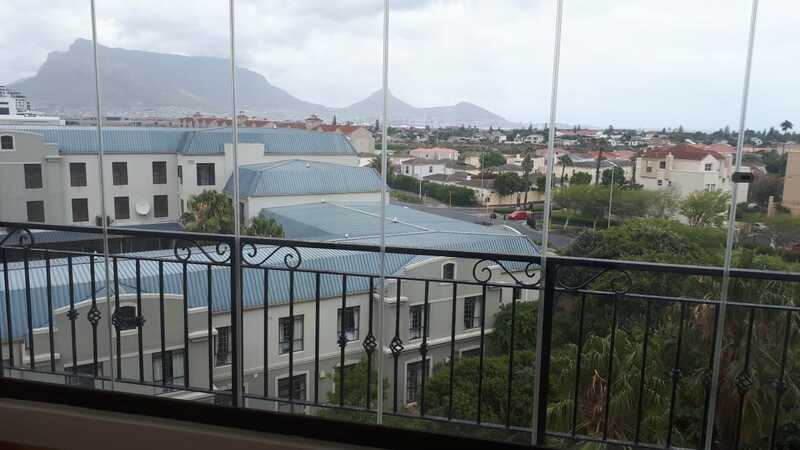 Status: Negotiable NW facing with stunning views, 2 parking bays and a store. 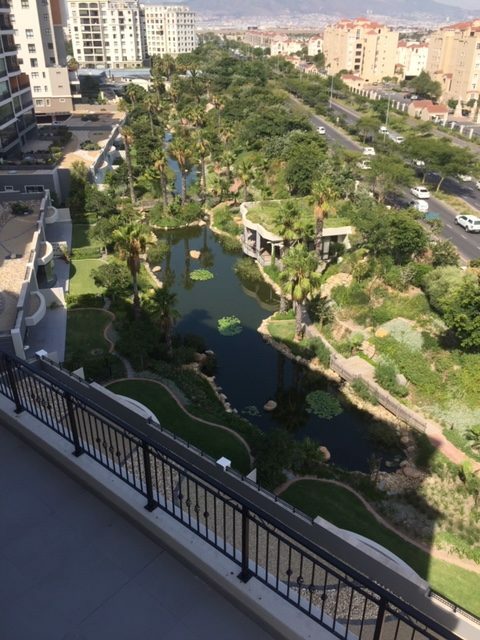 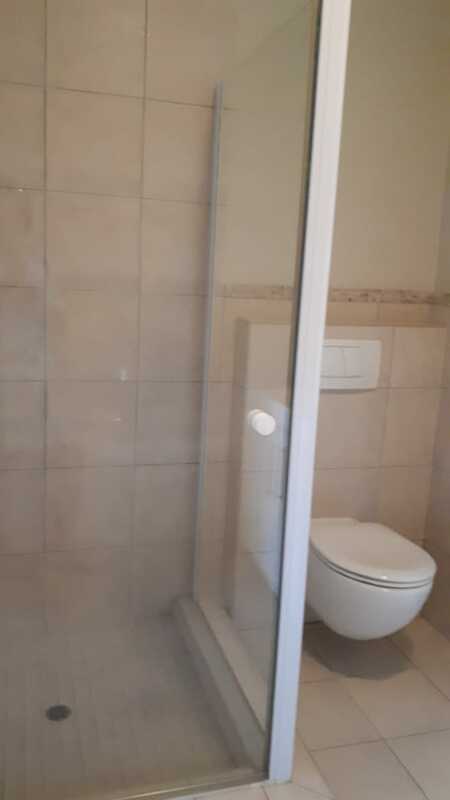 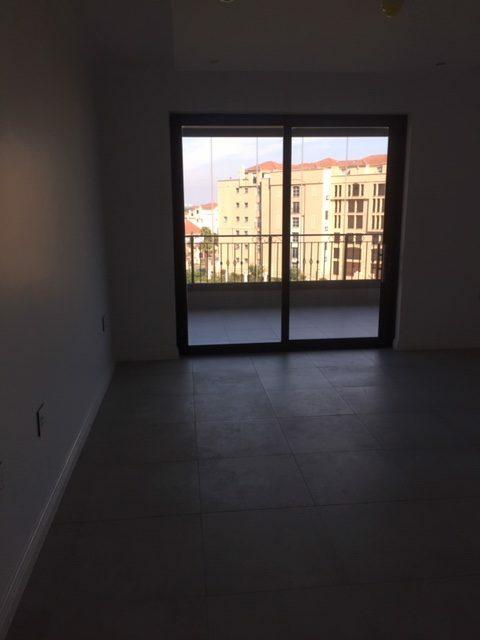 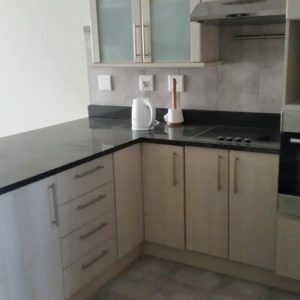 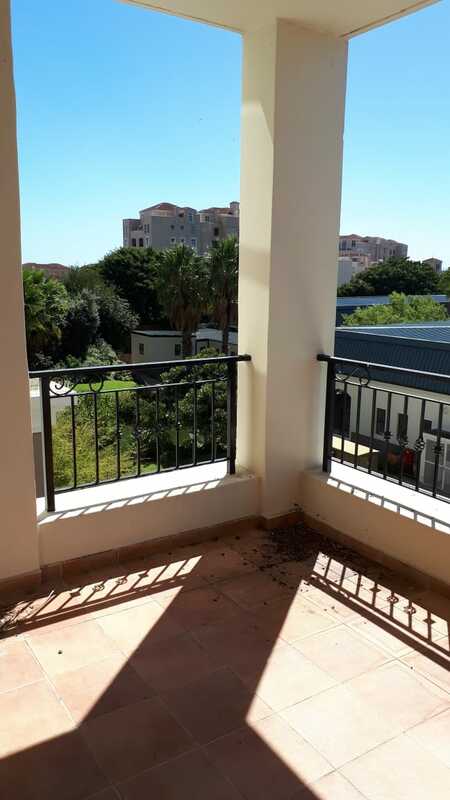 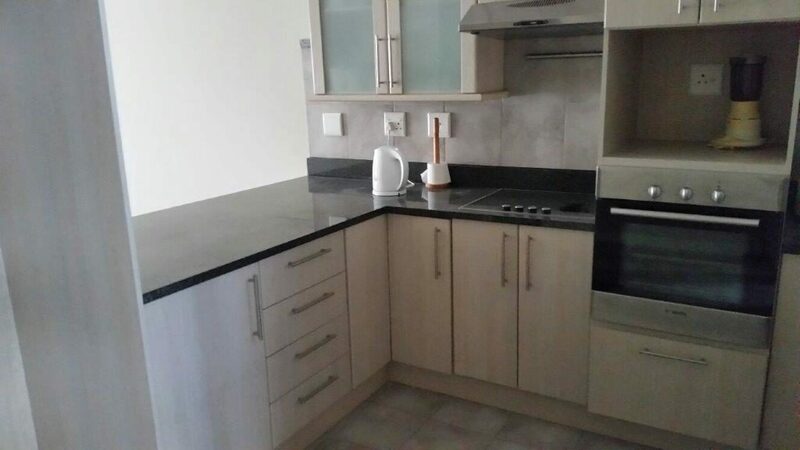 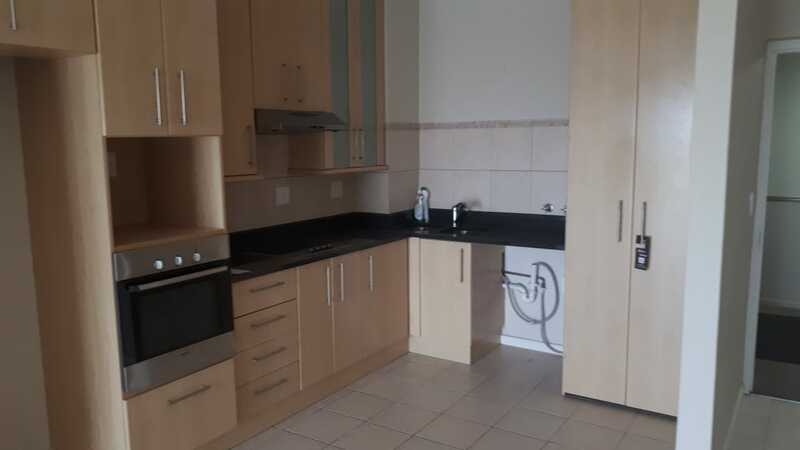 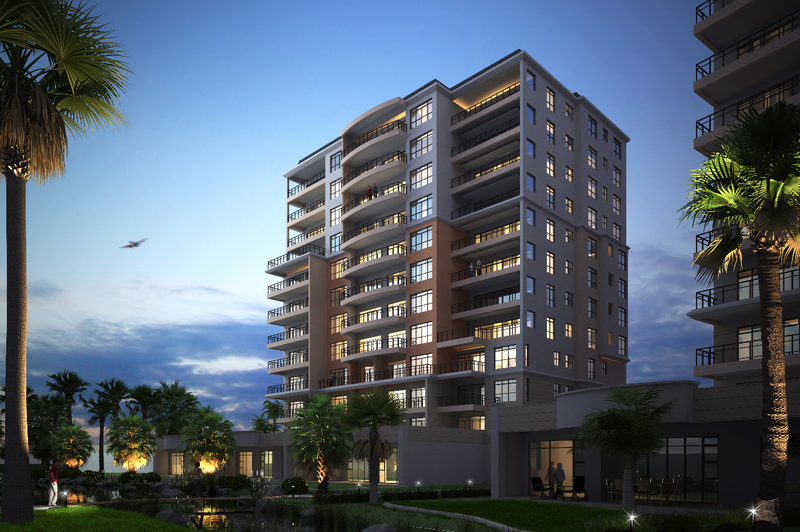 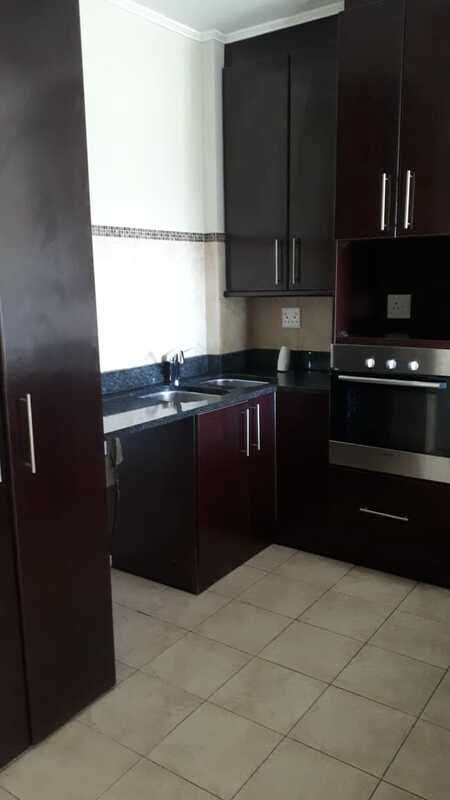 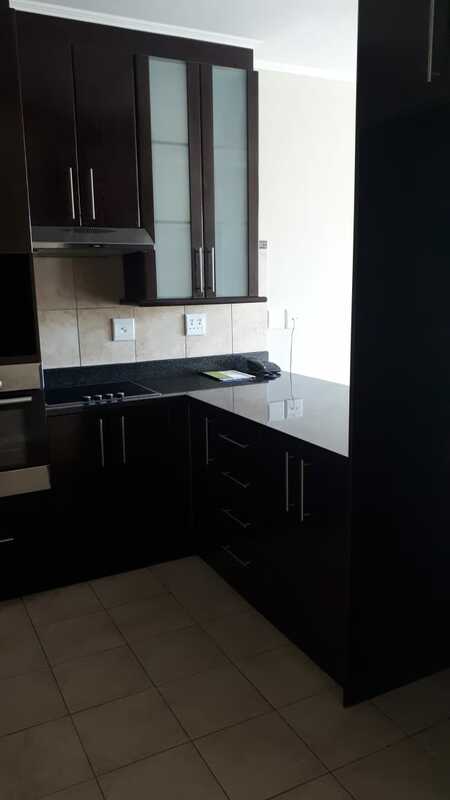 604 R21 0000/pm 2 Immediate Apartment in very good condition. 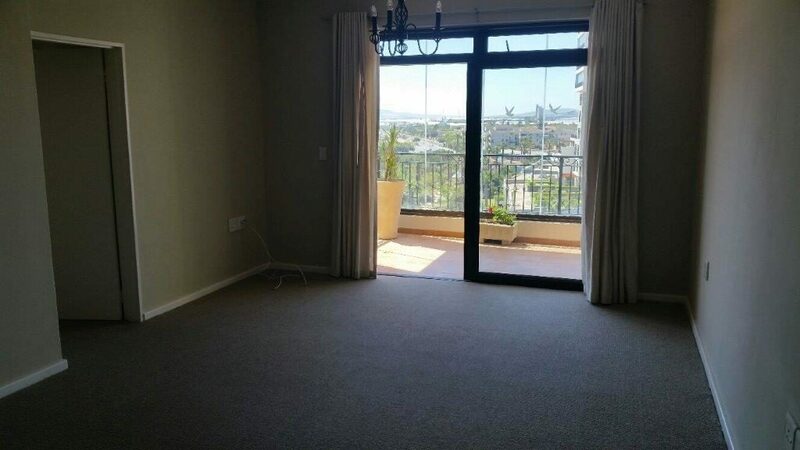 Open plan kitchen, lounge, dining leading to a large North East facing enclosed balcony. 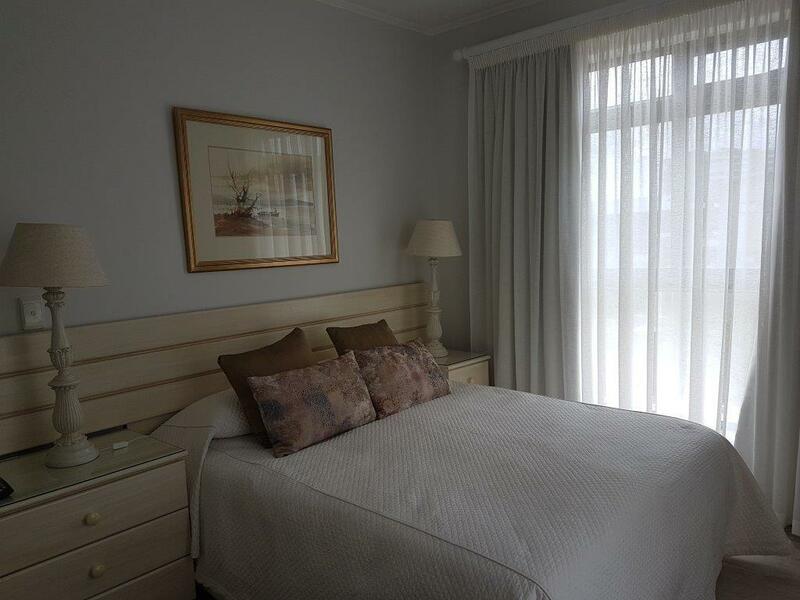 The main bedroom is en-suite and leads to the same balcony. 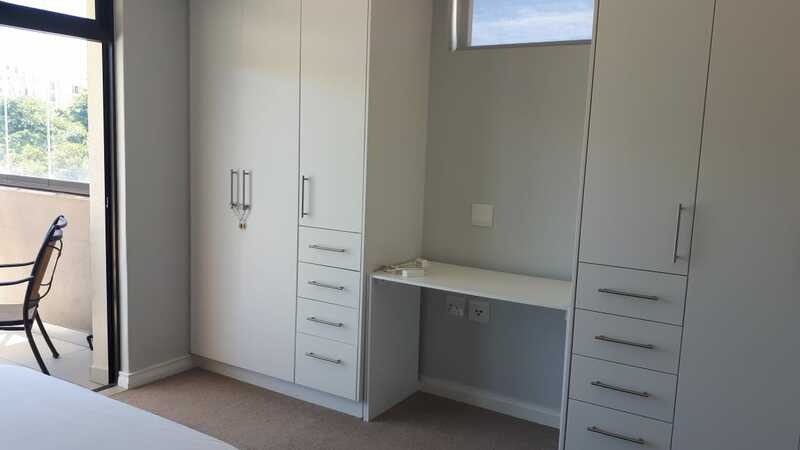 There is a second en-suite bedroom. 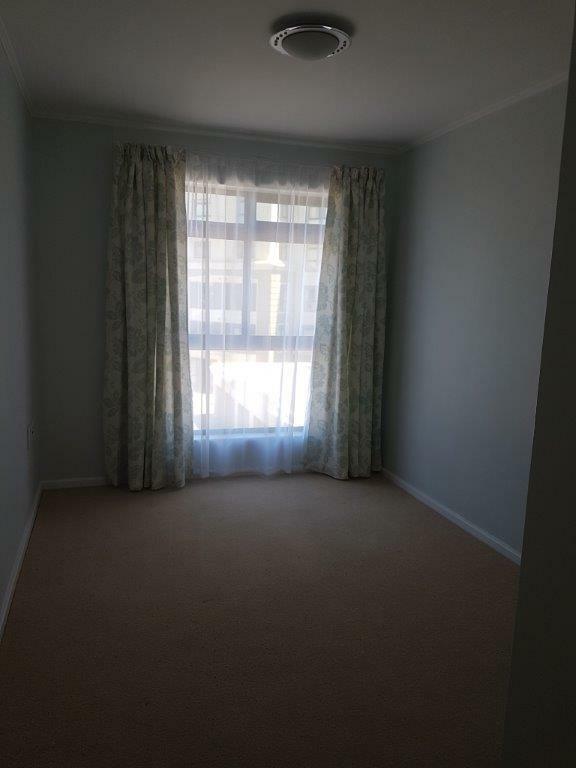 Aircon in the lounge and main bedroom.1 undercover parking and a storeroom. 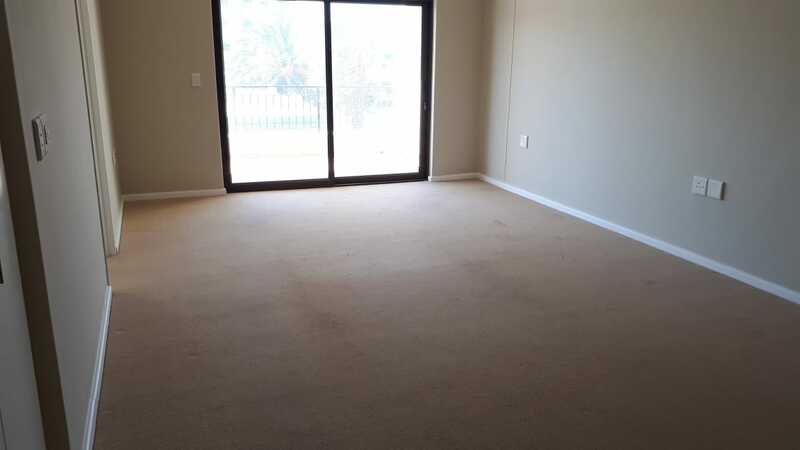 Status: Apartment in very good condition. 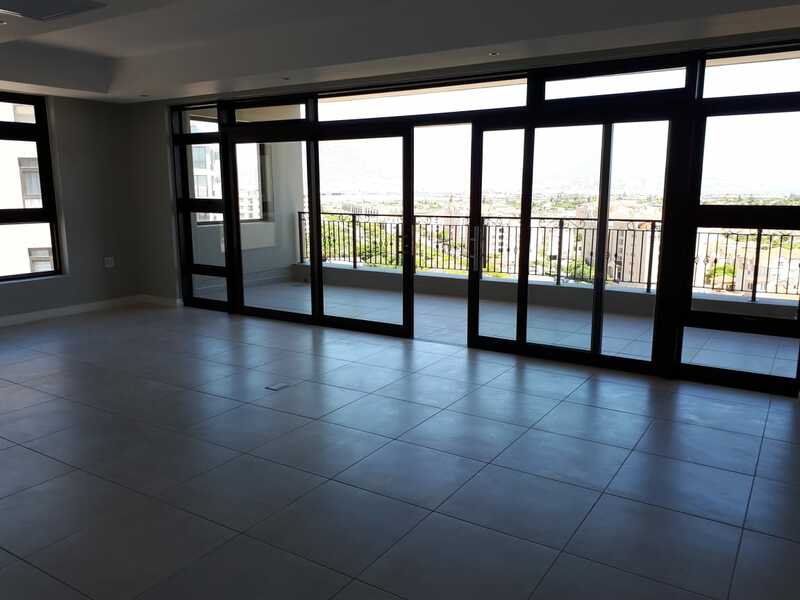 Open plan kitchen, lounge, dining leading to a large North East facing enclosed balcony. 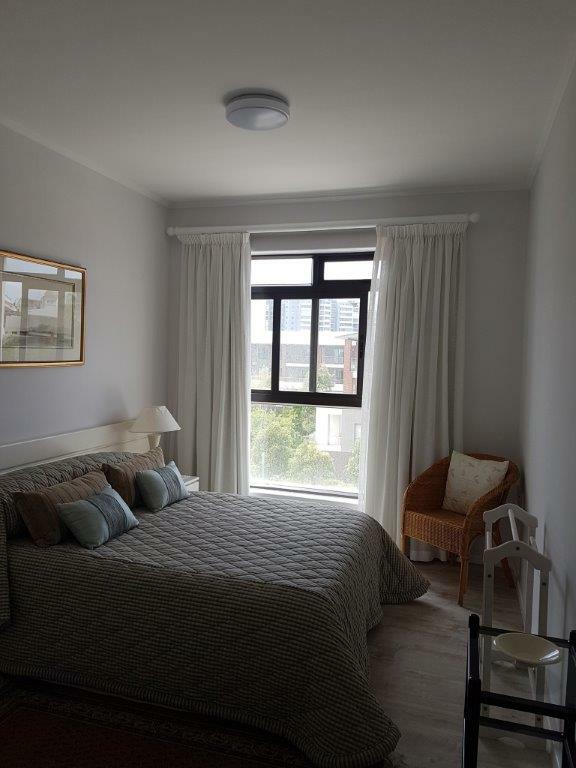 The main bedroom is en-suite and leads to the same balcony. 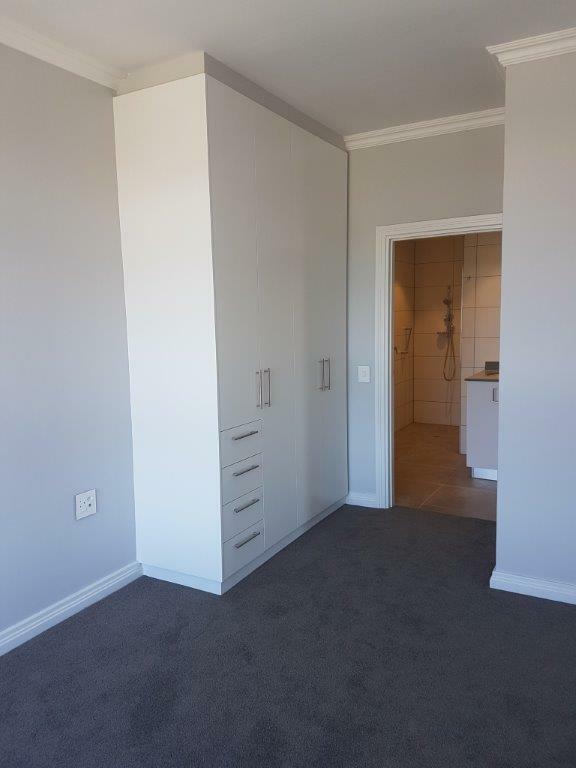 There is a second en-suite bedroom. 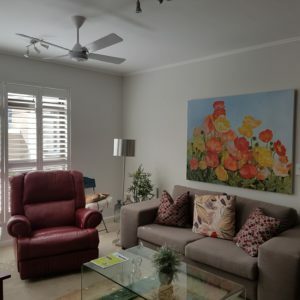 Aircon in the lounge and main bedroom.1 undercover parking and a storeroom. 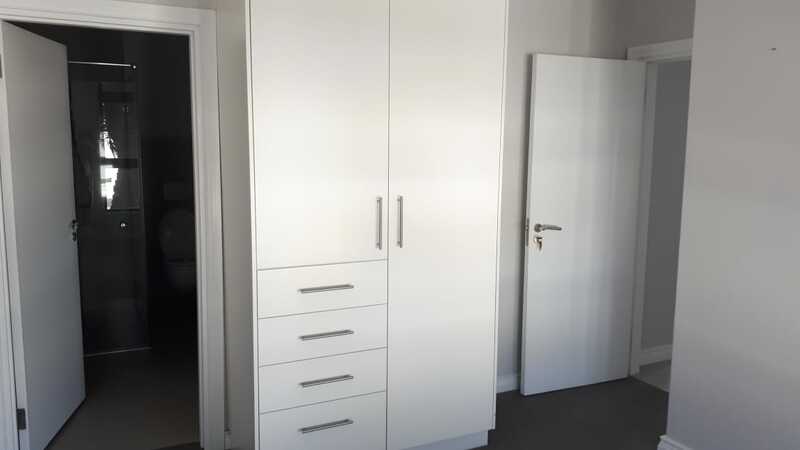 Status: Quality finishes throughout. 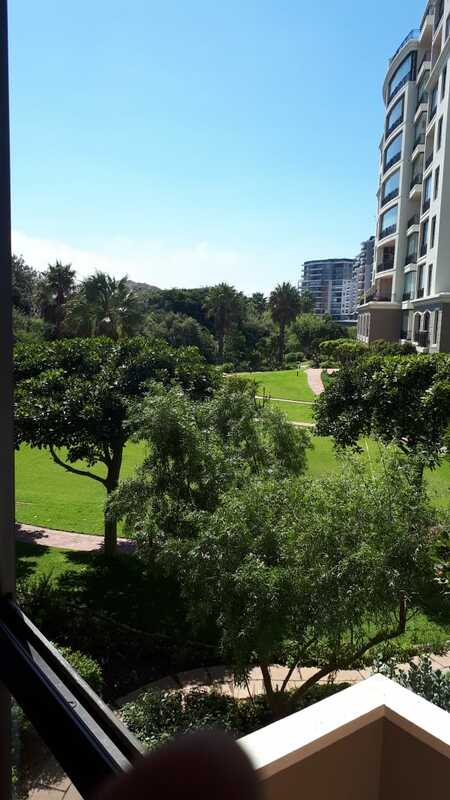 Sunny North East facing. 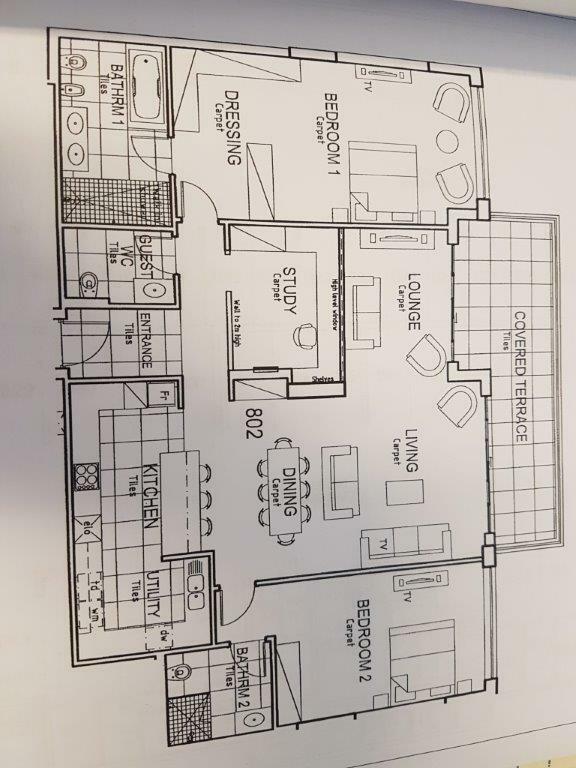 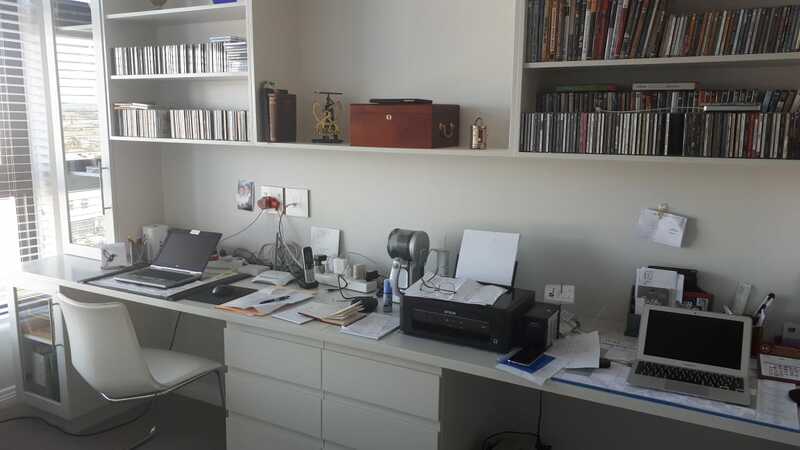 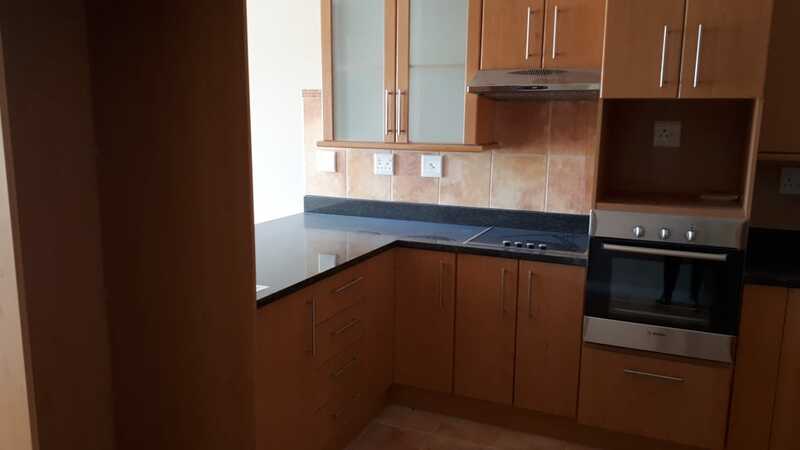 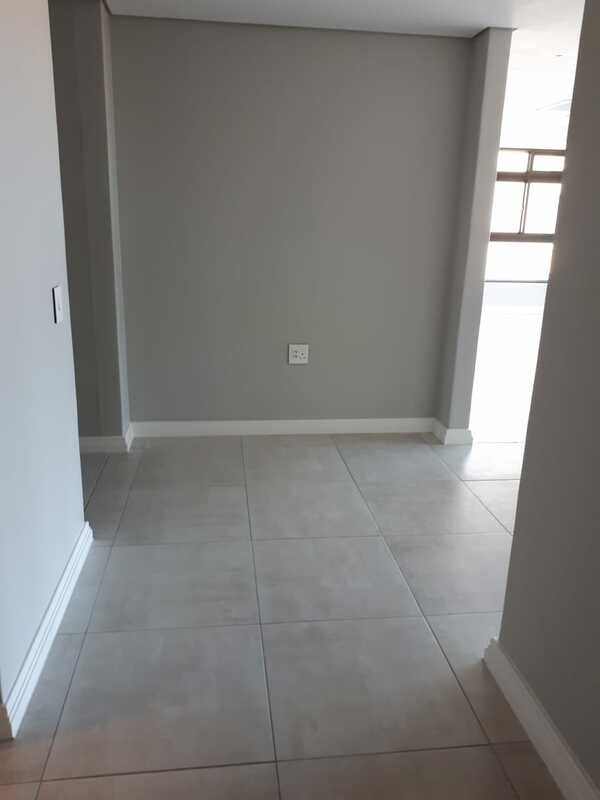 503 R22 000/pm 2 Immediate Unfurnished. 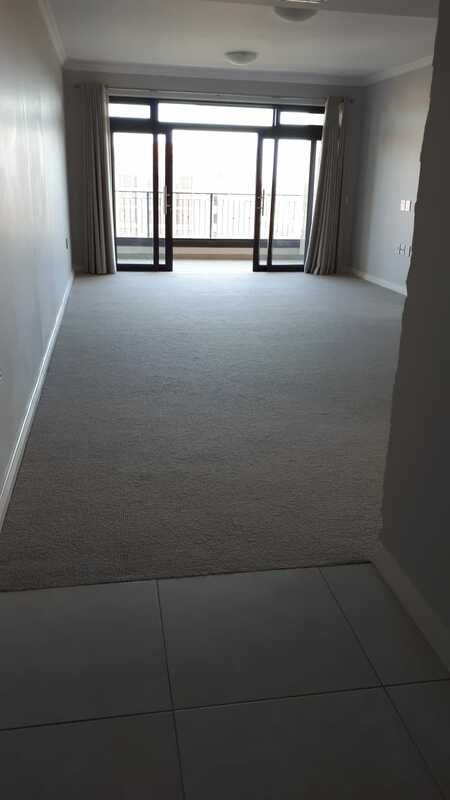 Large, light and spacious. 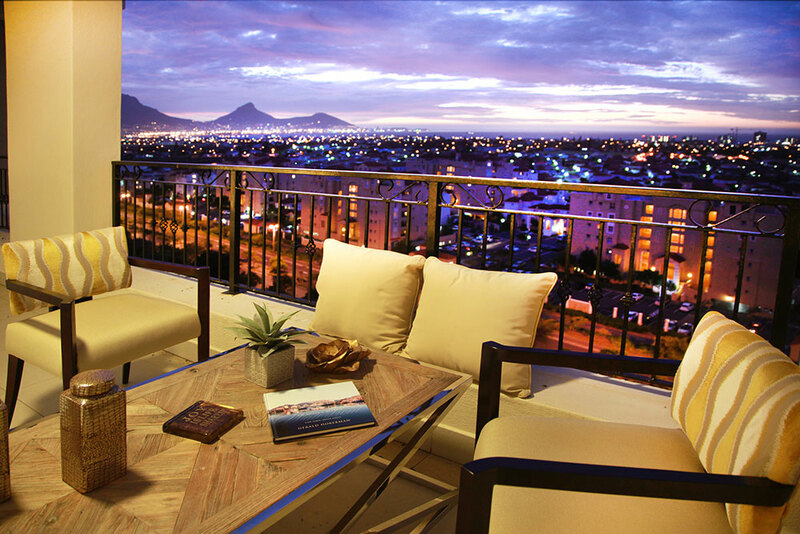 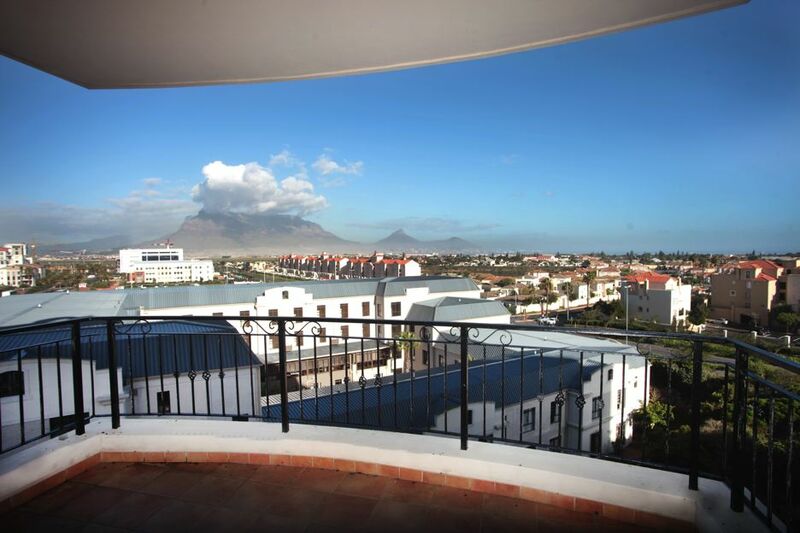 Enclosed terrace area with outstanding Table Mountain views. 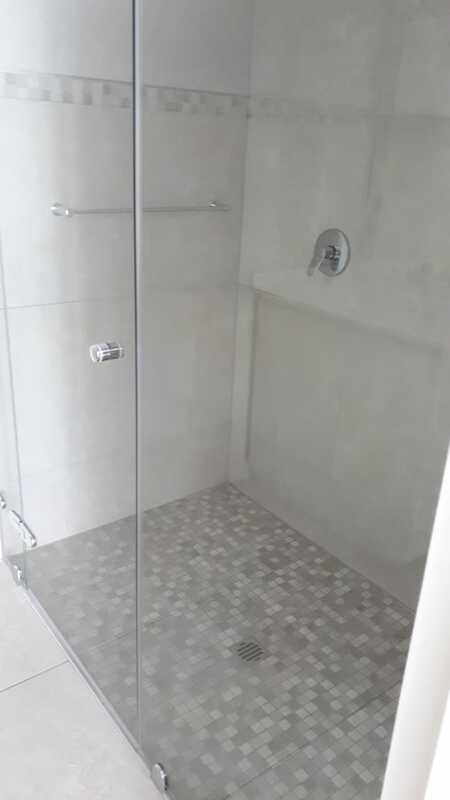 High quality finishes. 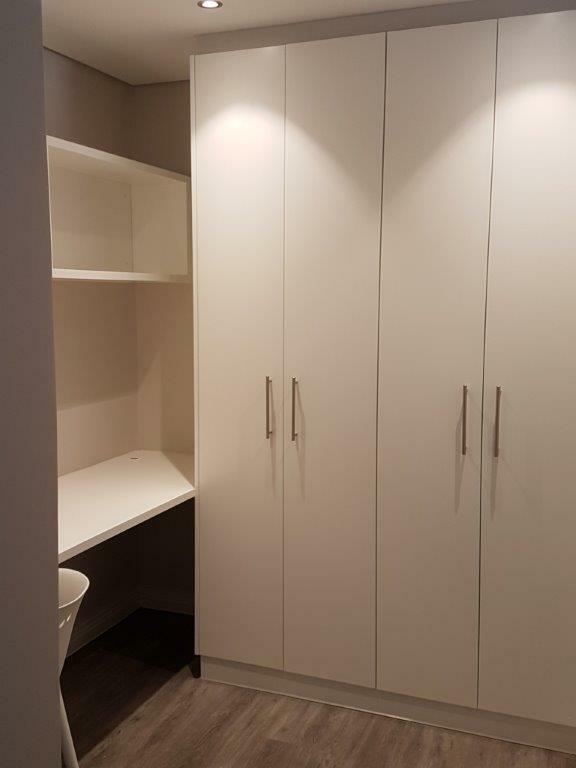 Separate utility room. 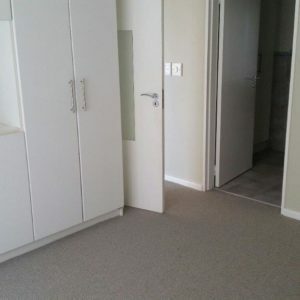 2 parking bays. 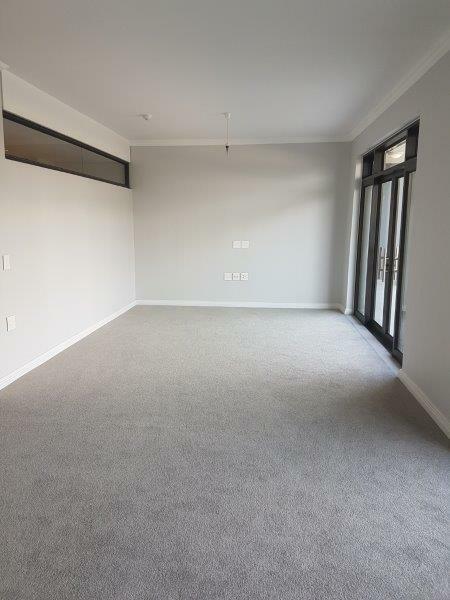 Status: Unfurnished. 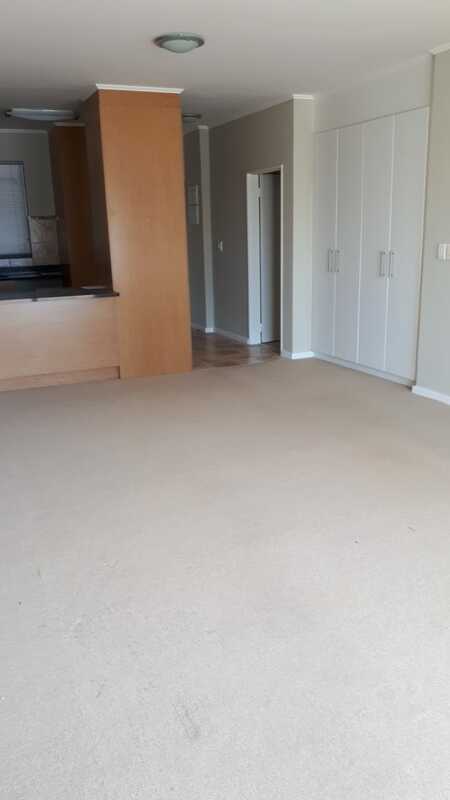 Large, light and spacious. 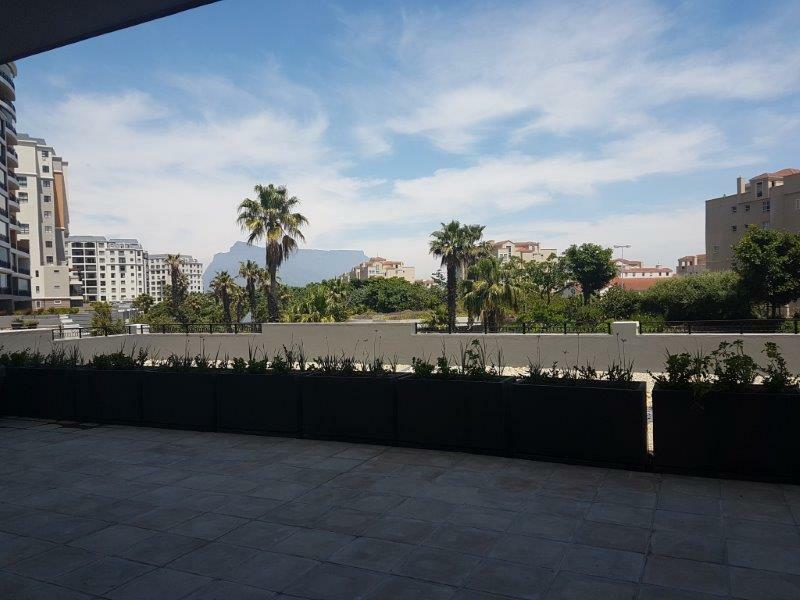 Enclosed terrace area with outstanding Table Mountain views. 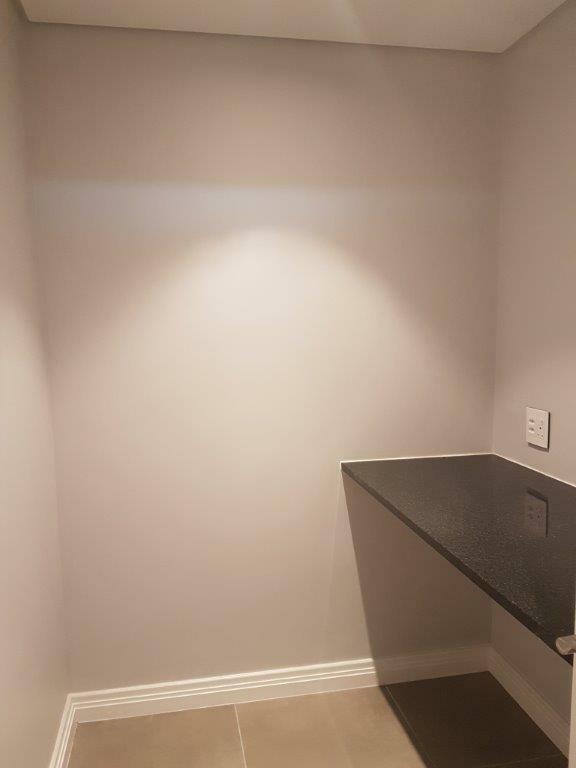 High quality finishes. 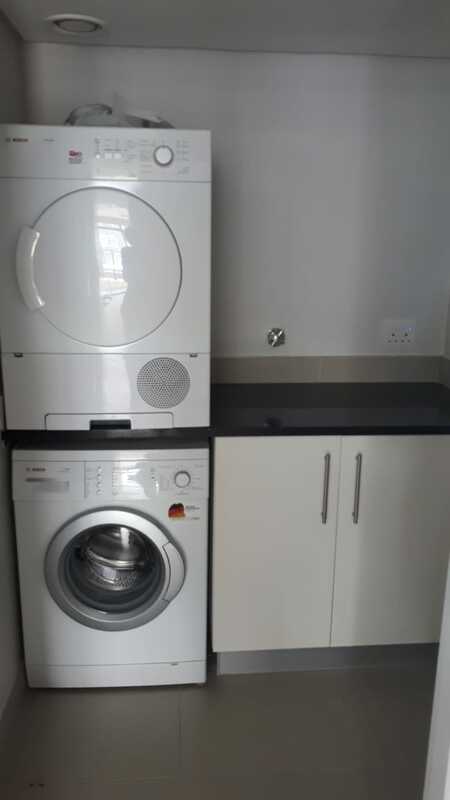 Separate utility room. 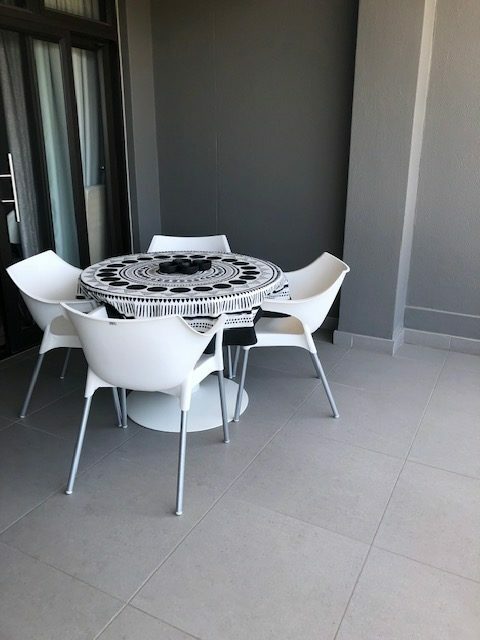 2 parking bays. 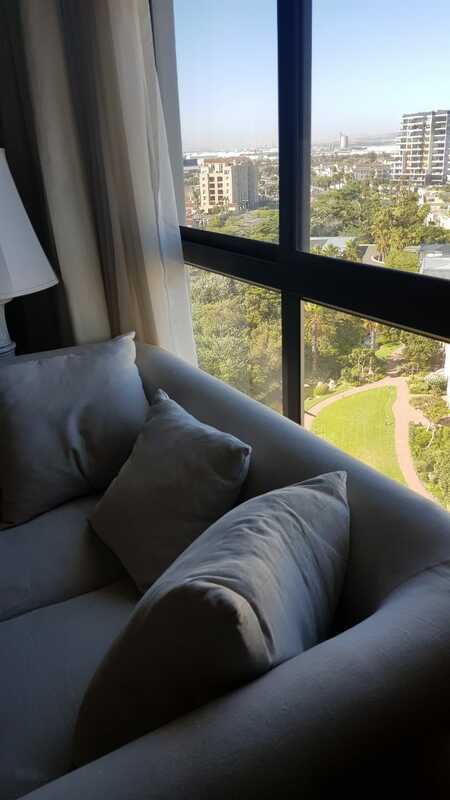 Status: Exceptional views from all rooms. 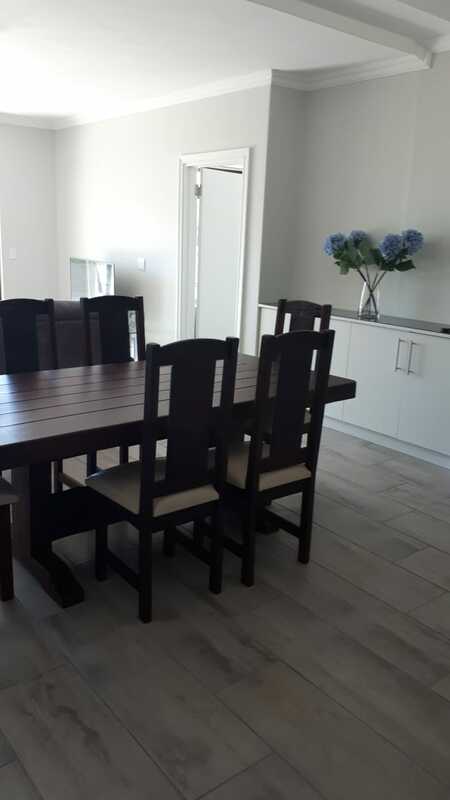 Spacious lounge dining open plan kitchen leads to a large covered terrace. 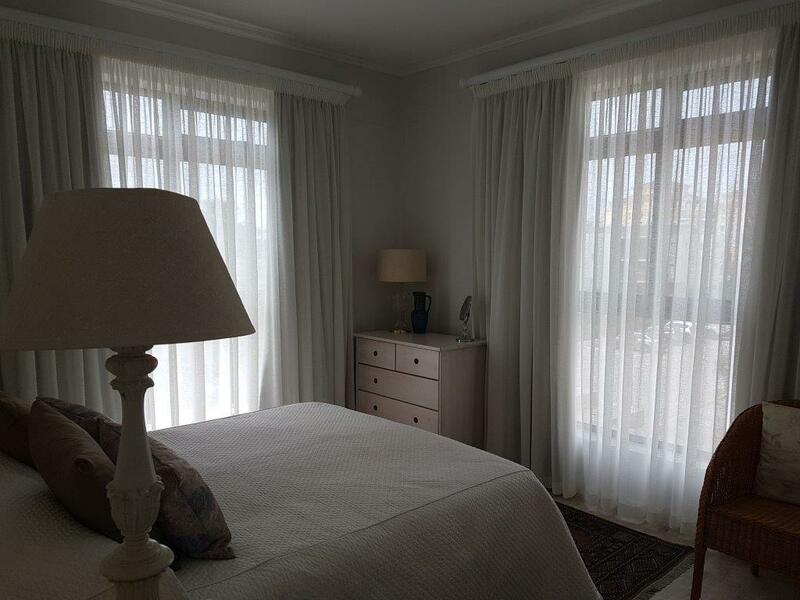 Three en-suite bedrooms with two opening onto a north facing covered terrace. 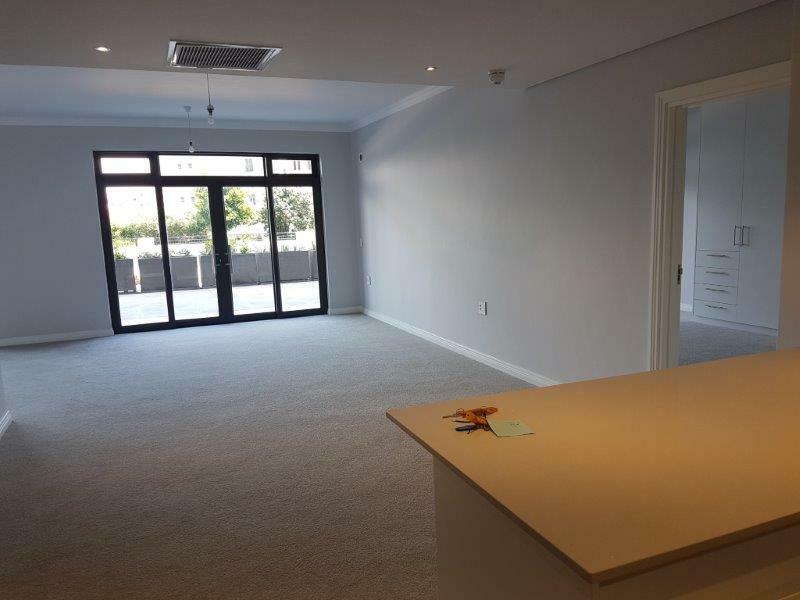 Aircon in lounge and main bedroom. 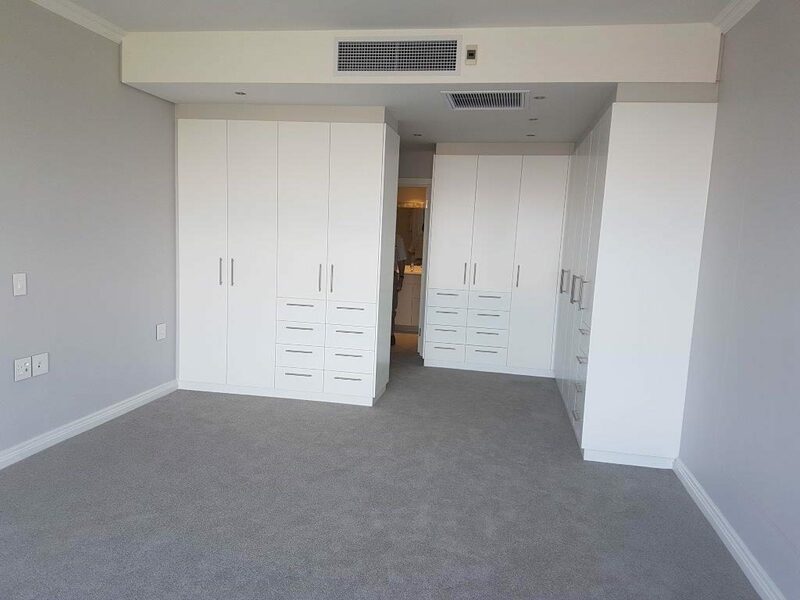 Guest cloakroom 2 undercover bays and a store. 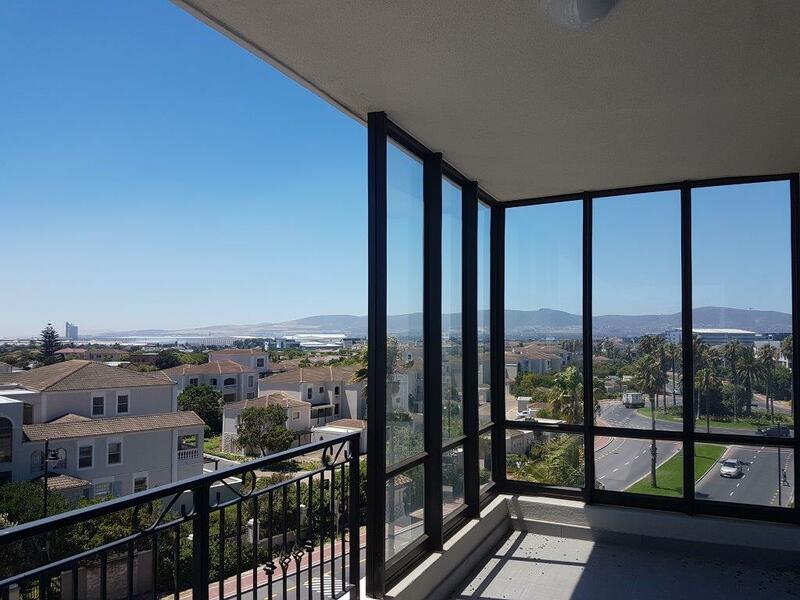 Status: Brand new North facing. 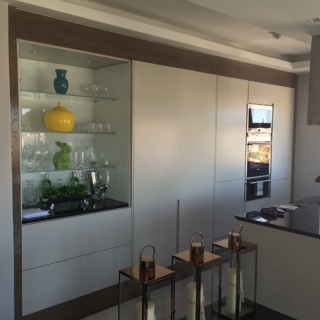 Open plan kitchen, lounge dining areas opening to a large covered terrace. 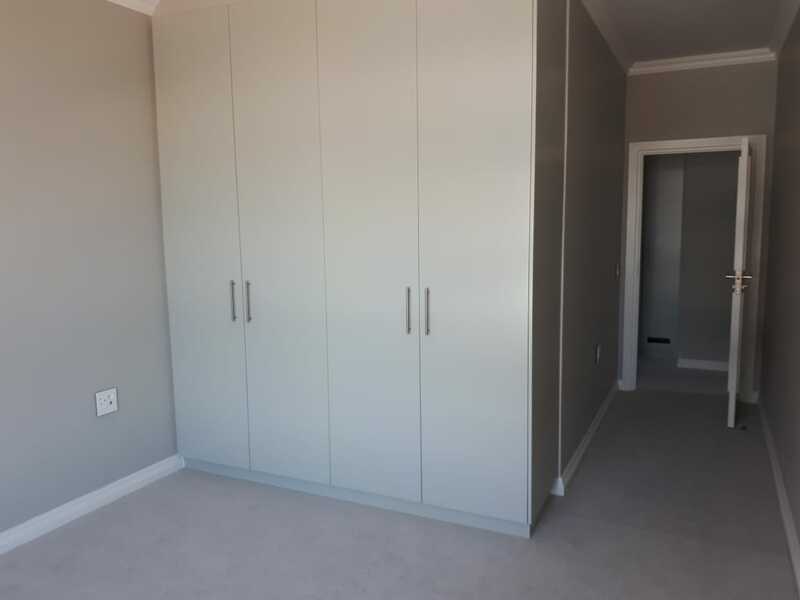 Two en-suite bedrooms. 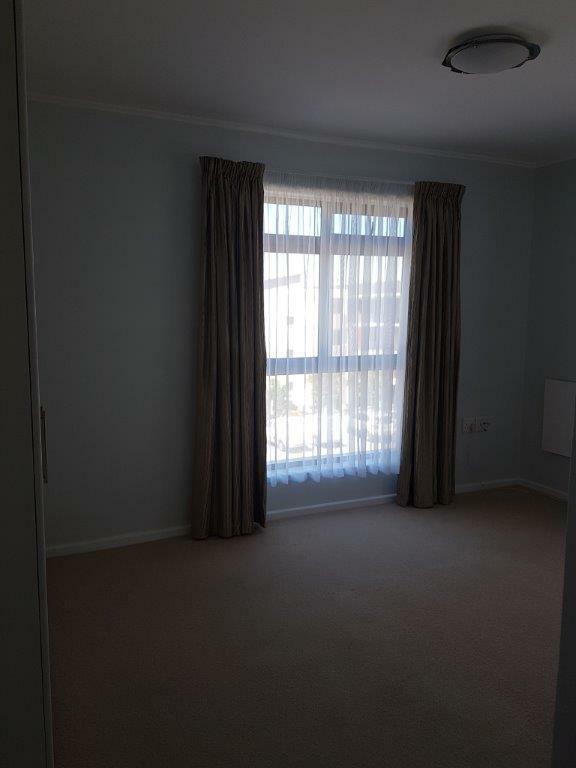 Aircon in lounge and main bedroom. 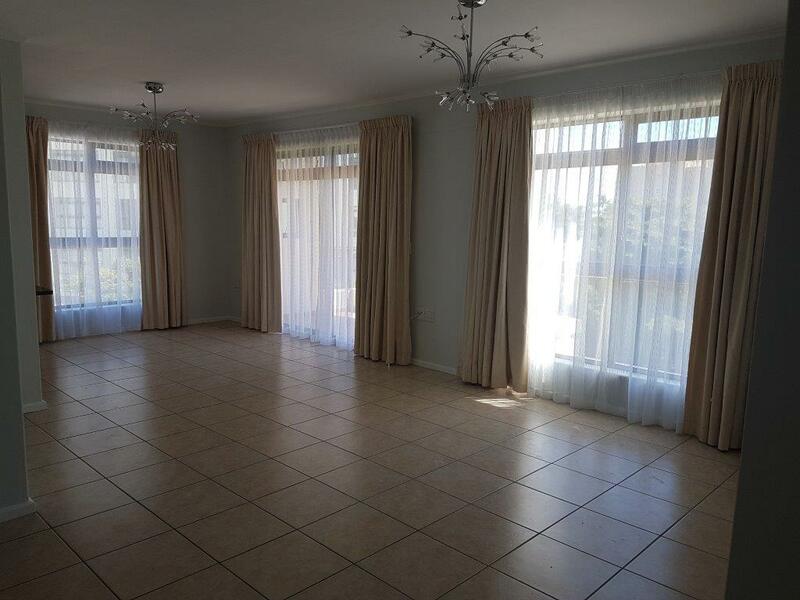 2 parking bays. 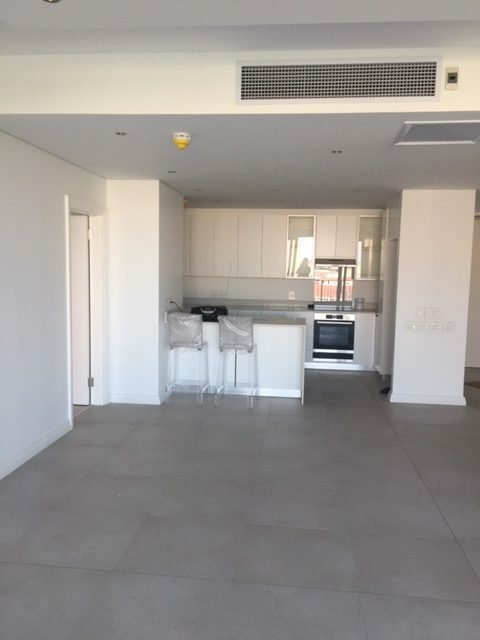 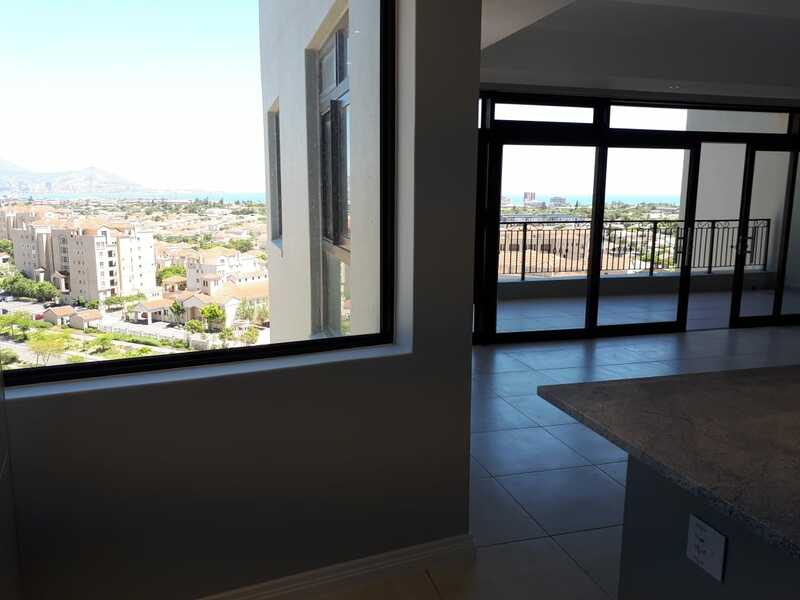 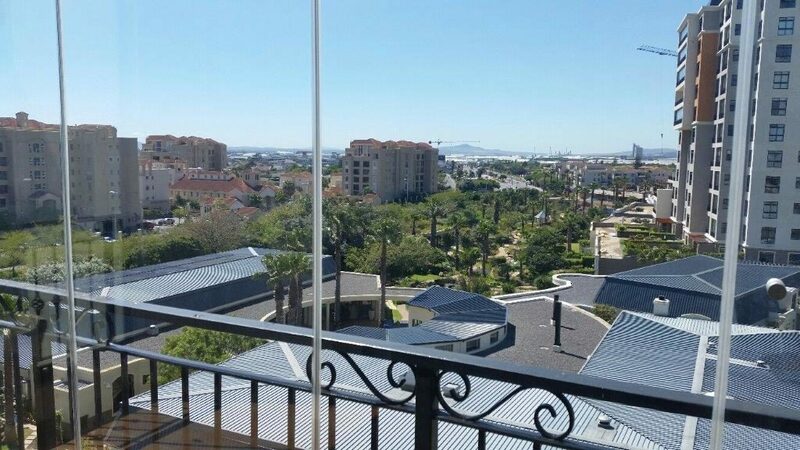 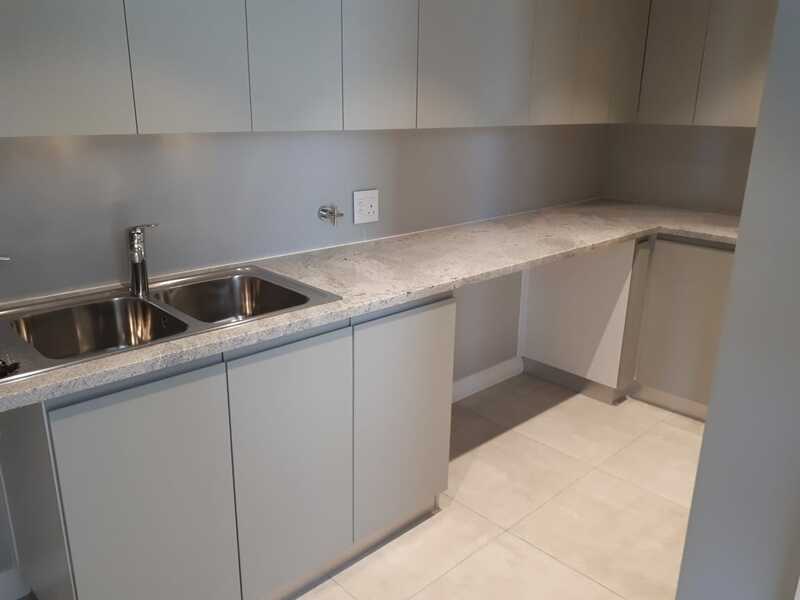 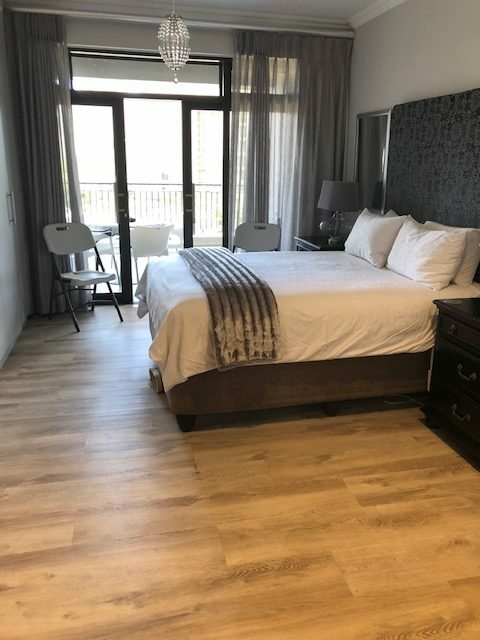 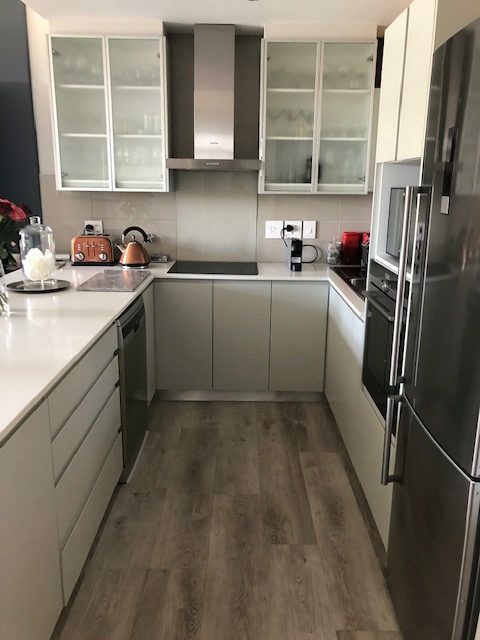 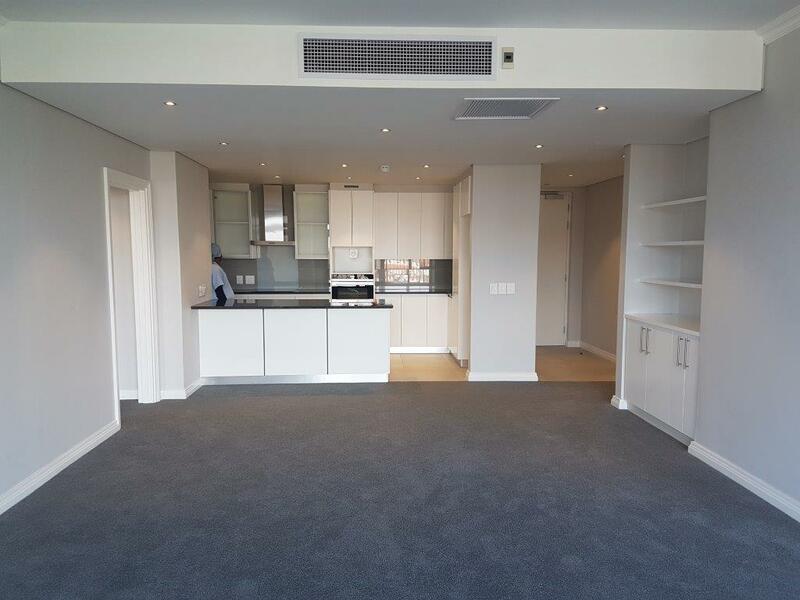 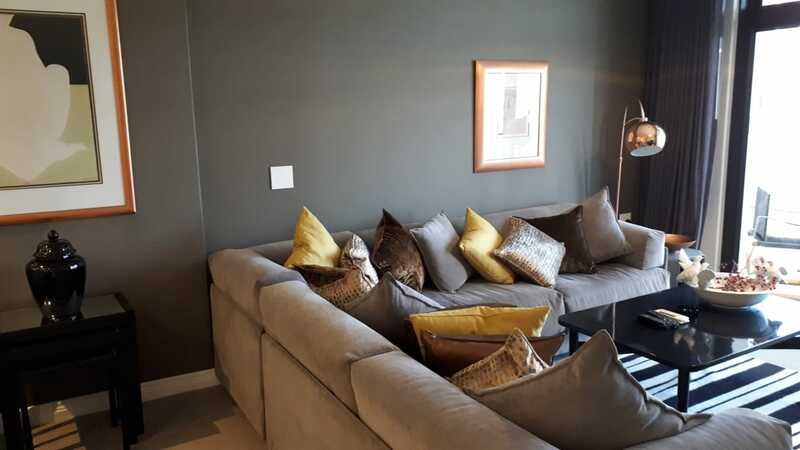 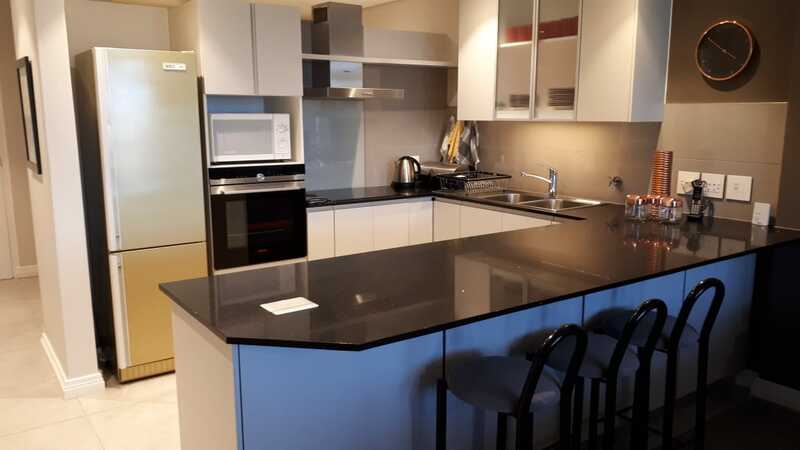 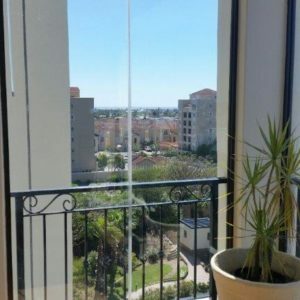 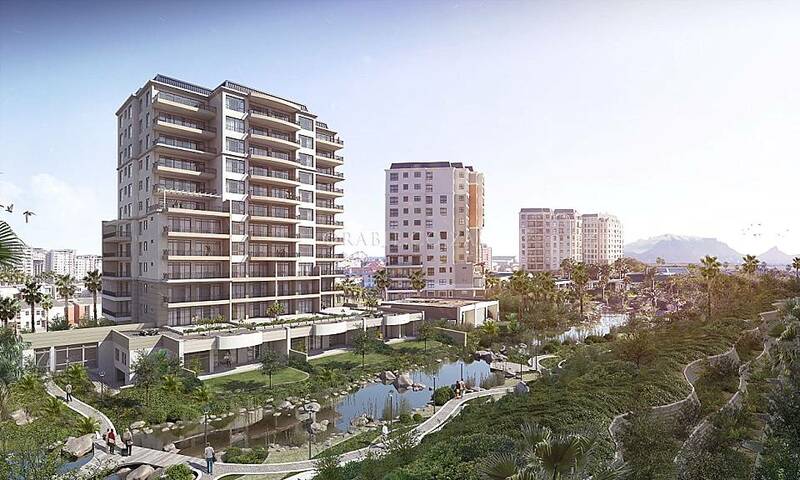 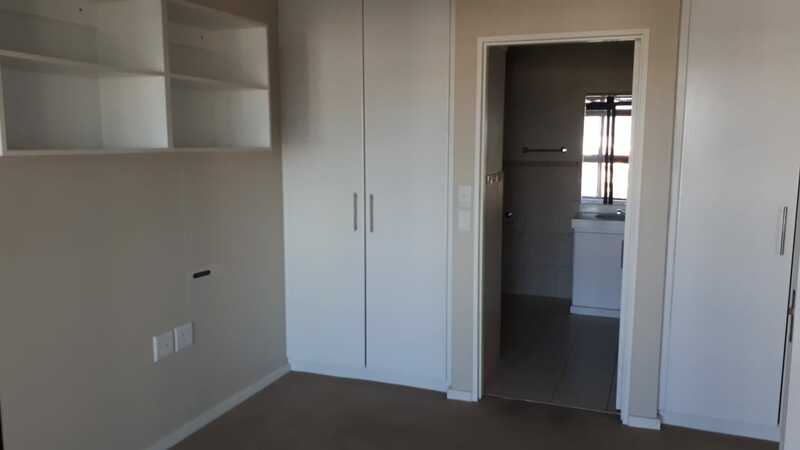 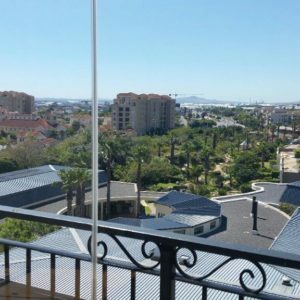 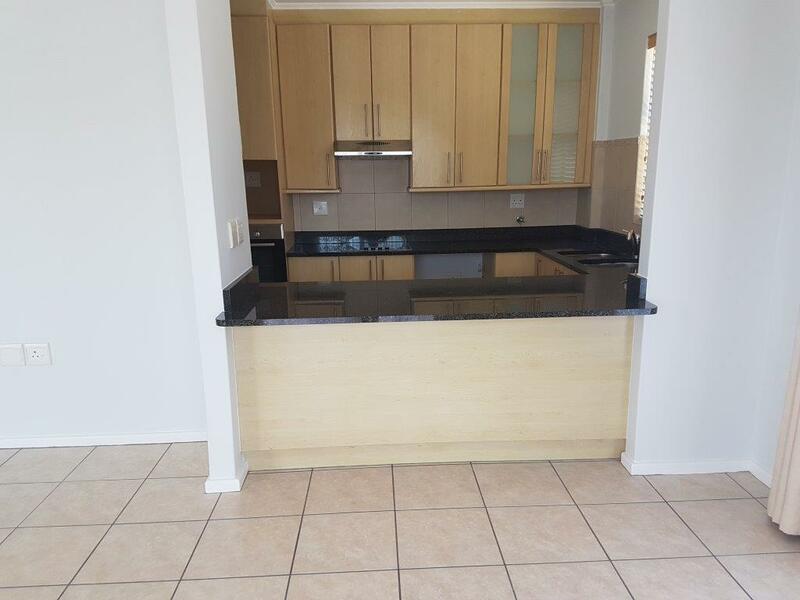 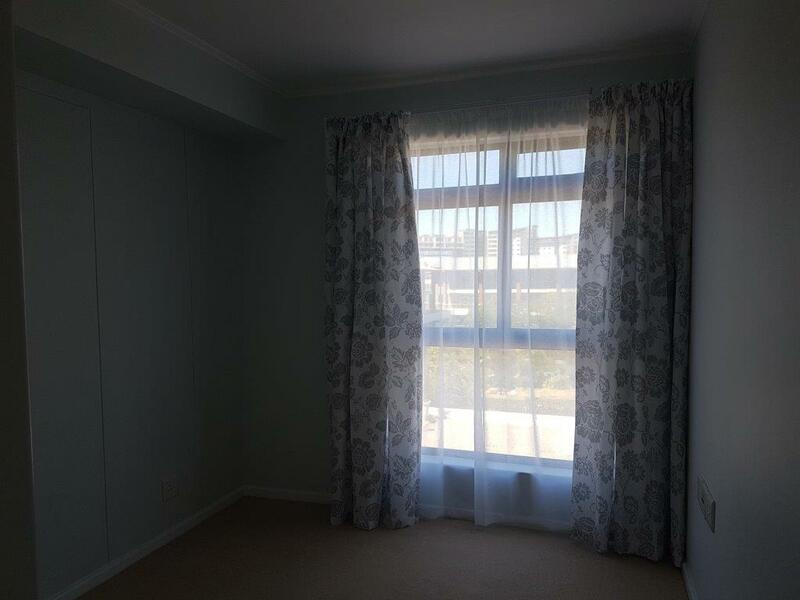 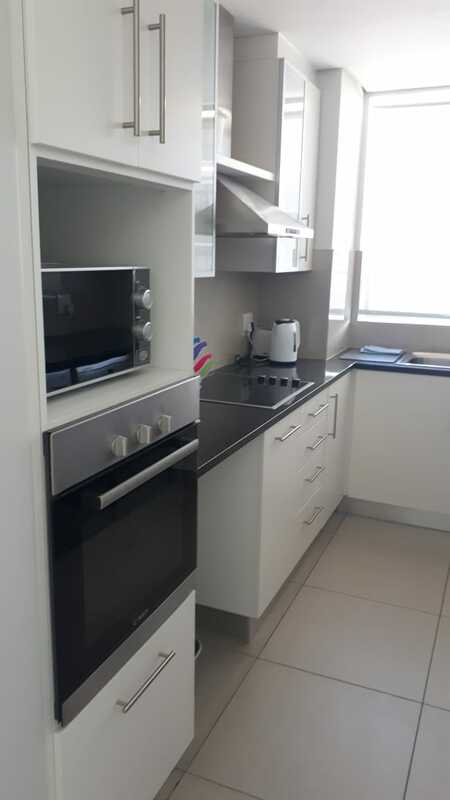 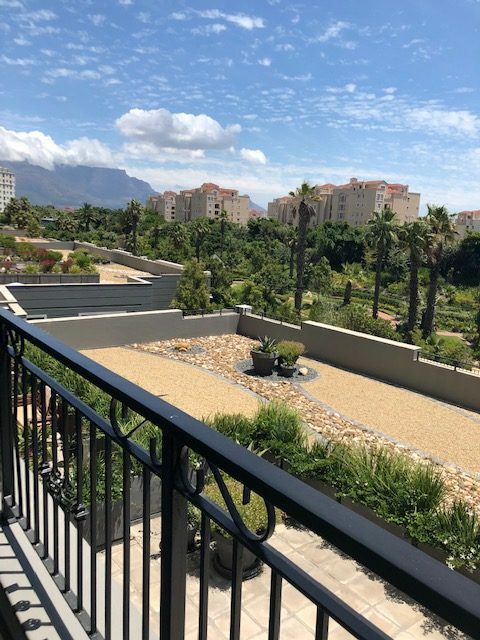 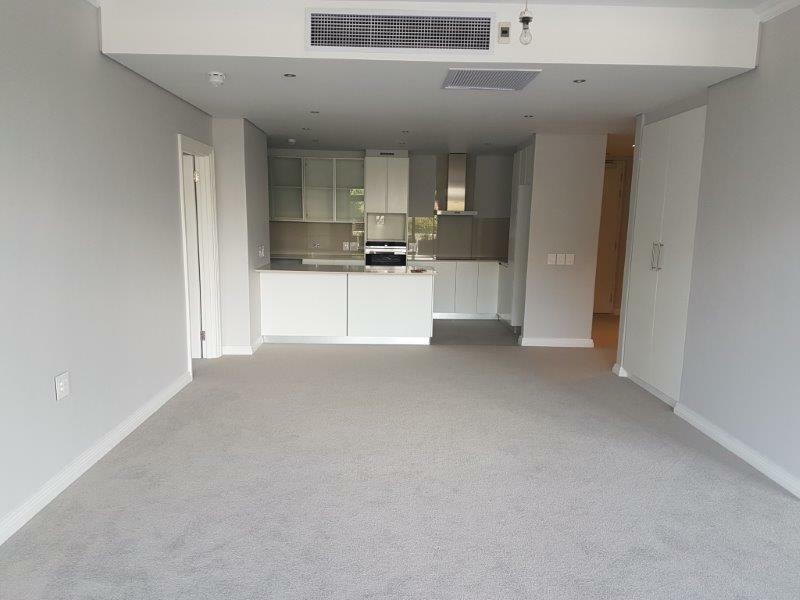 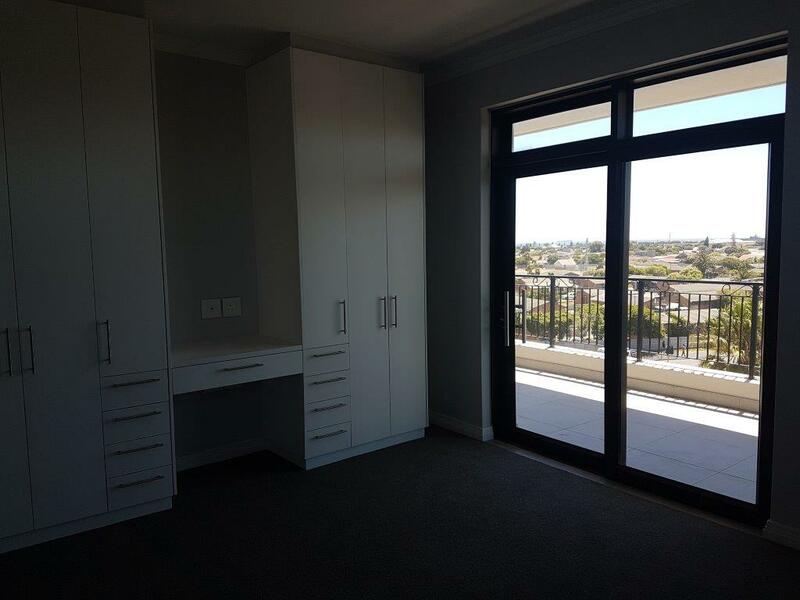 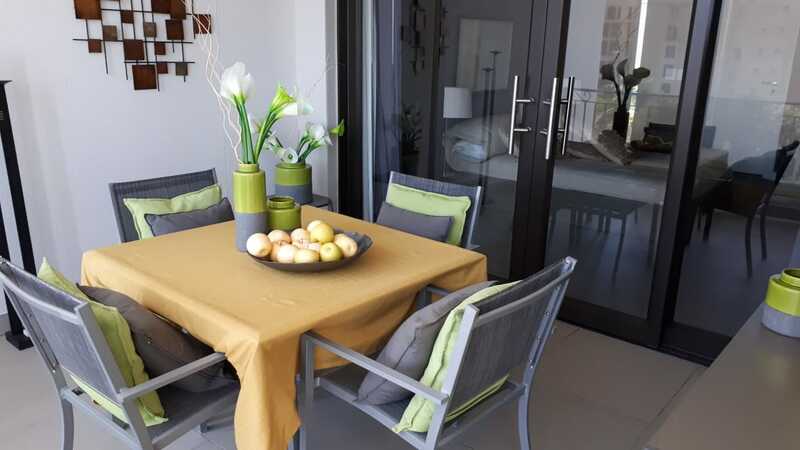 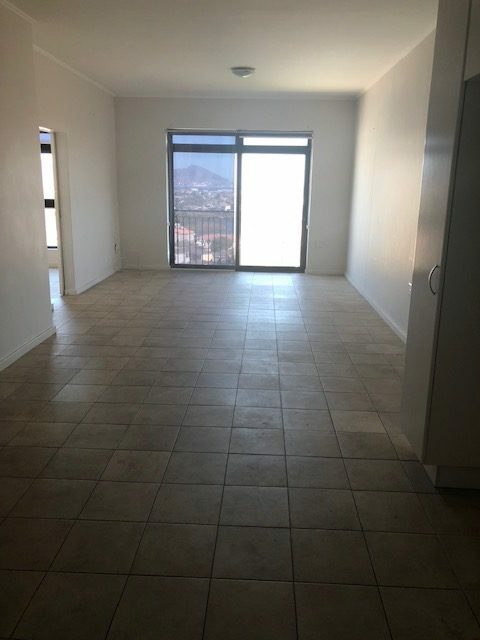 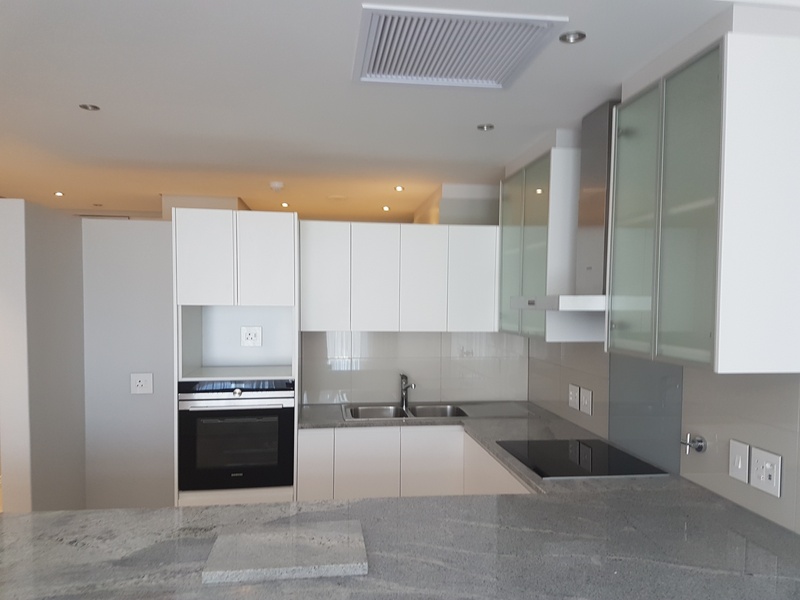 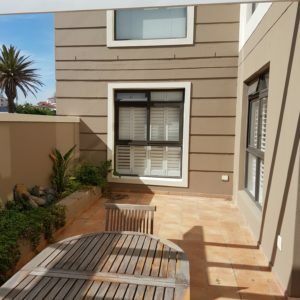 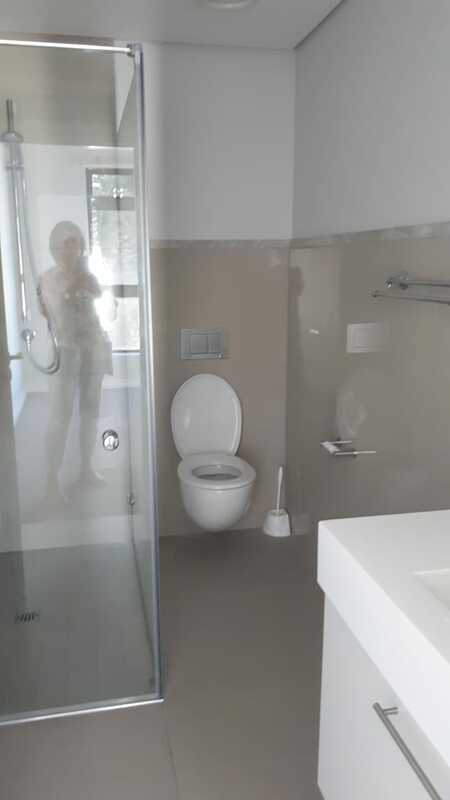 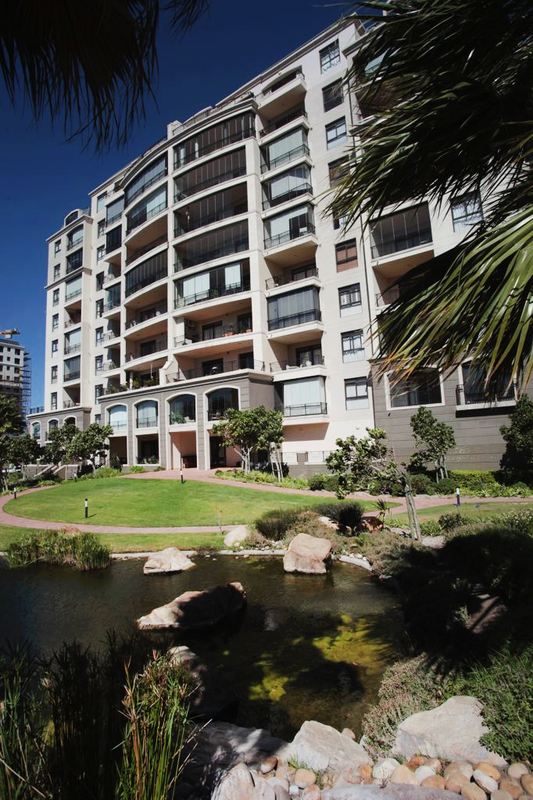 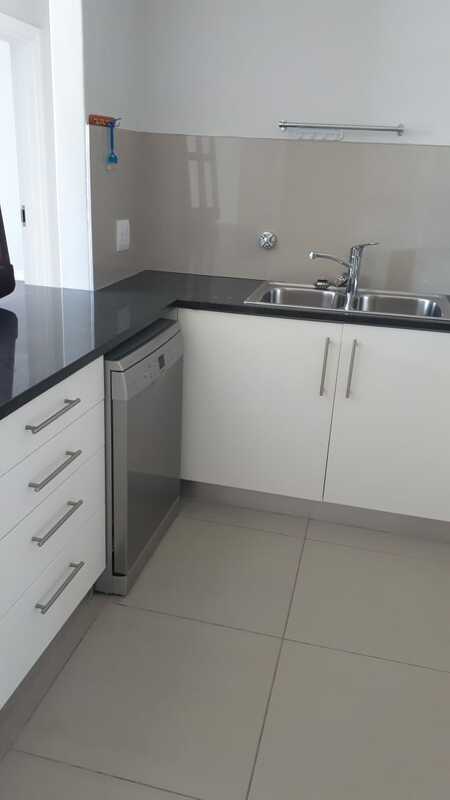 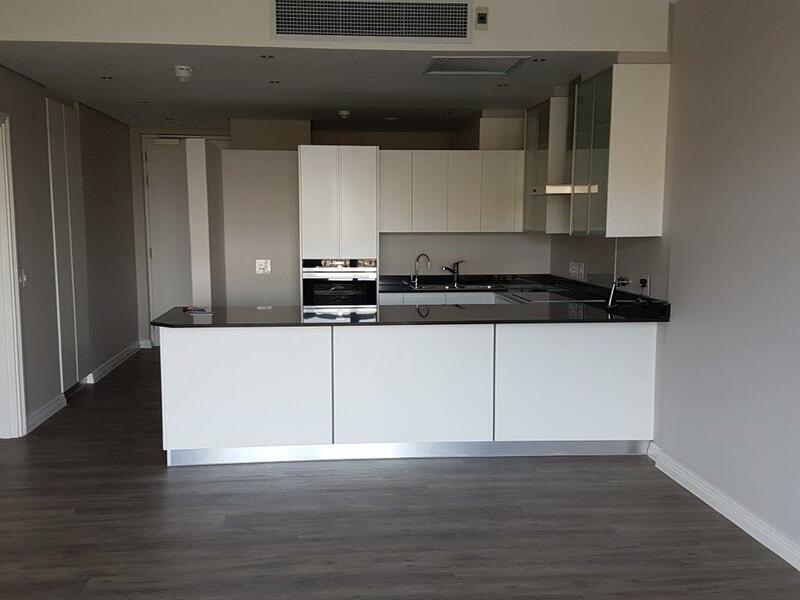 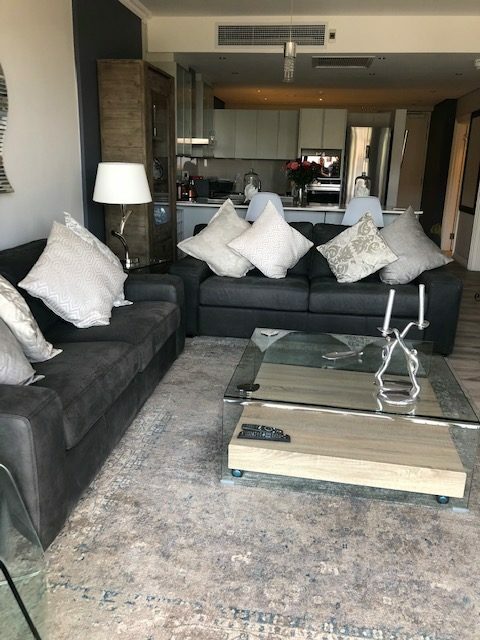 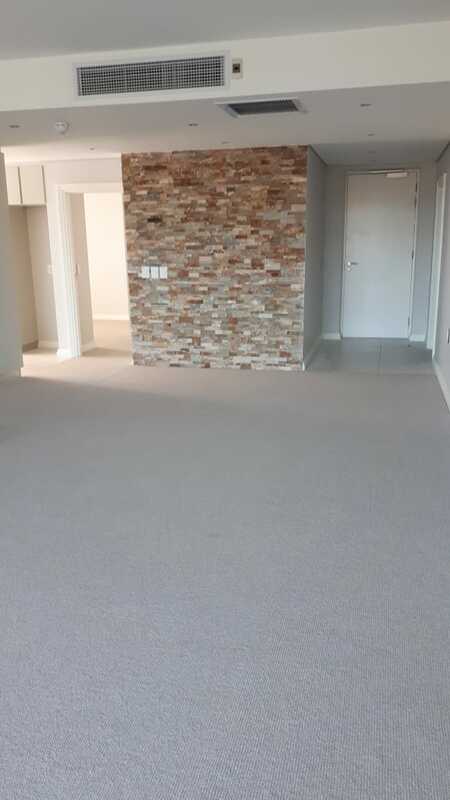 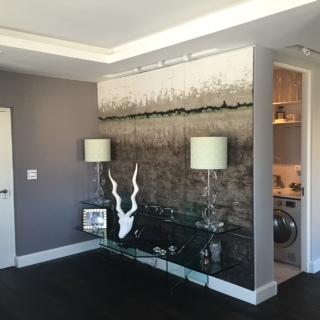 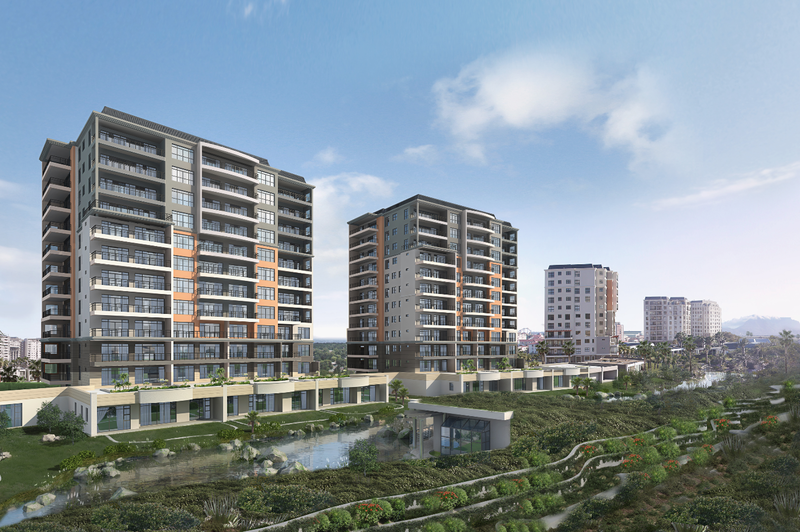 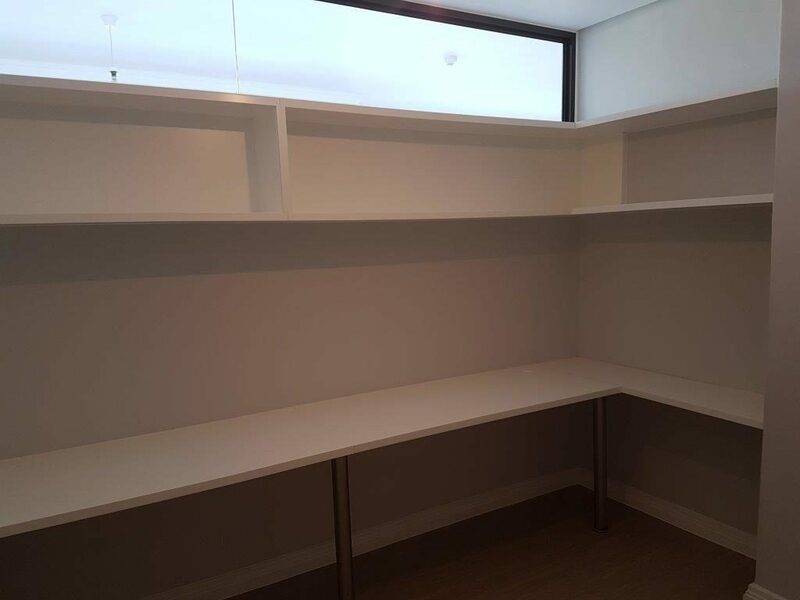 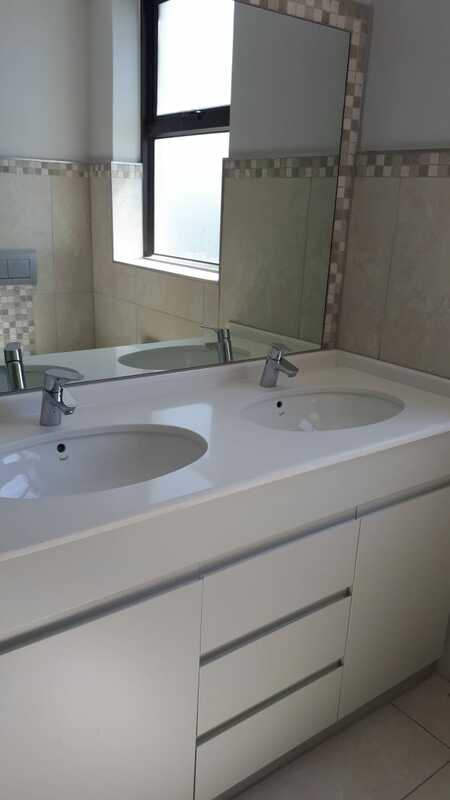 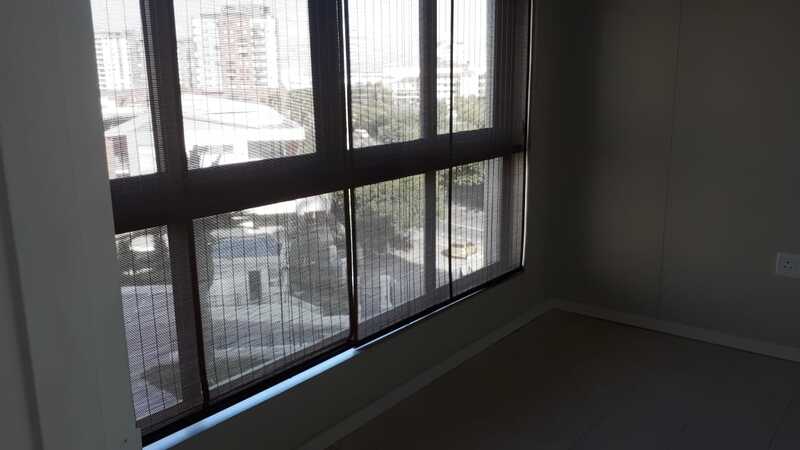 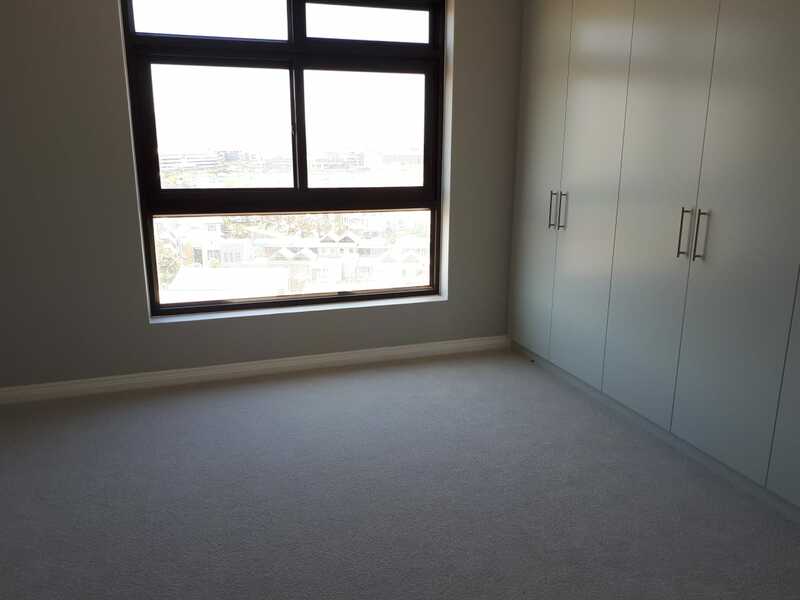 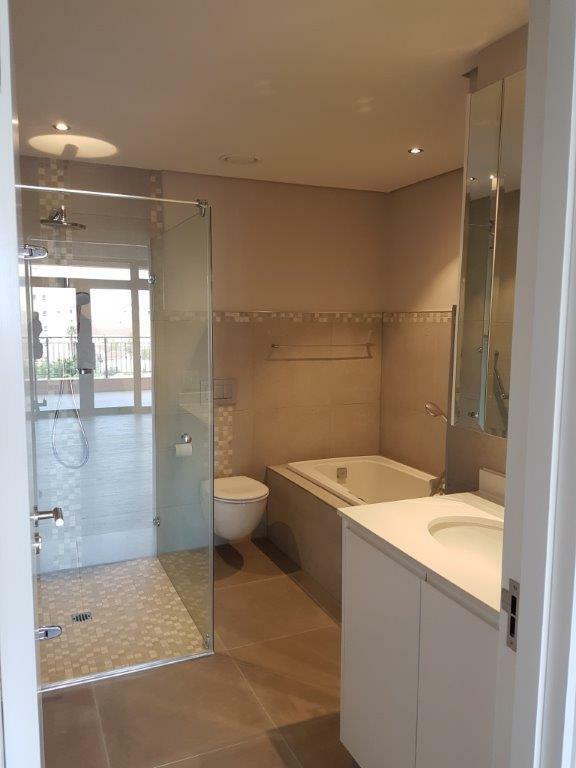 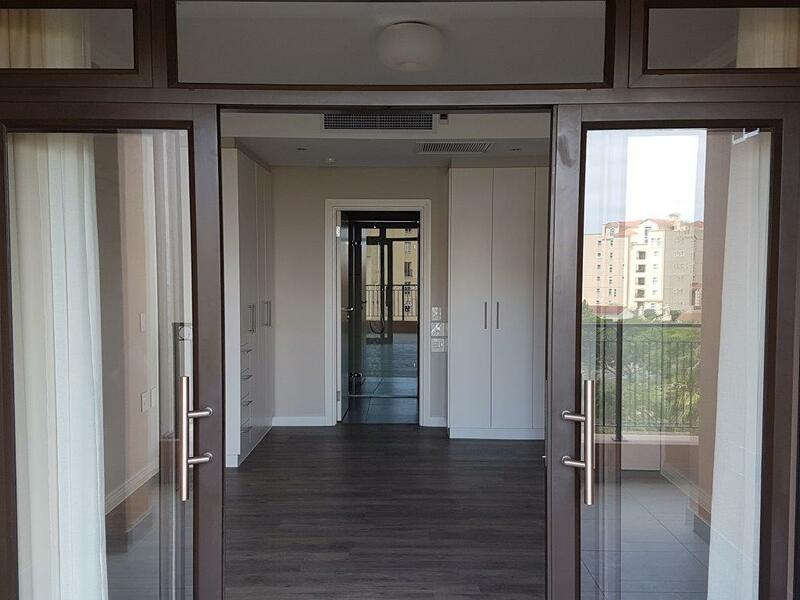 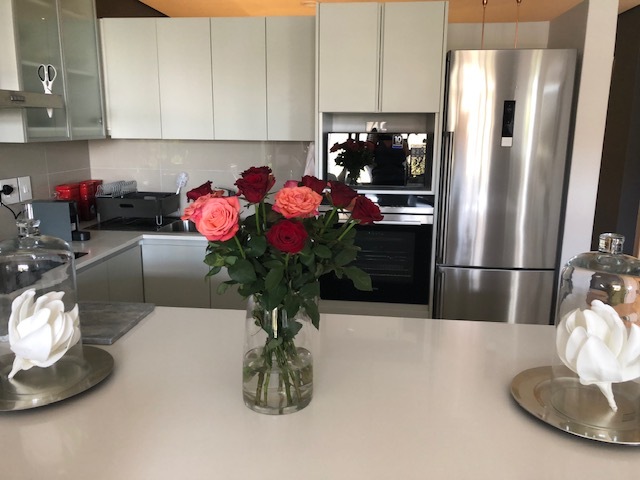 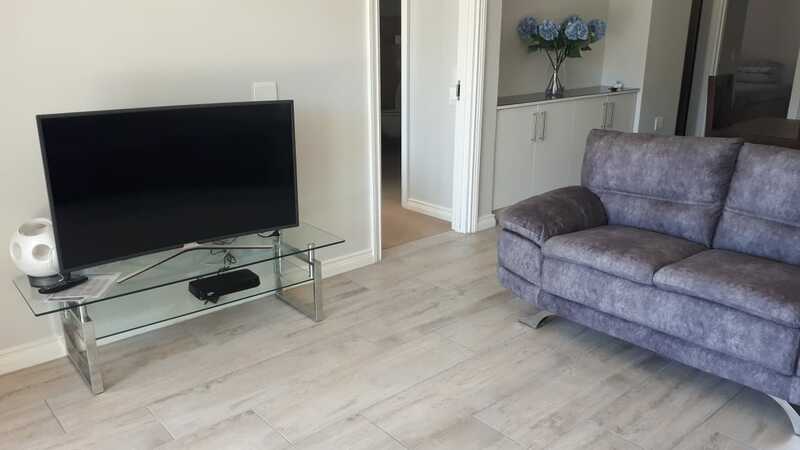 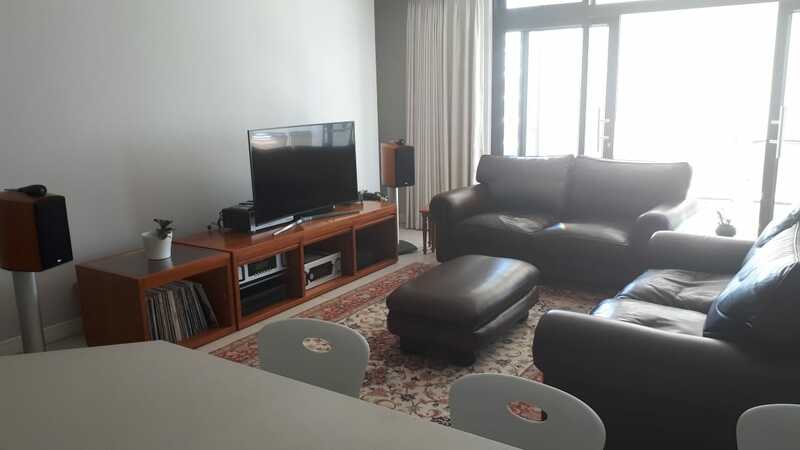 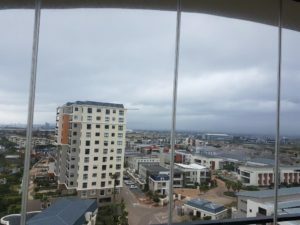 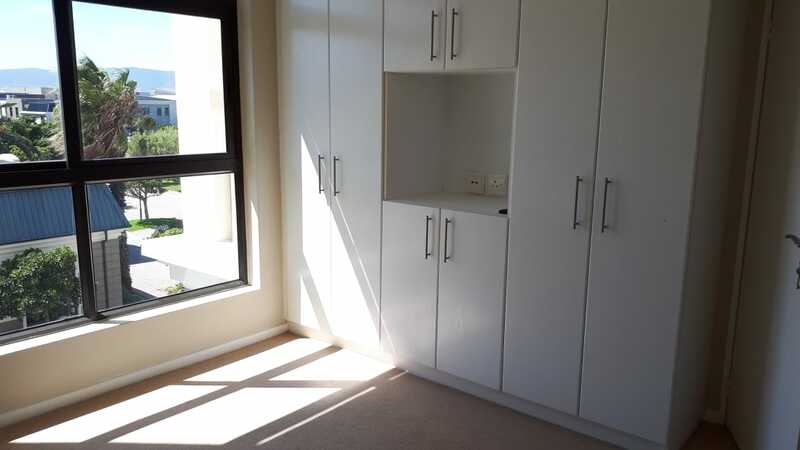 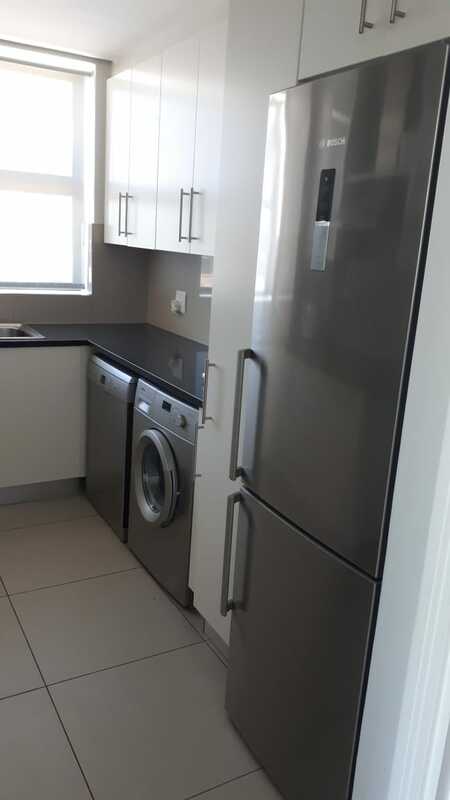 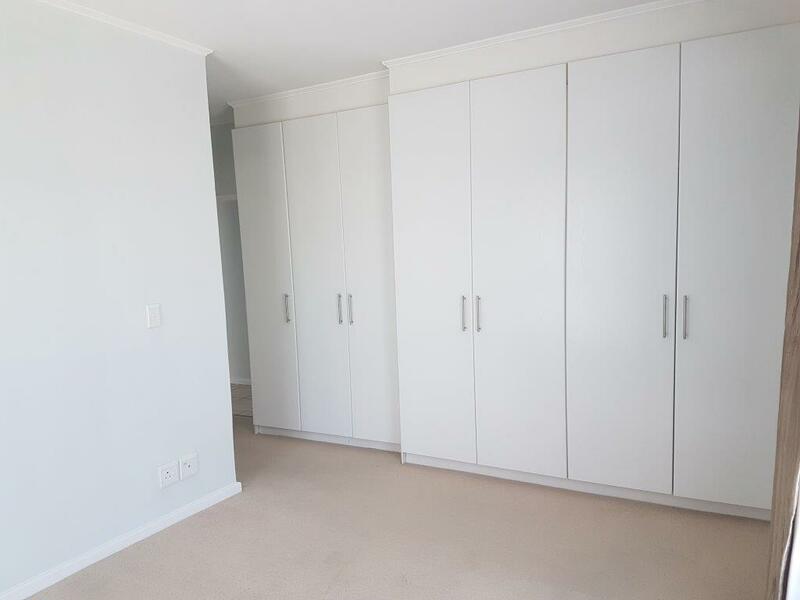 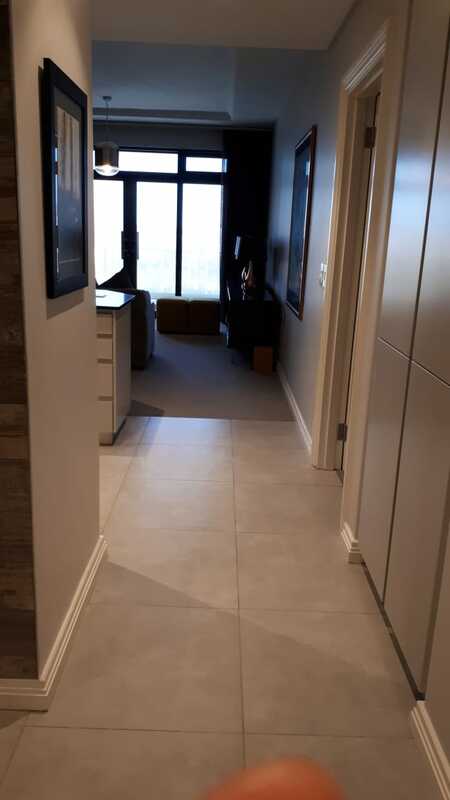 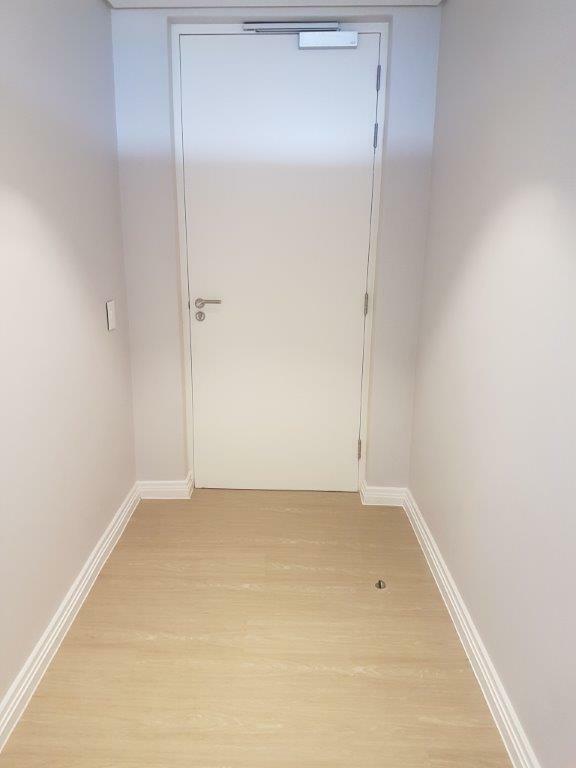 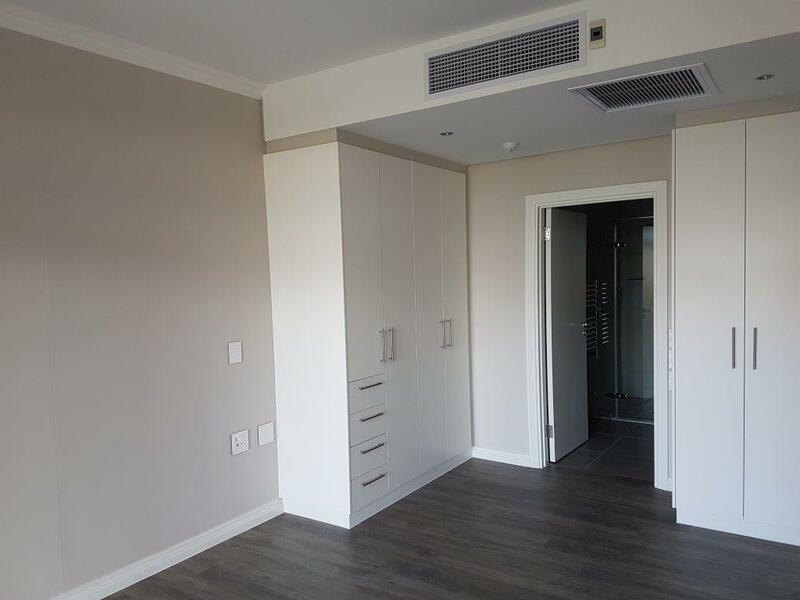 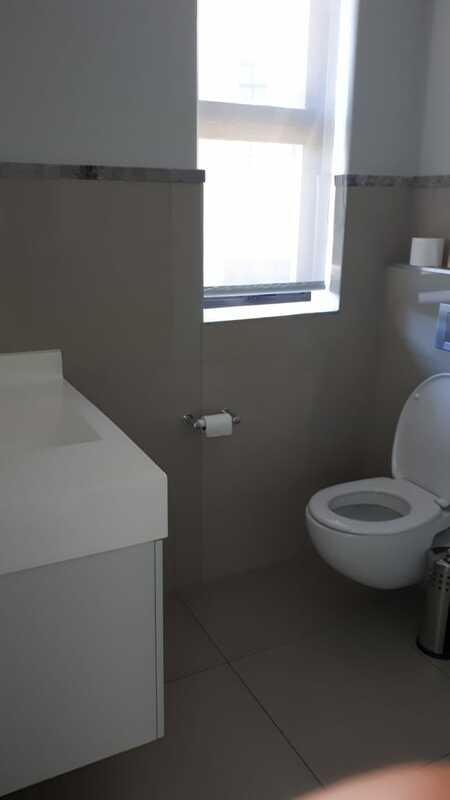 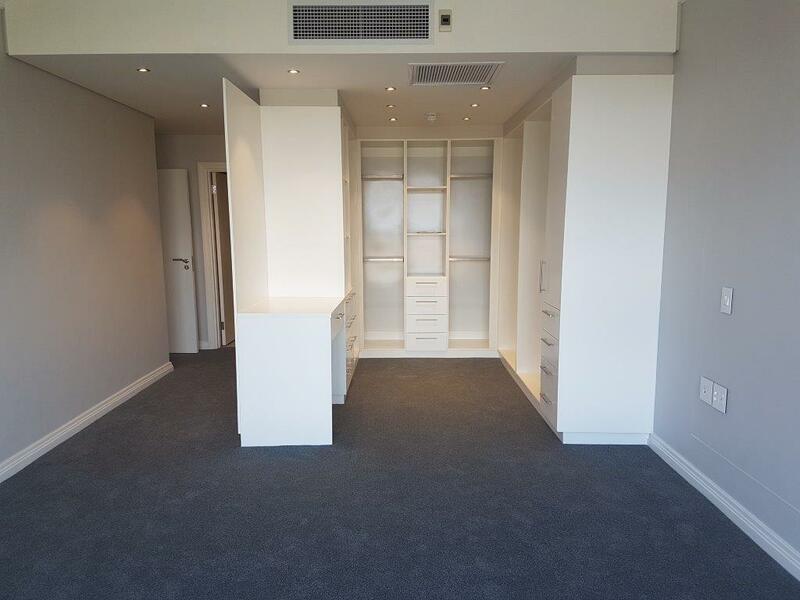 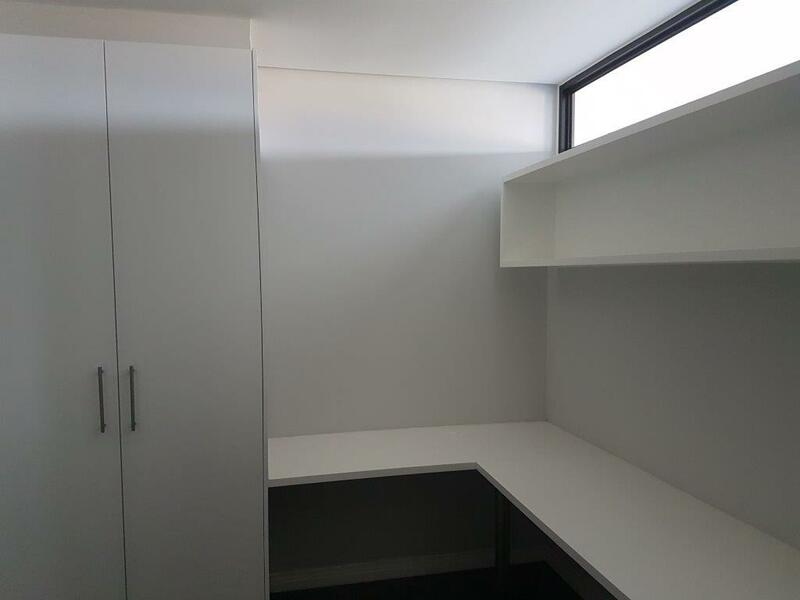 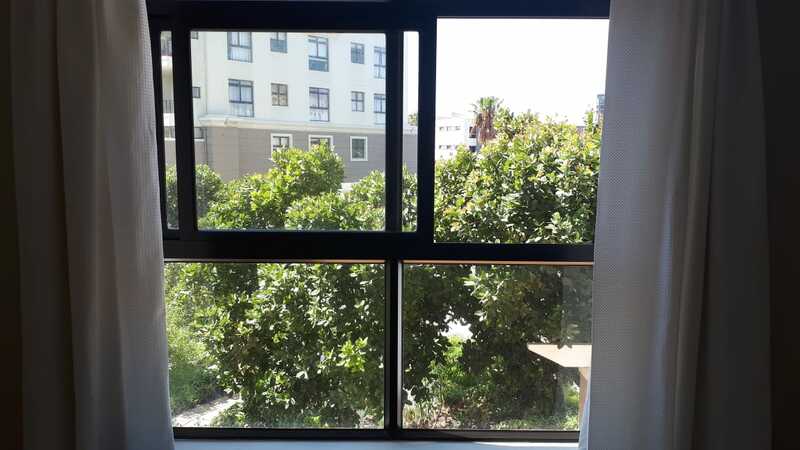 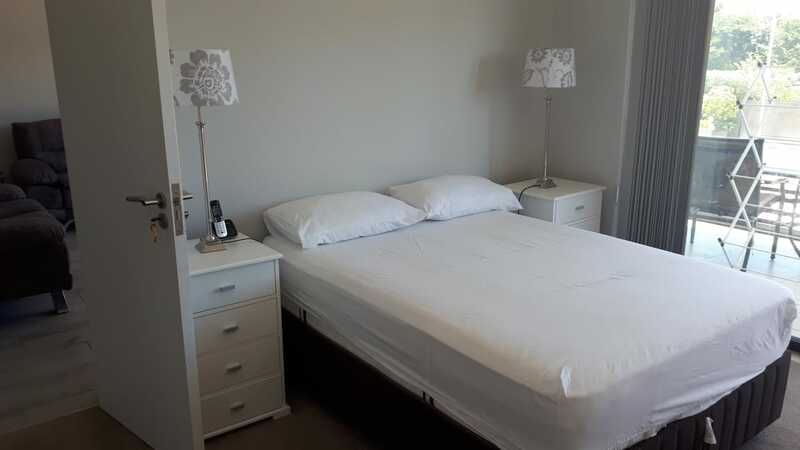 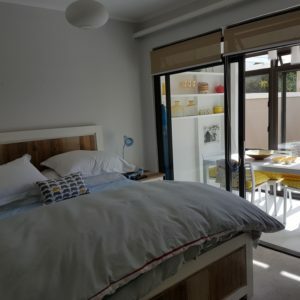 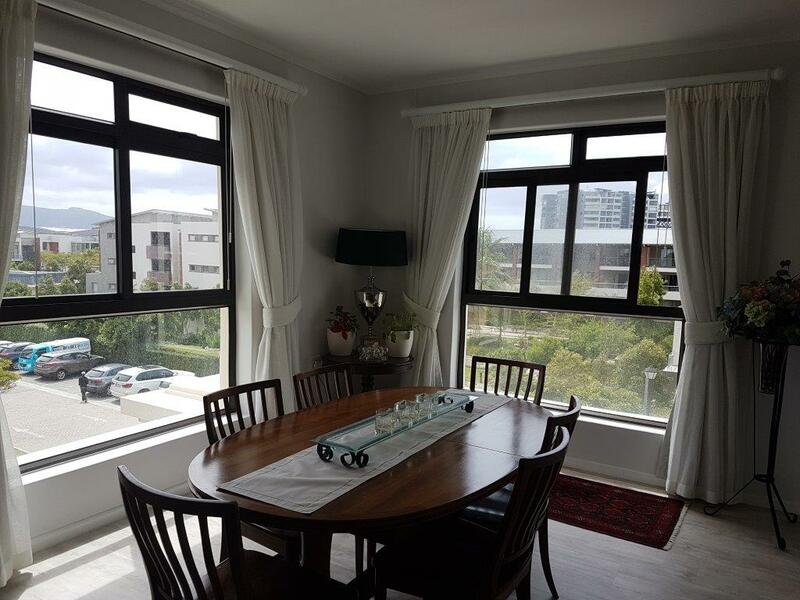 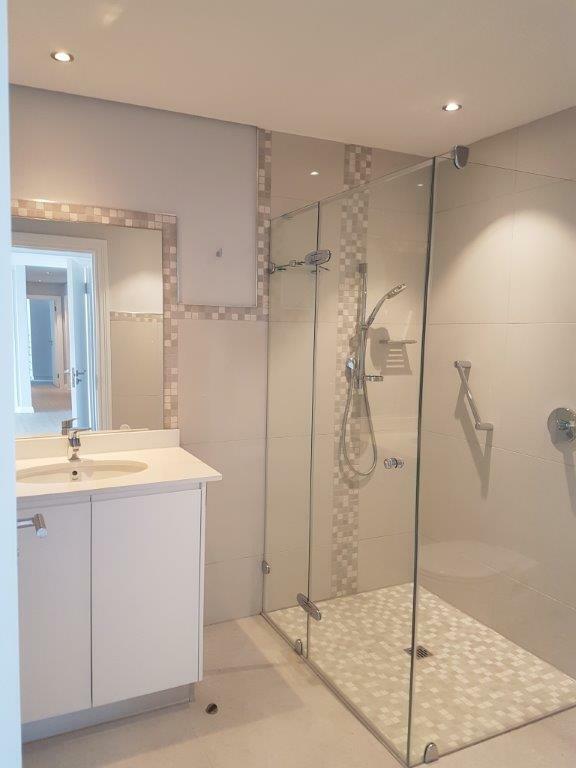 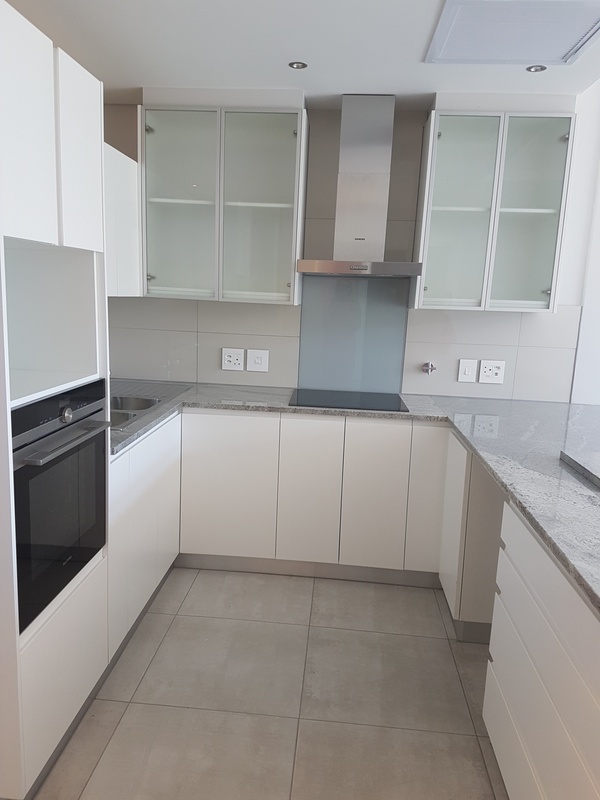 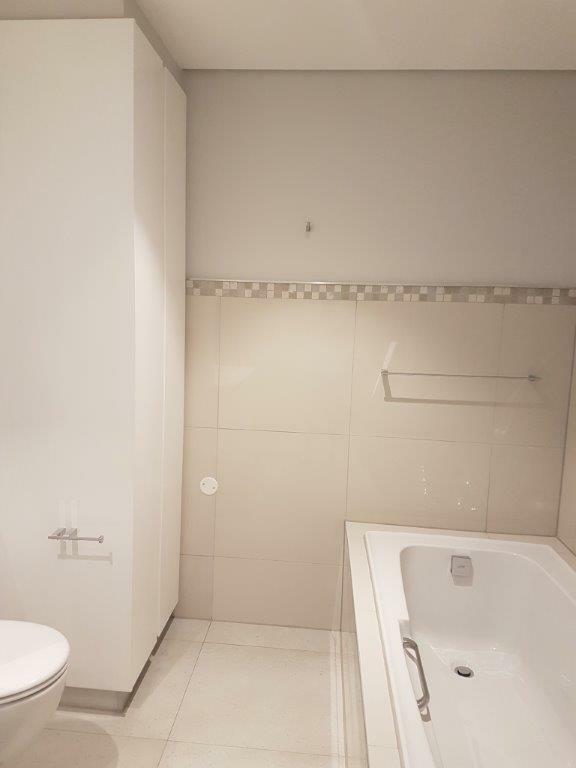 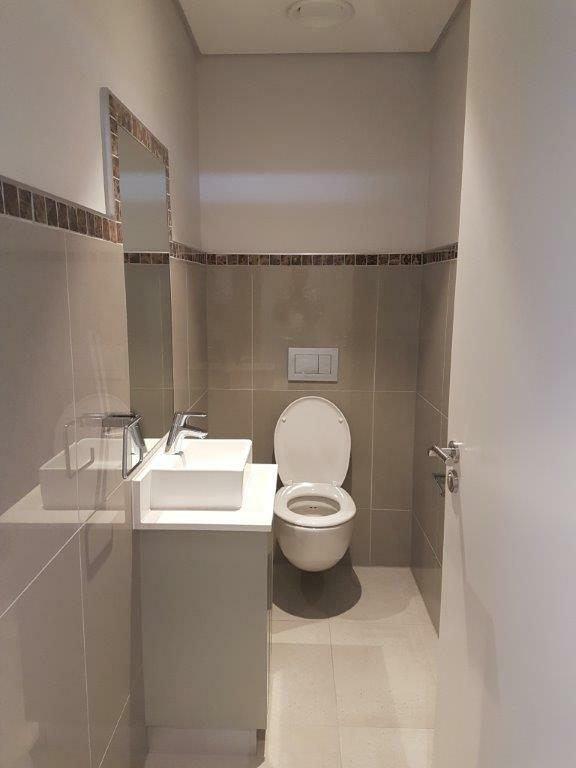 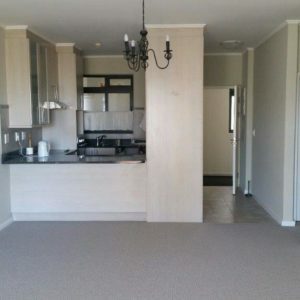 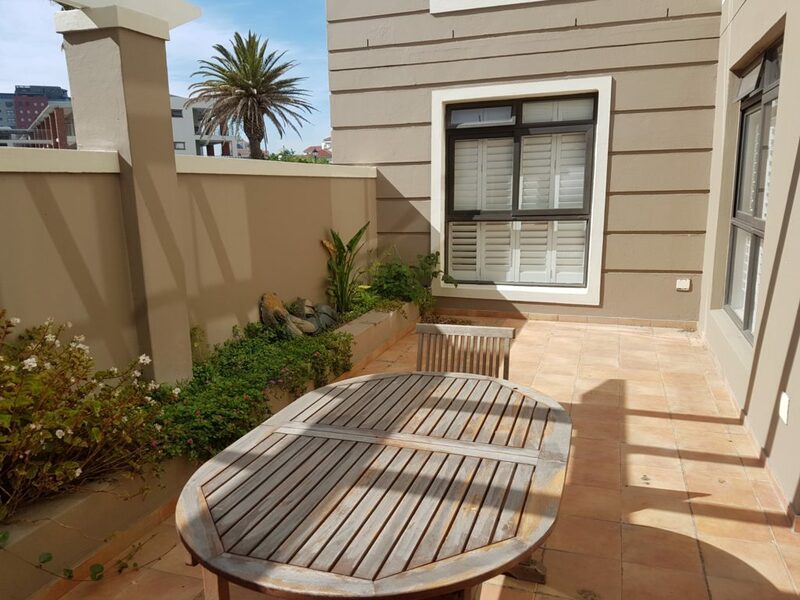 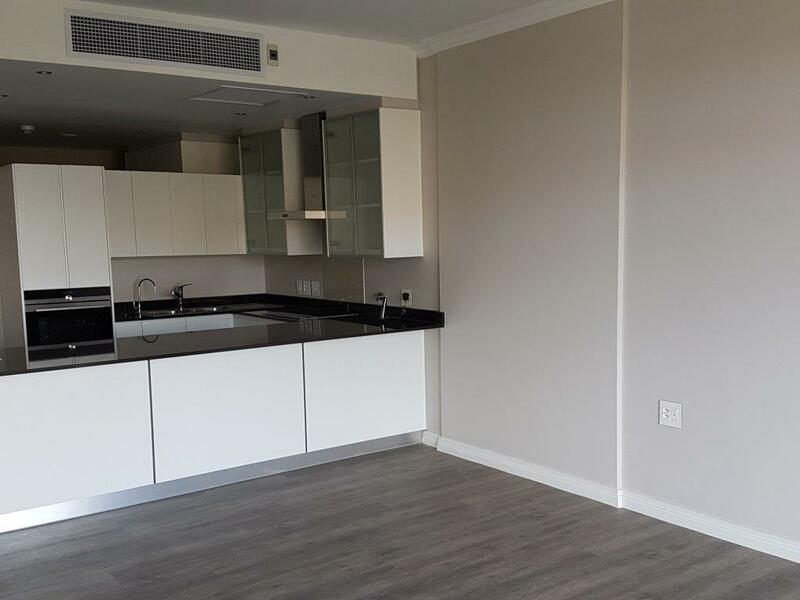 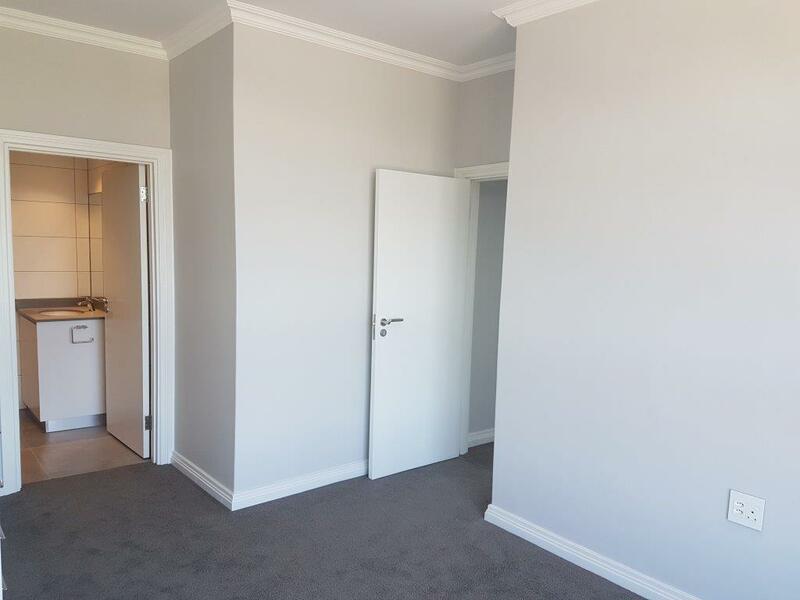 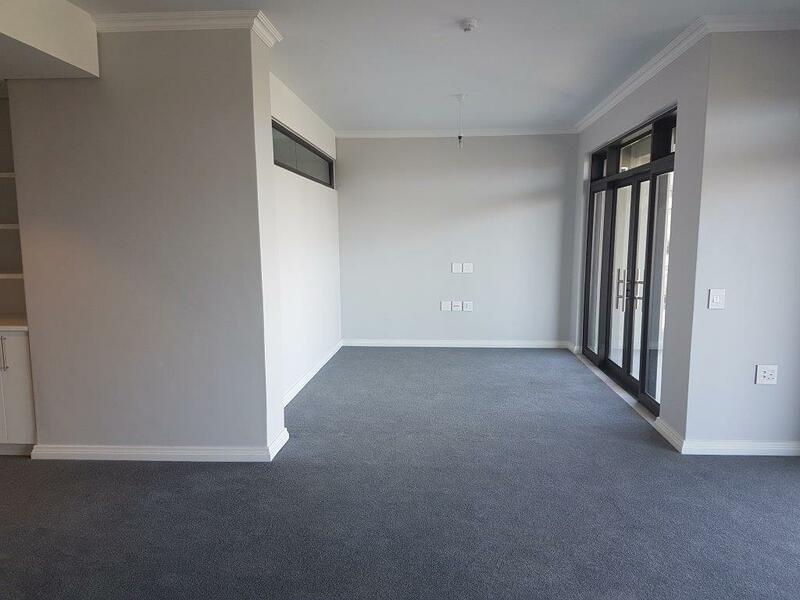 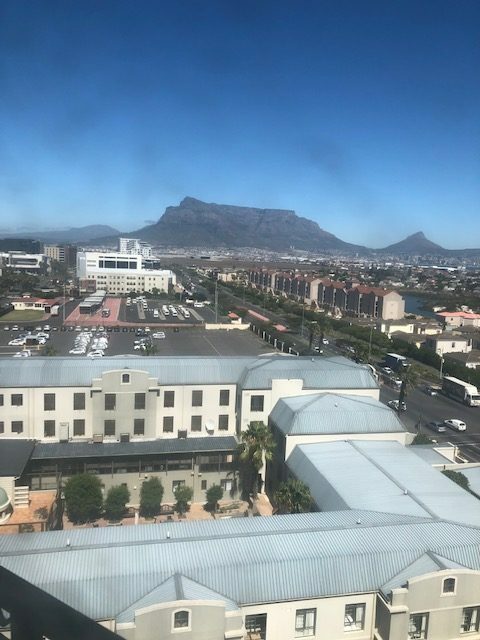 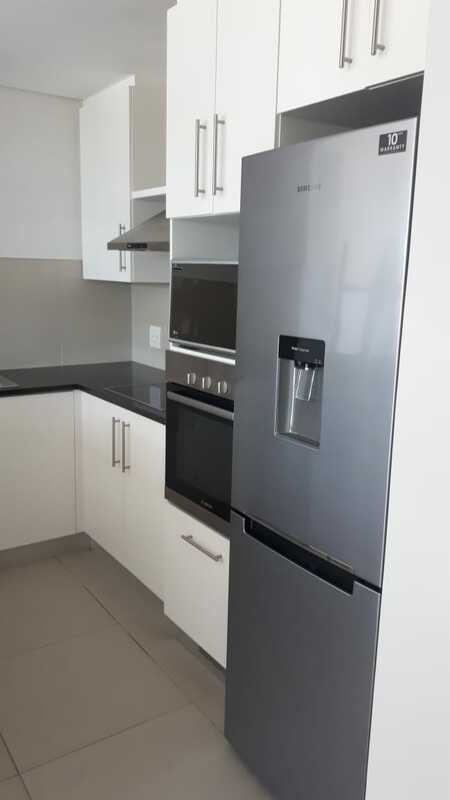 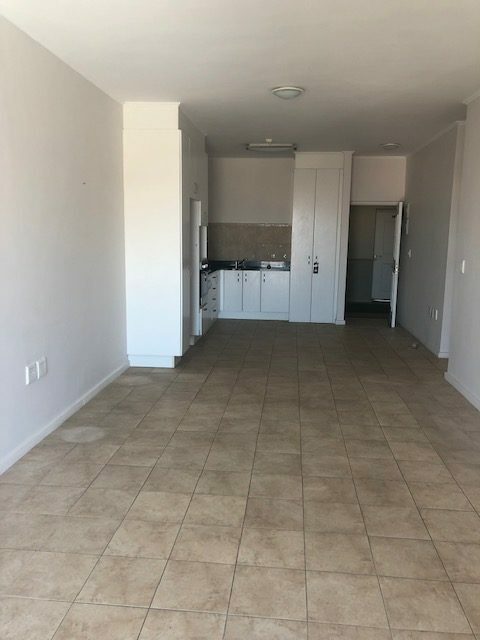 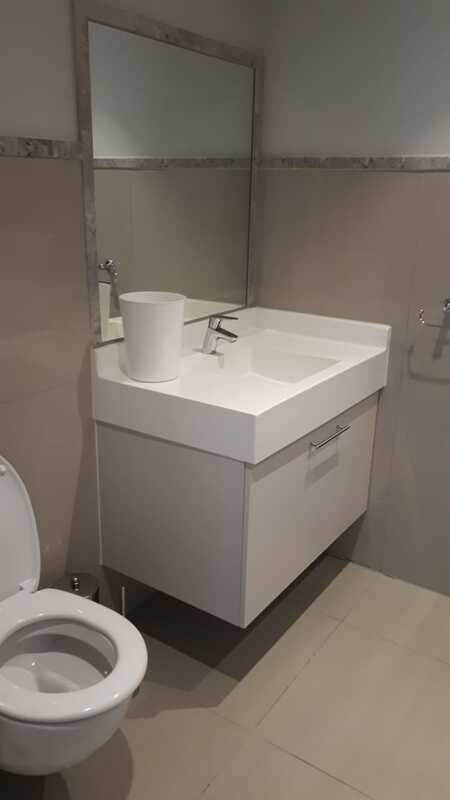 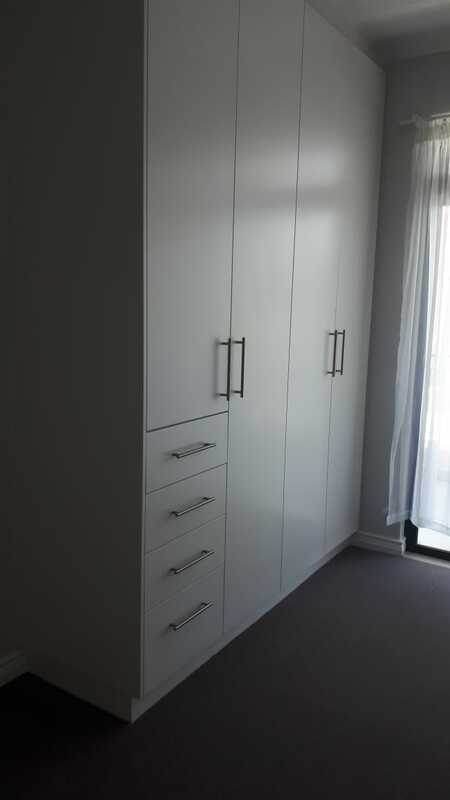 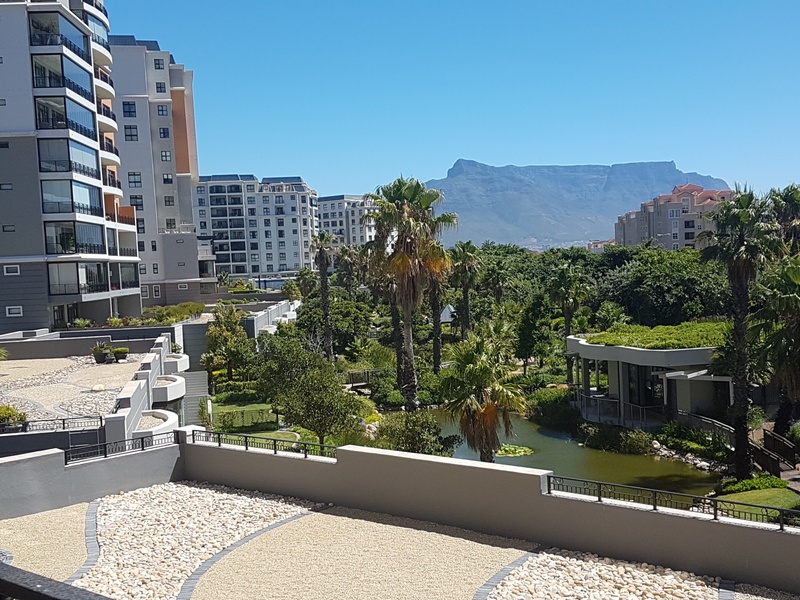 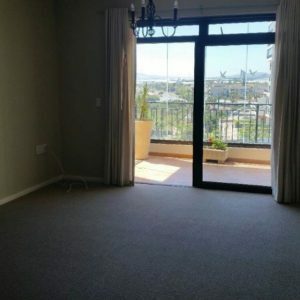 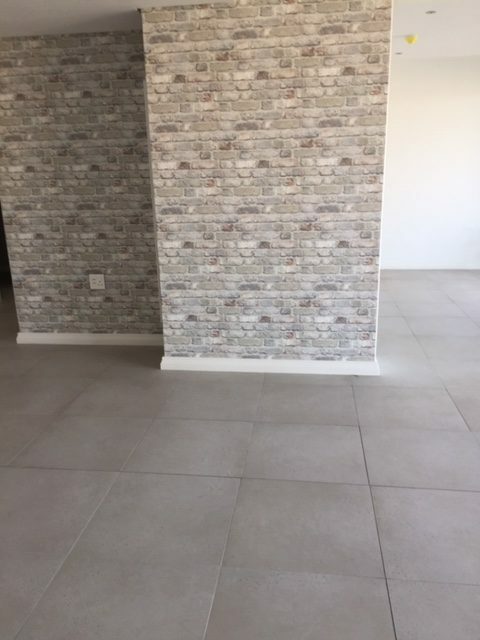 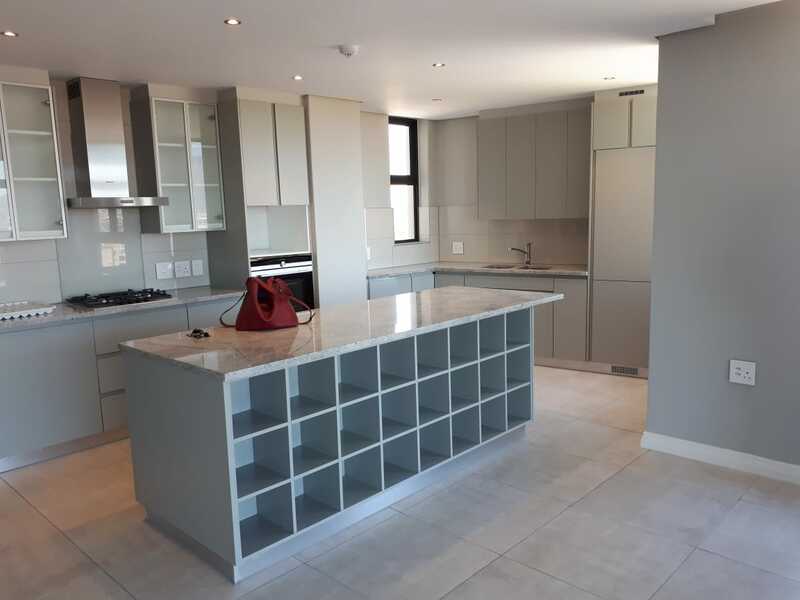 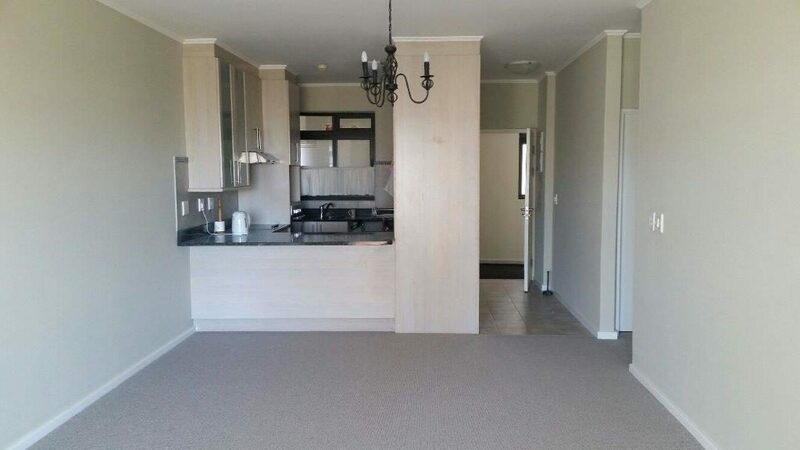 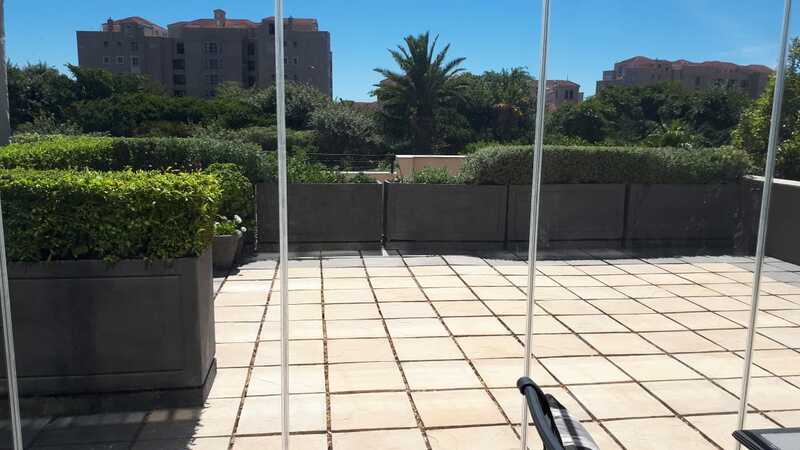 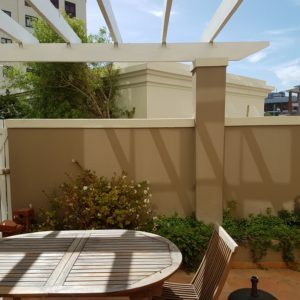 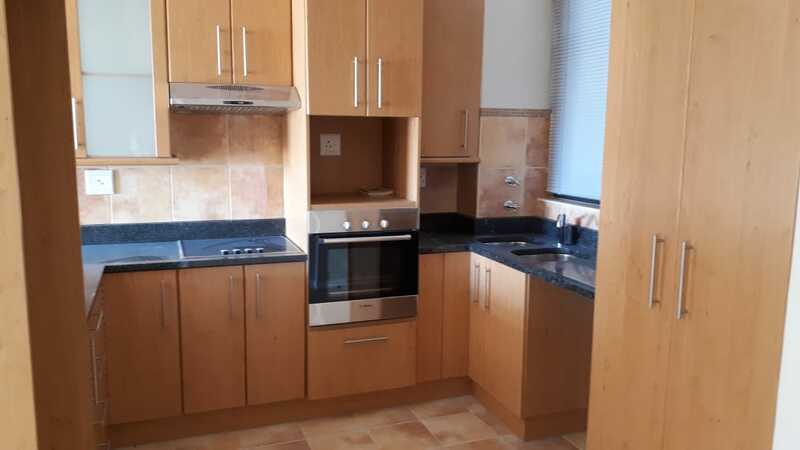 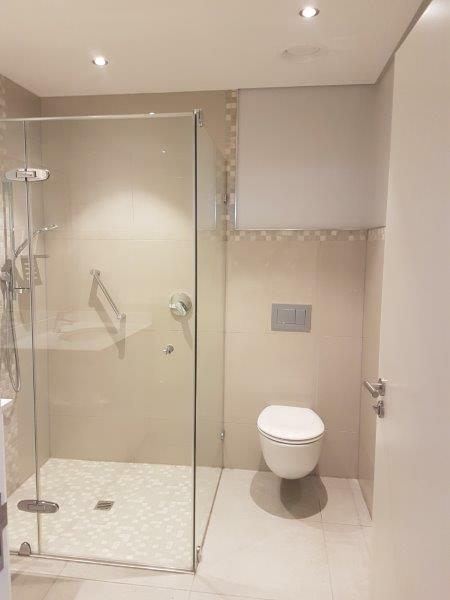 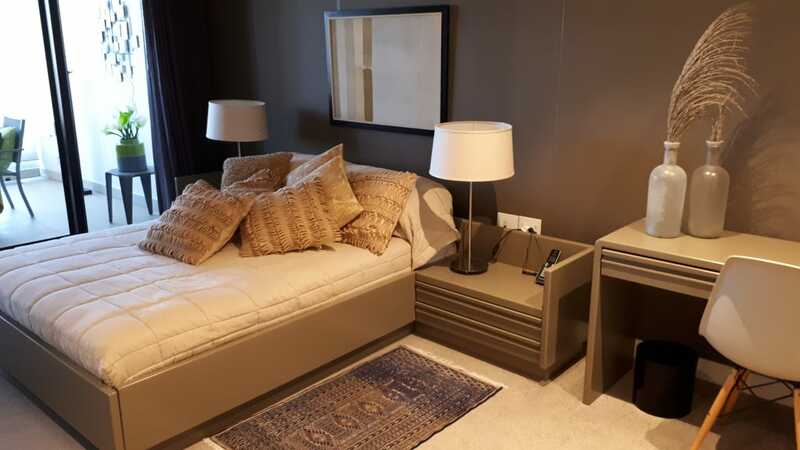 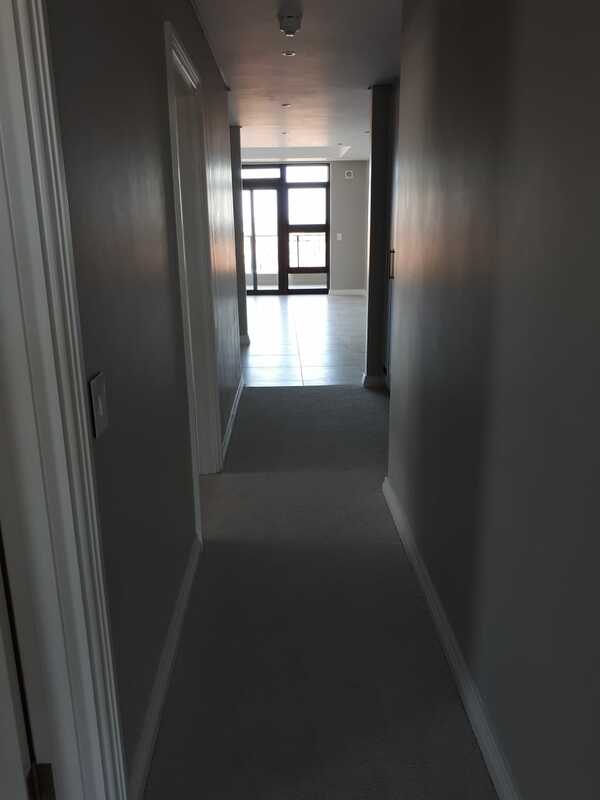 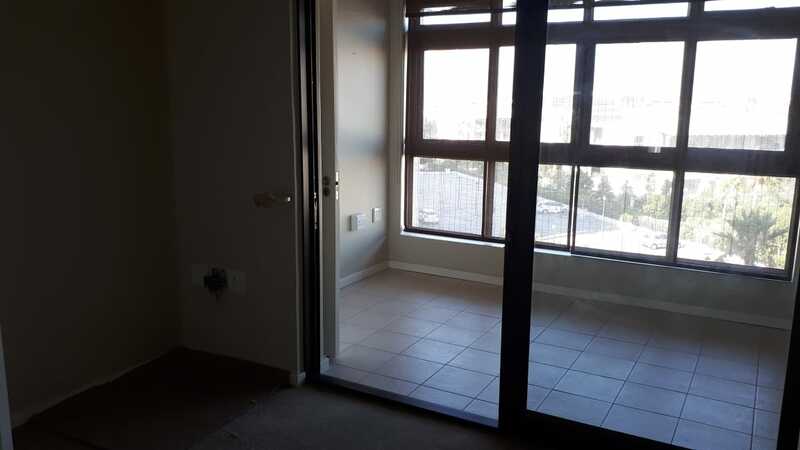 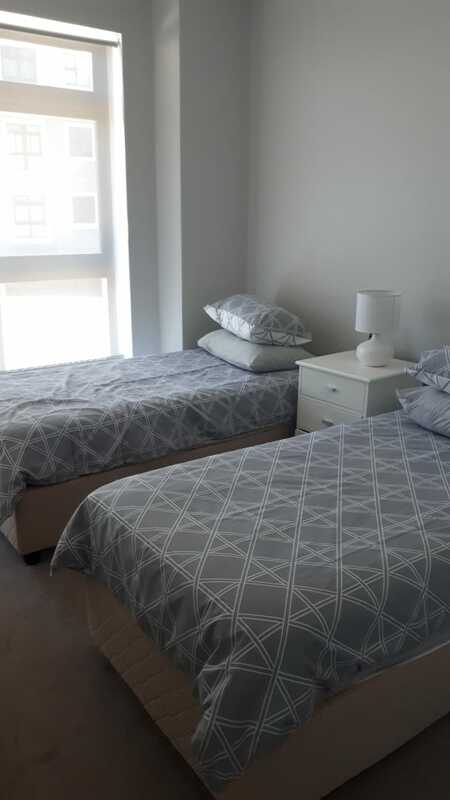 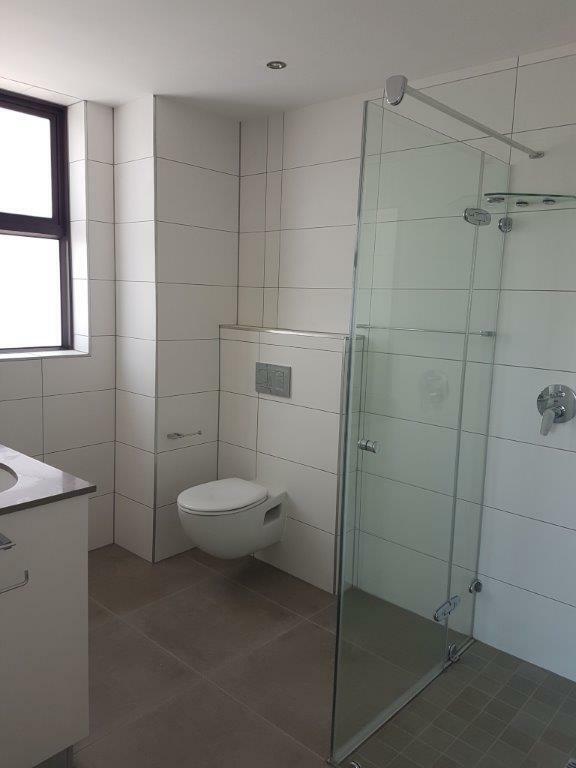 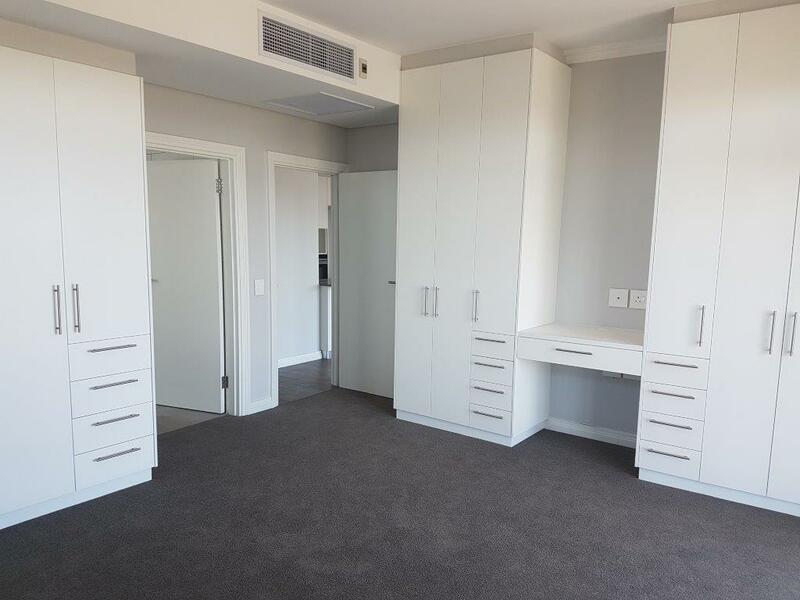 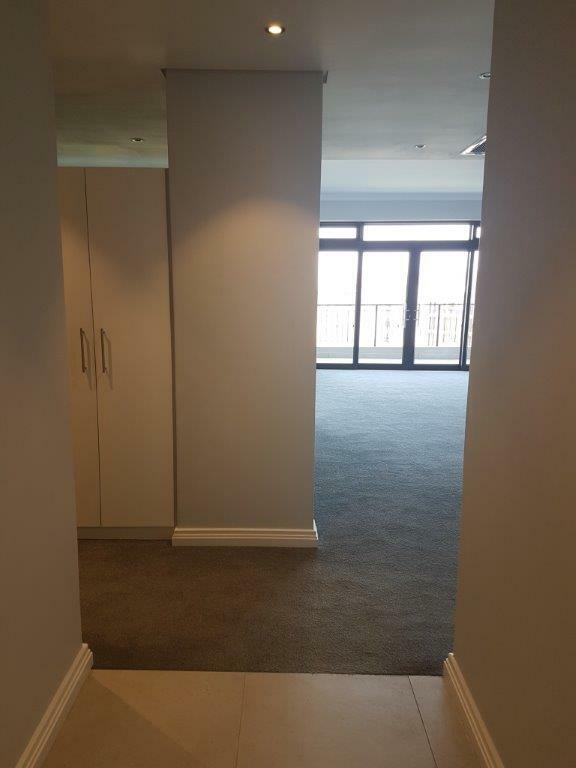 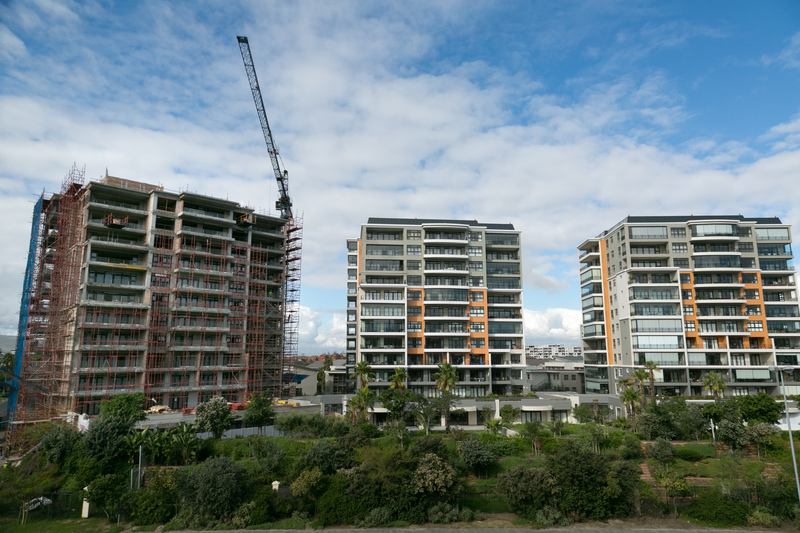 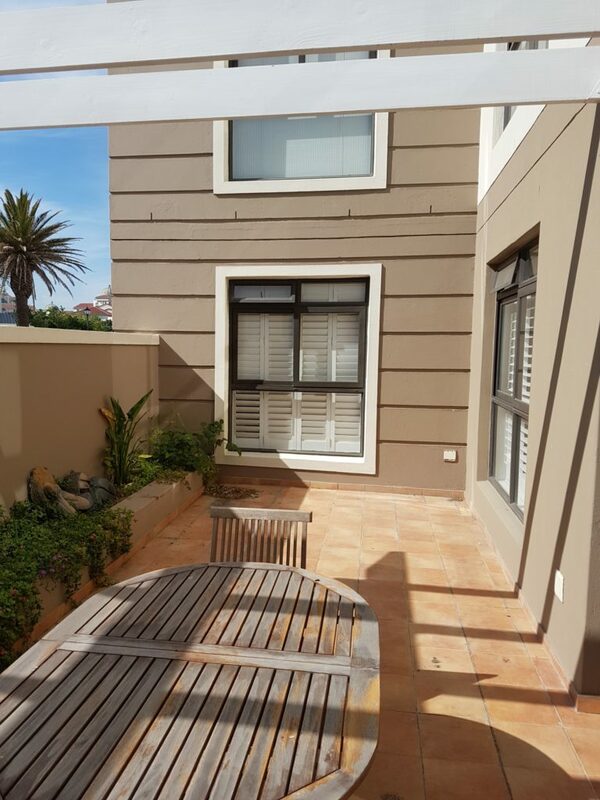 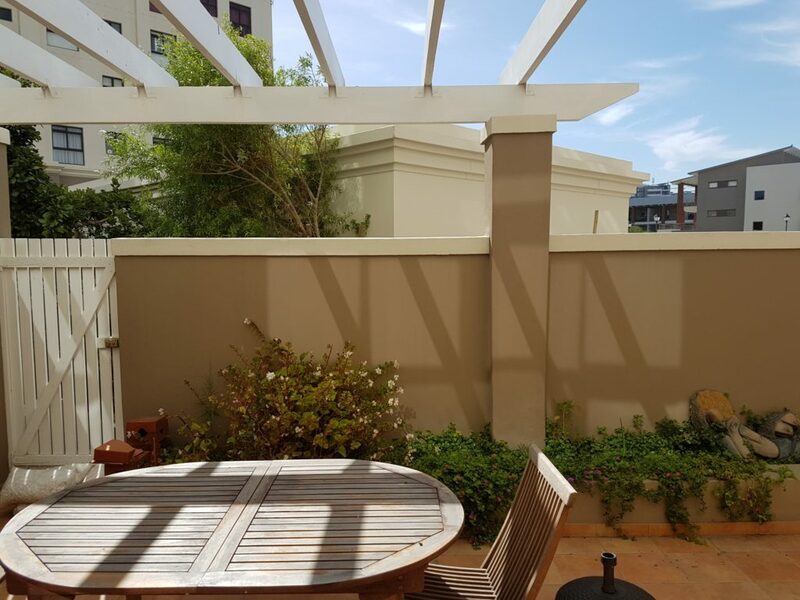 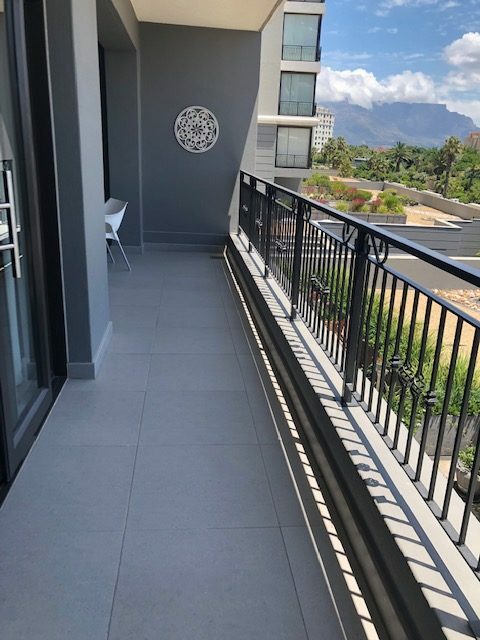 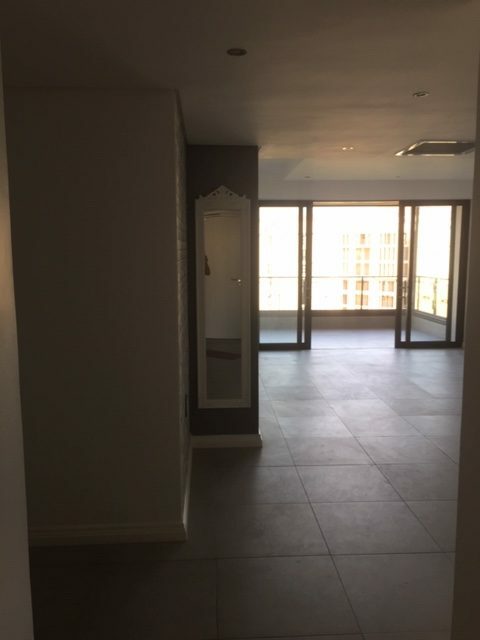 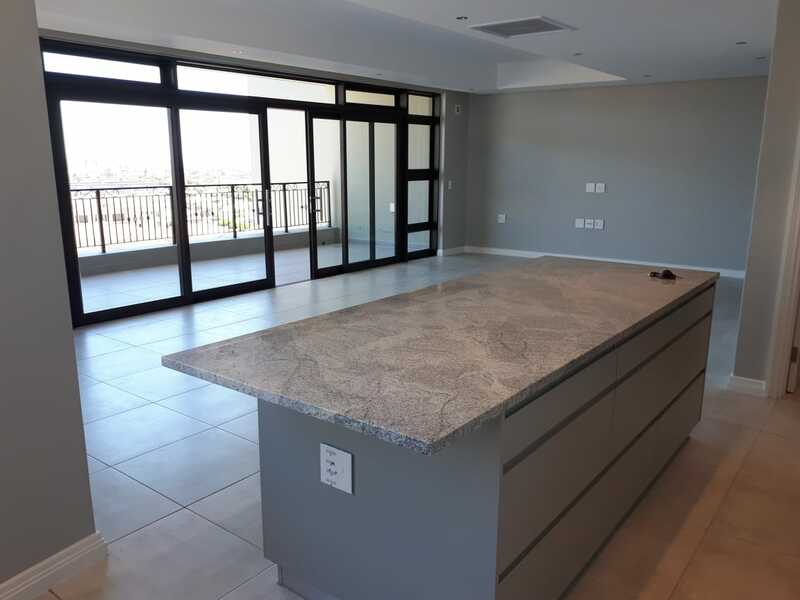 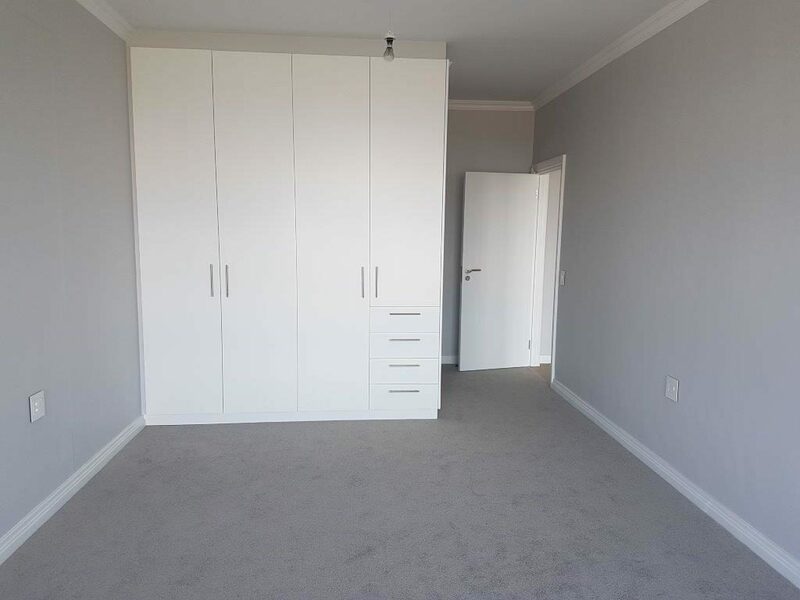 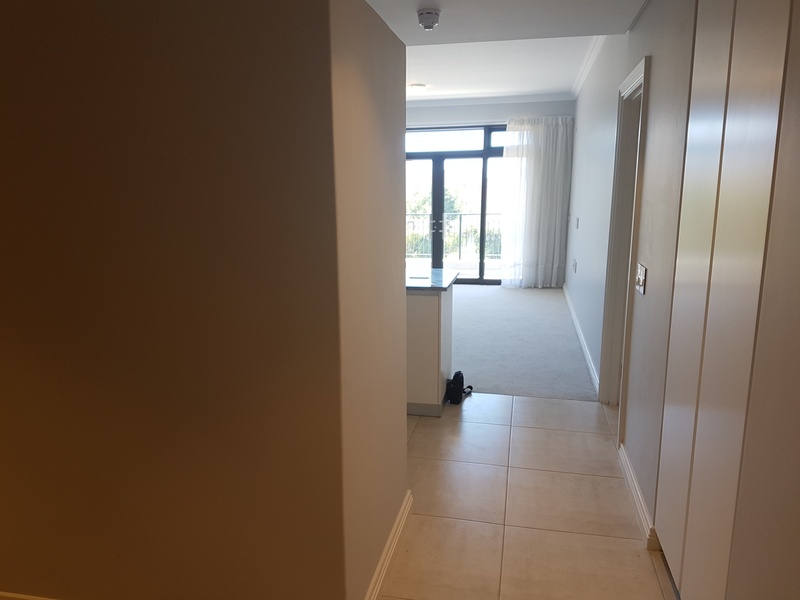 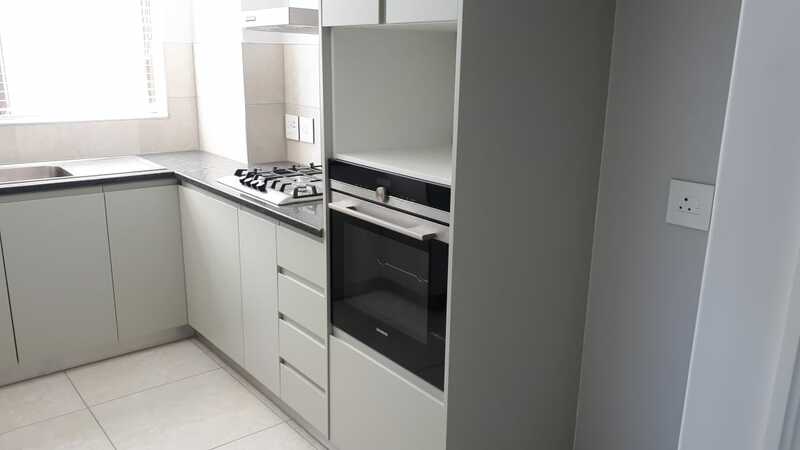 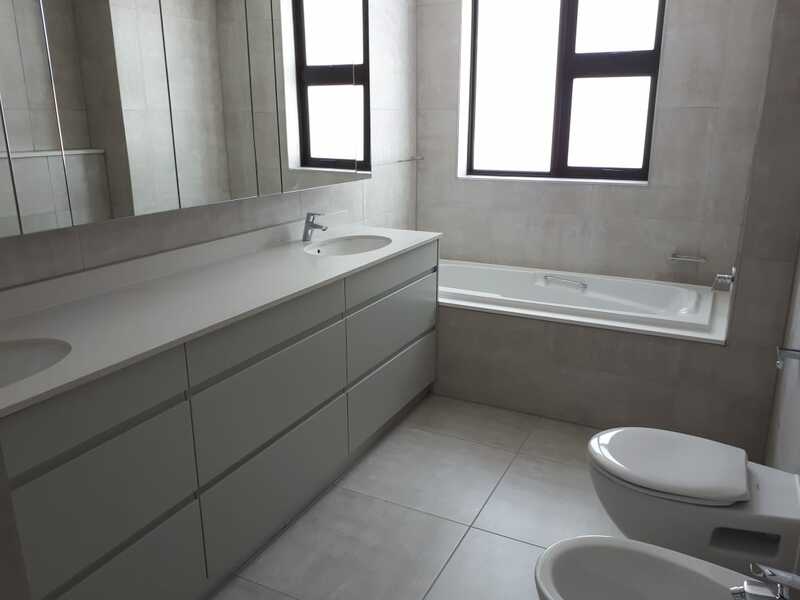 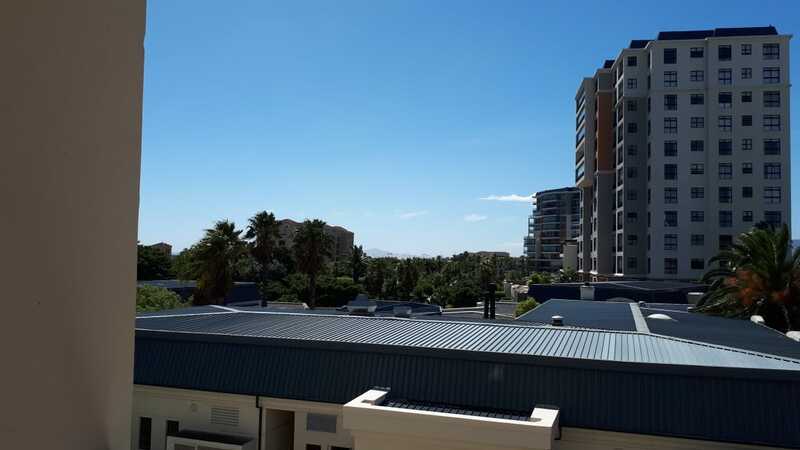 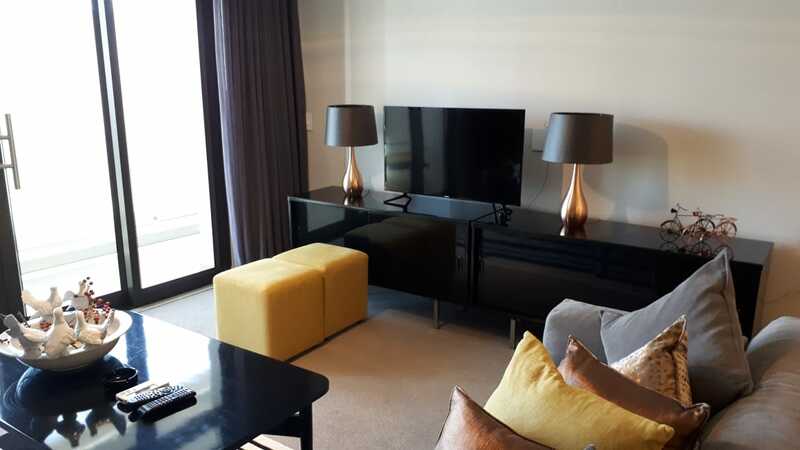 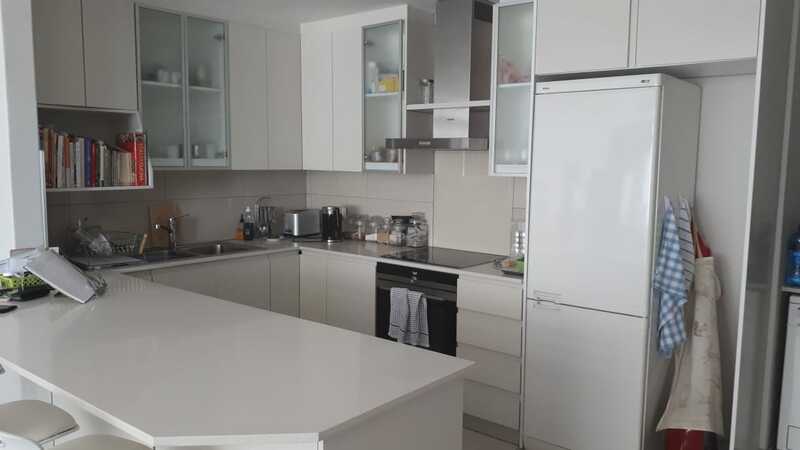 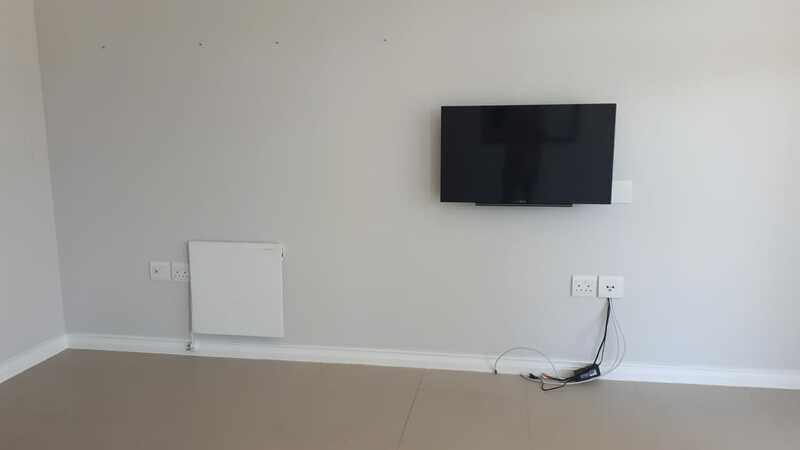 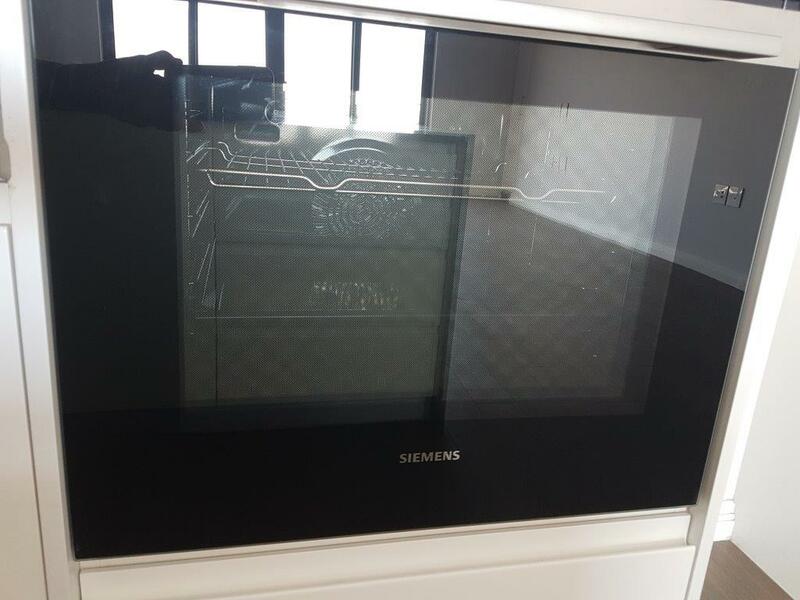 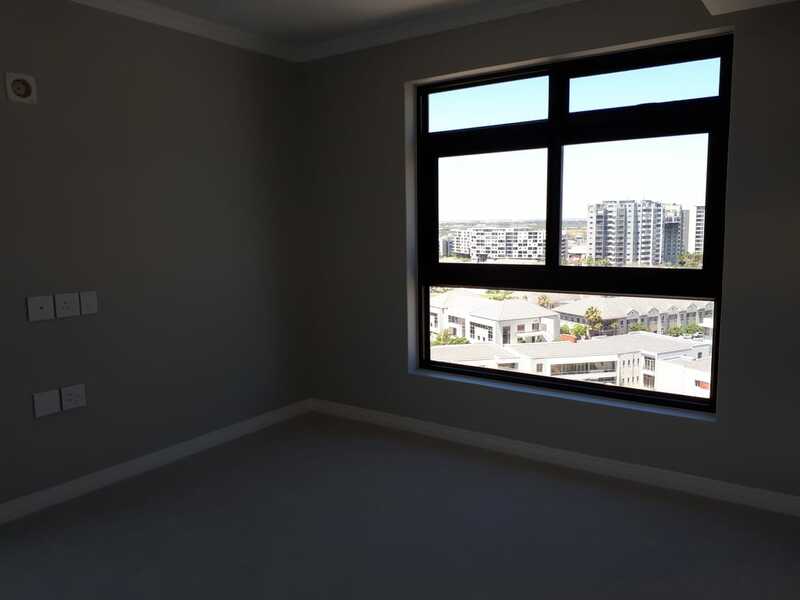 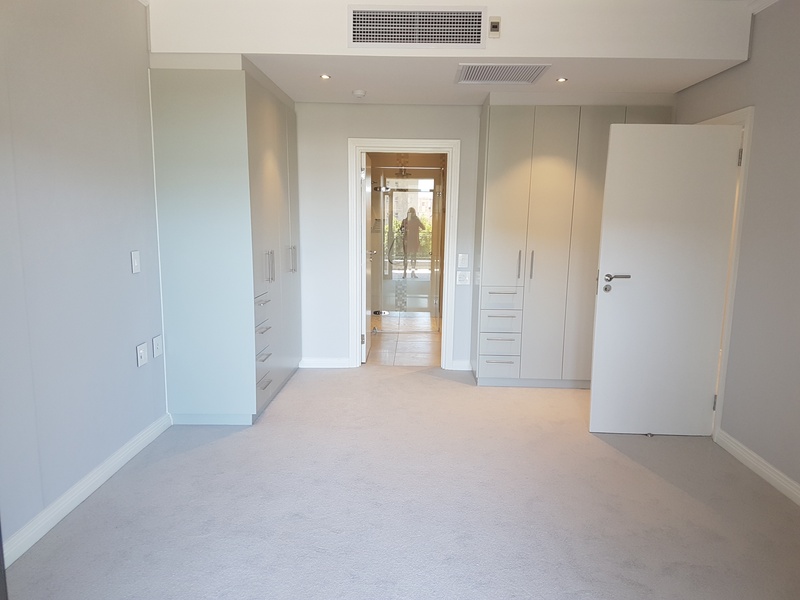 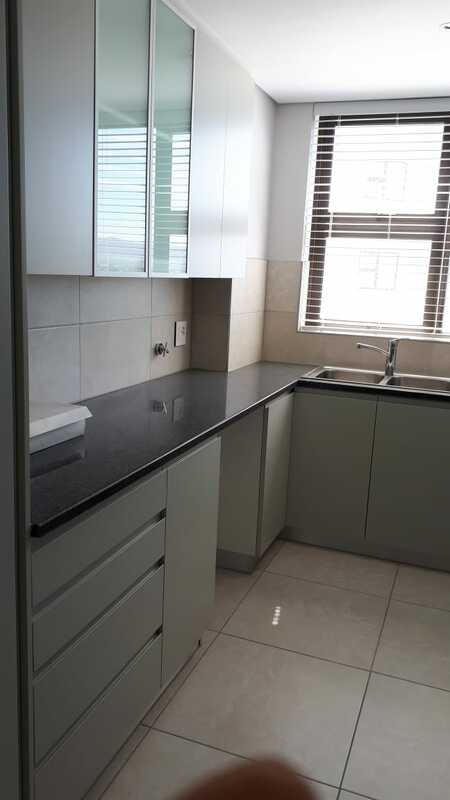 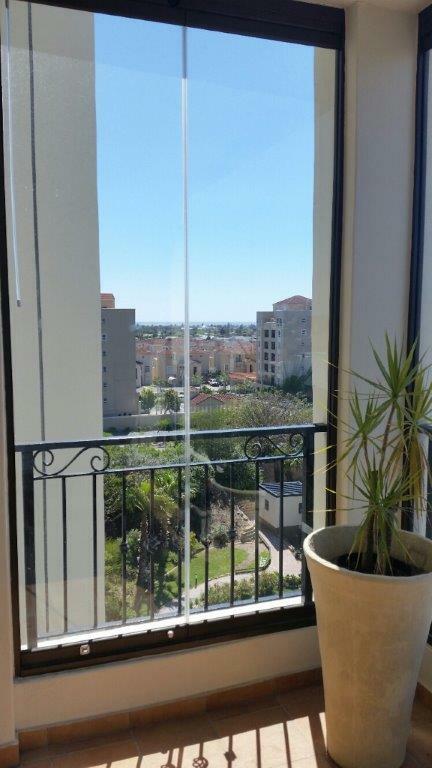 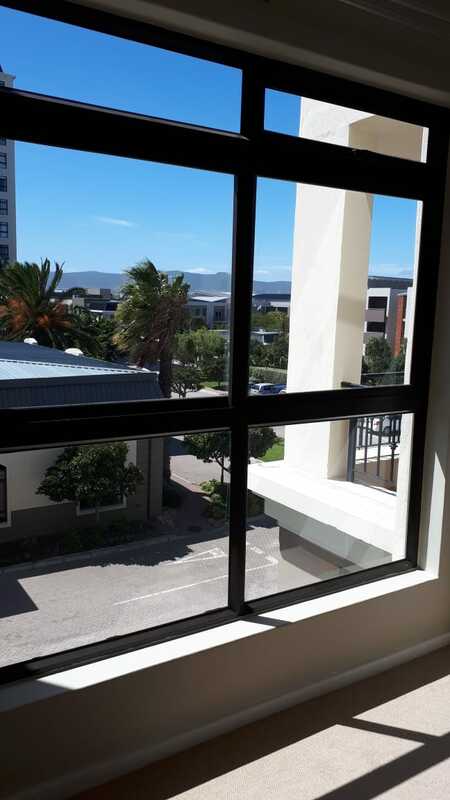 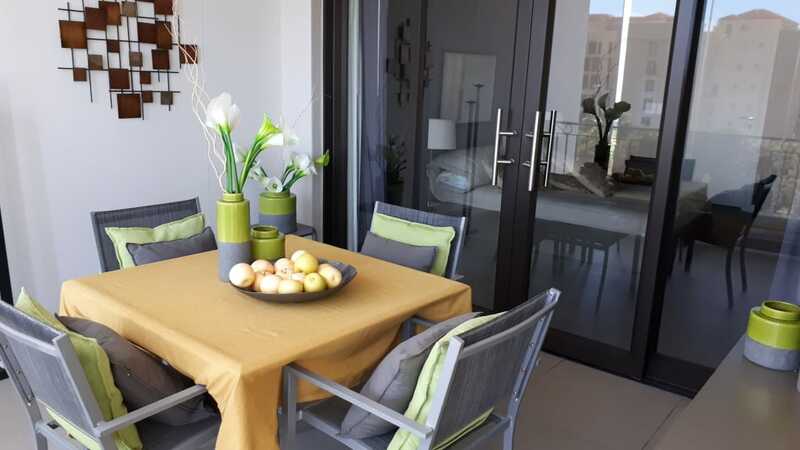 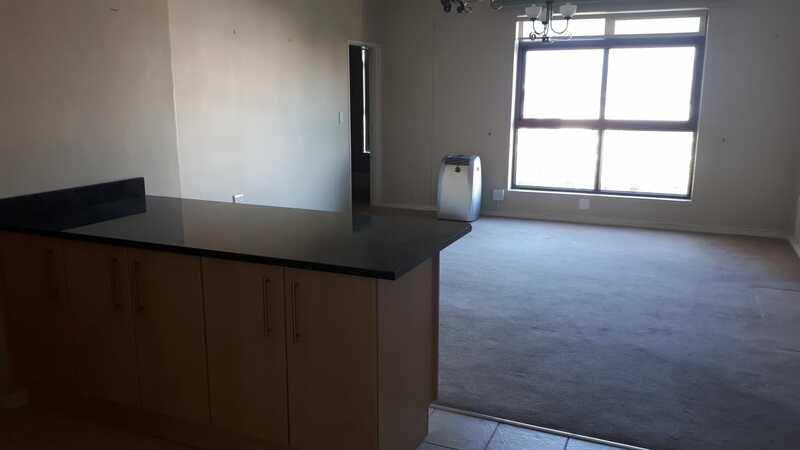 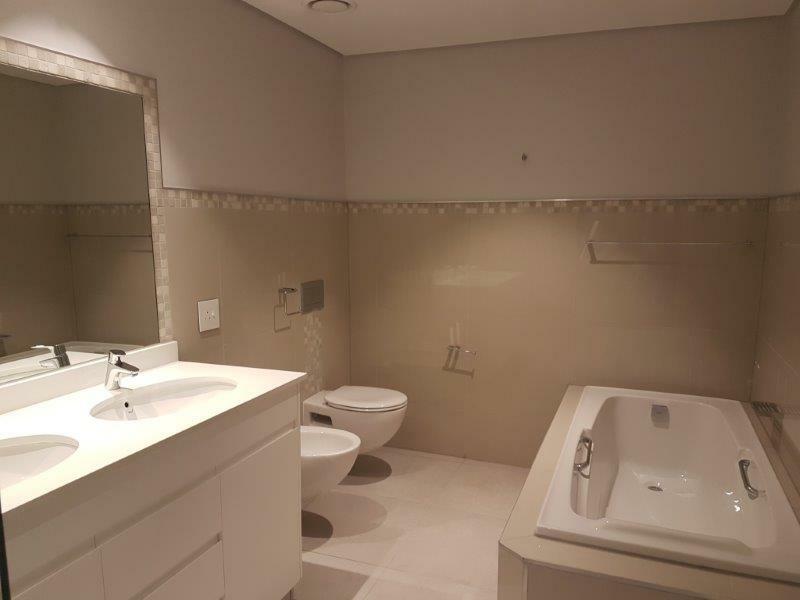 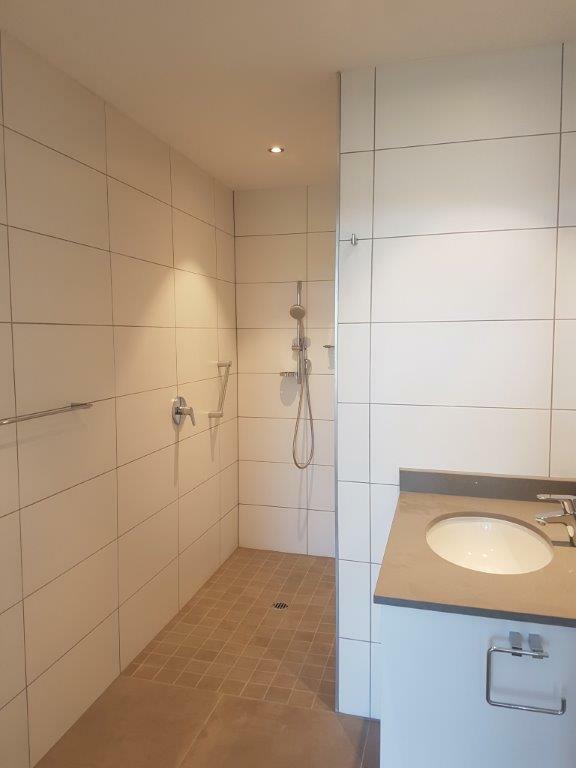 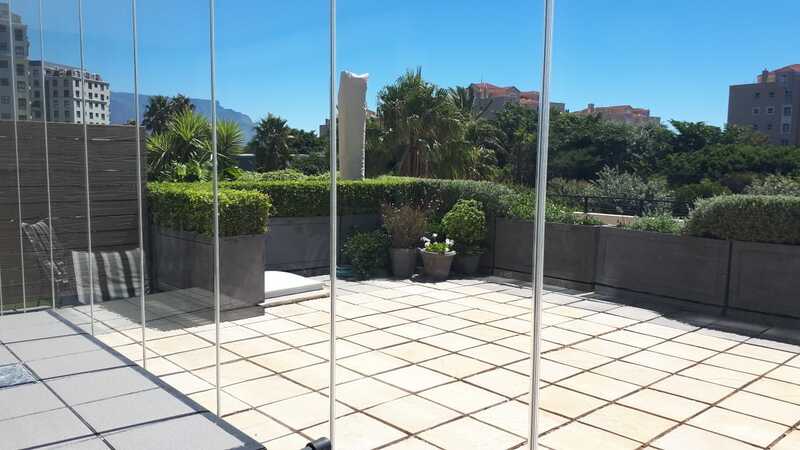 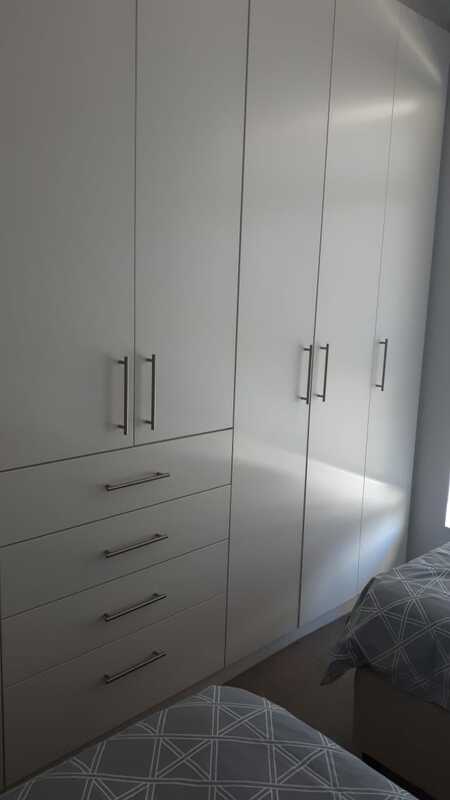 402 R28 000/pm 2 Bed + Study Immediate Brand new with lovely Cape Town views. 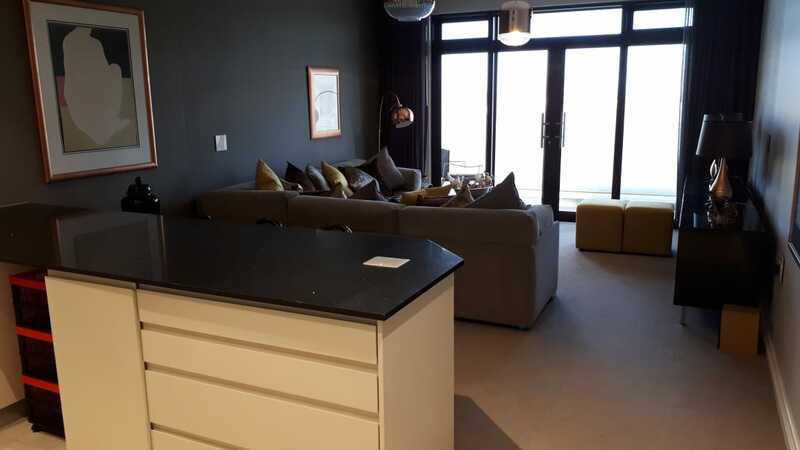 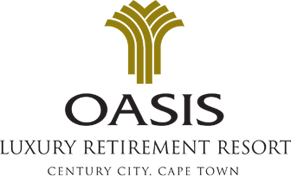 2 spacious en-suite bedrooms and a study, open plan kitchen to lounge and dining area with sliding doors opening to a large balcony enclosed with frameless glass. 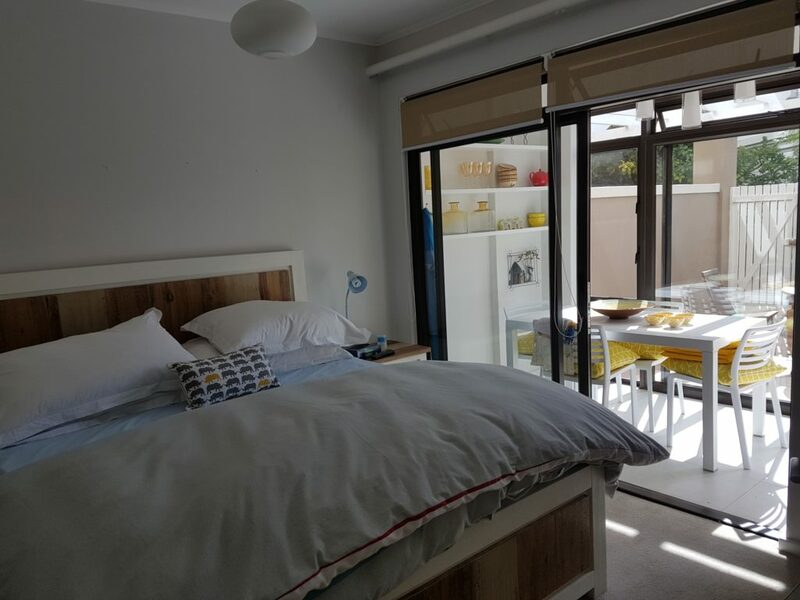 Aircon in main bedroom and lounge area. 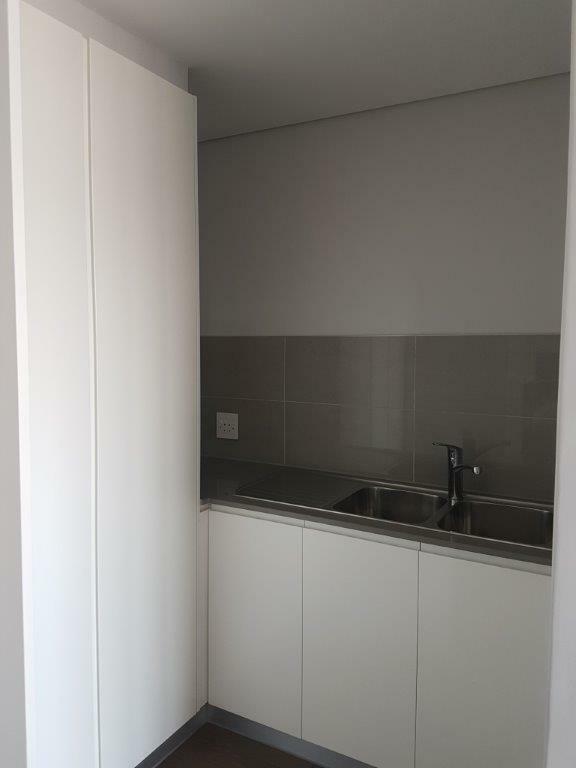 2 undercover parking bays and a storeroom. 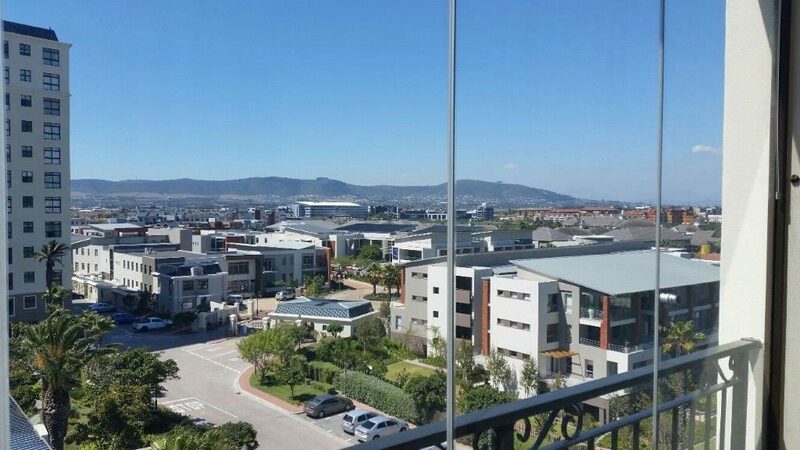 Status: Brand new with lovely Cape Town views. 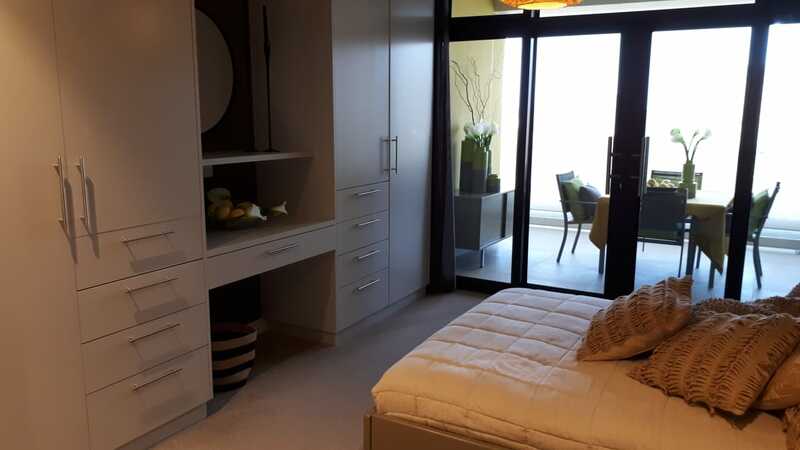 2 spacious en-suite bedrooms and a study, open plan kitchen to lounge and dining area with sliding doors opening to a large balcony enclosed with frameless glass. 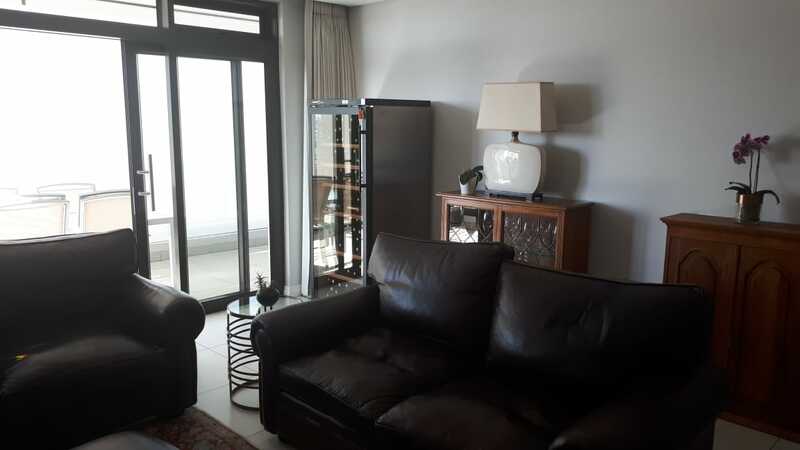 Aircon in main bedroom and lounge area. 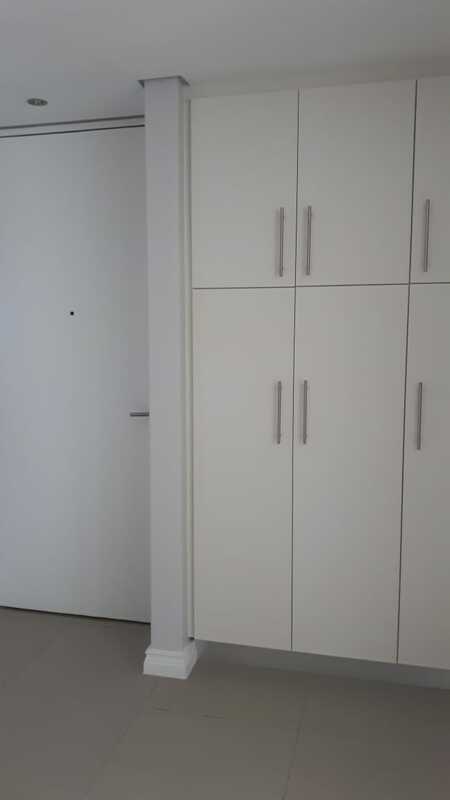 2 undercover parking bays and a storeroom.